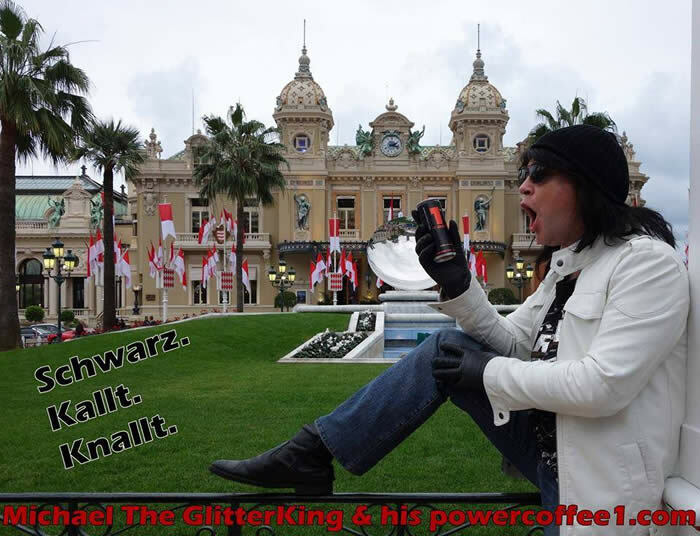 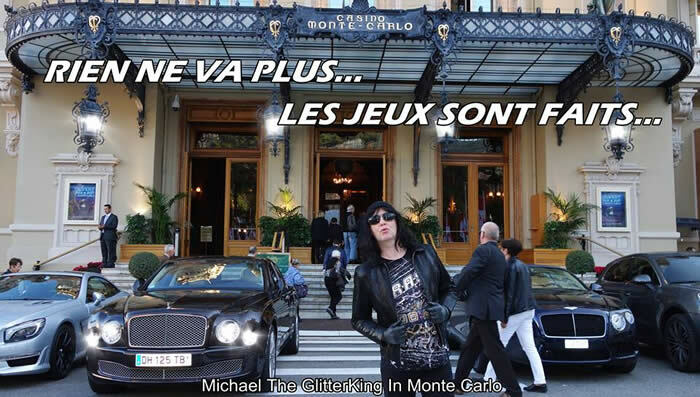 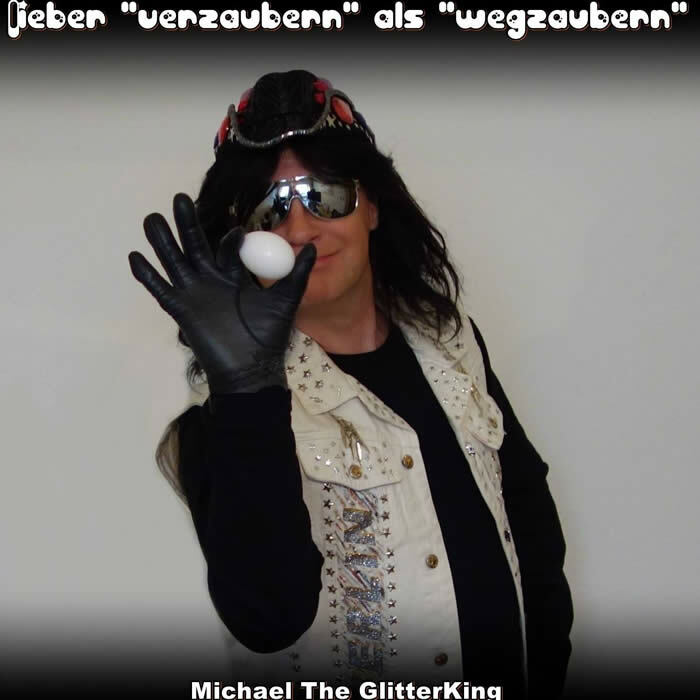 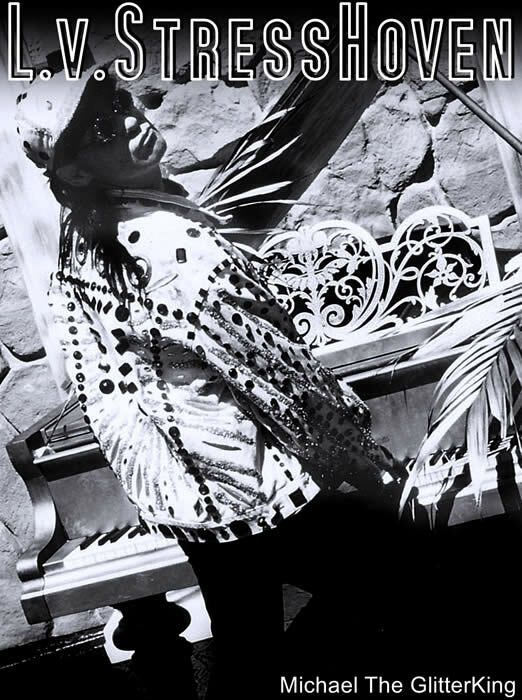 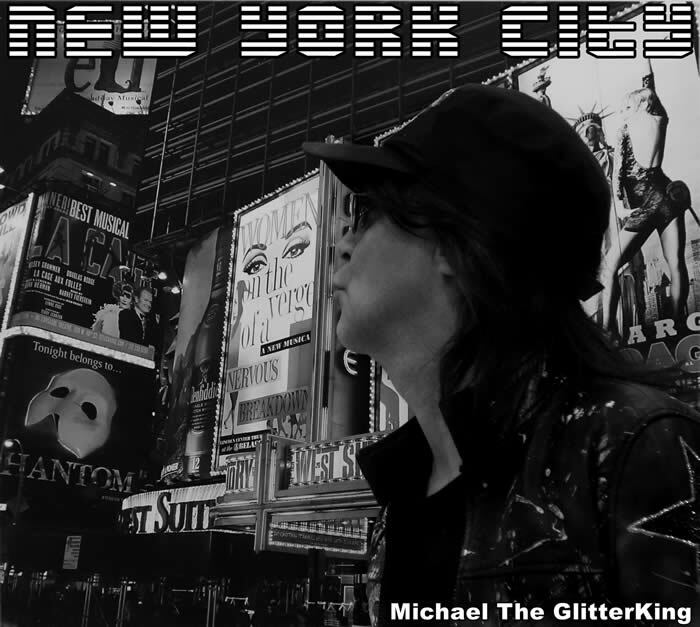 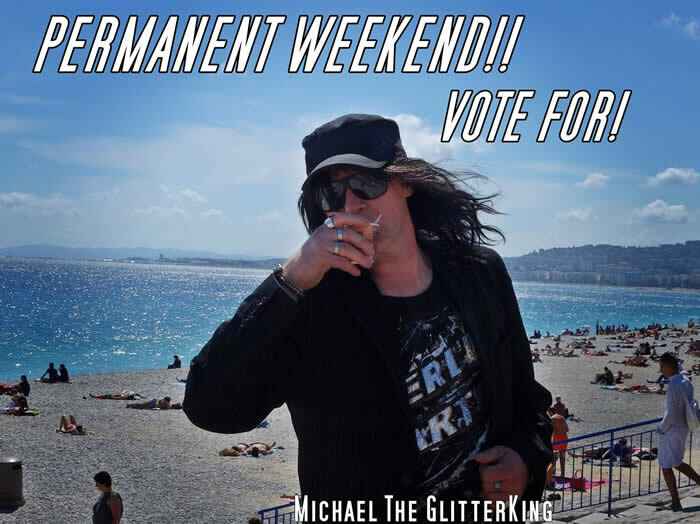 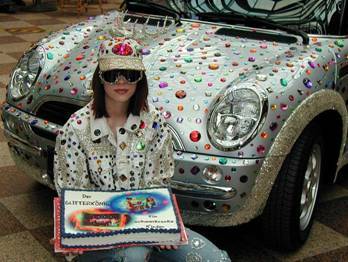 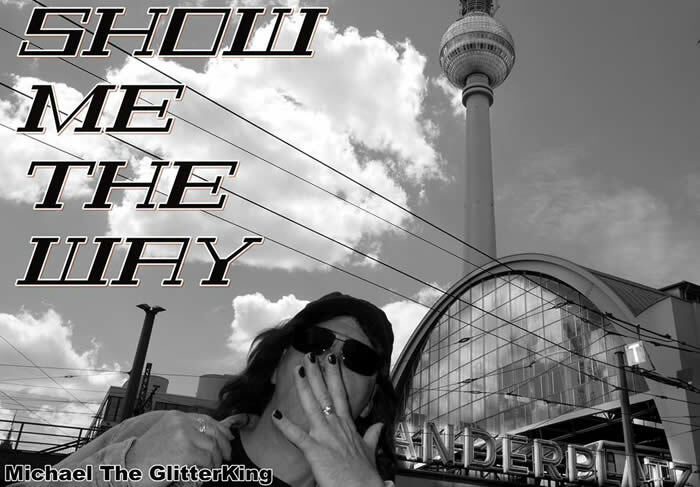 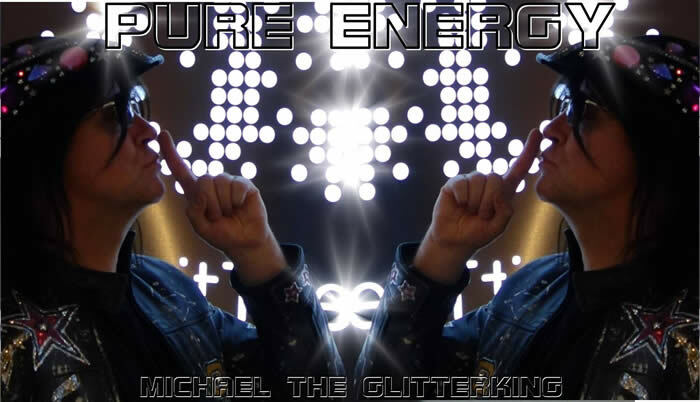 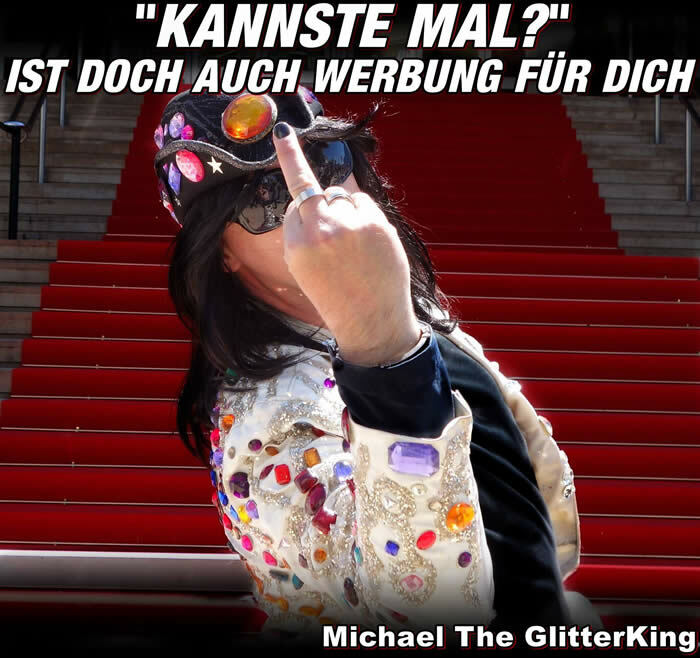 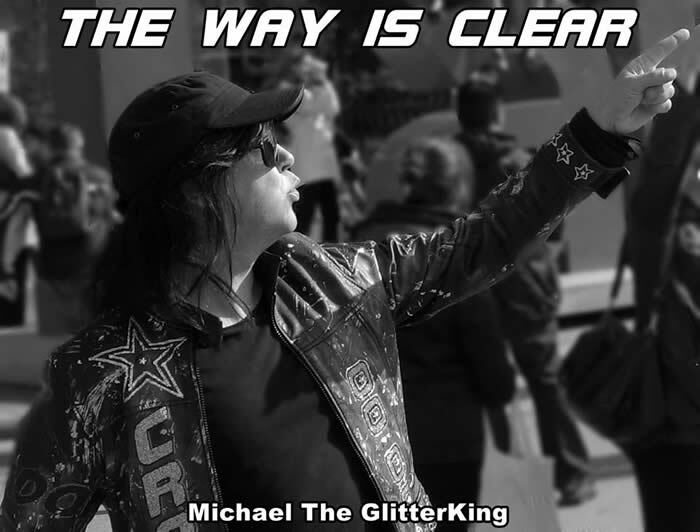 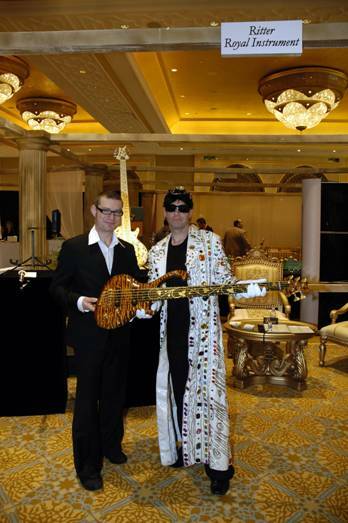 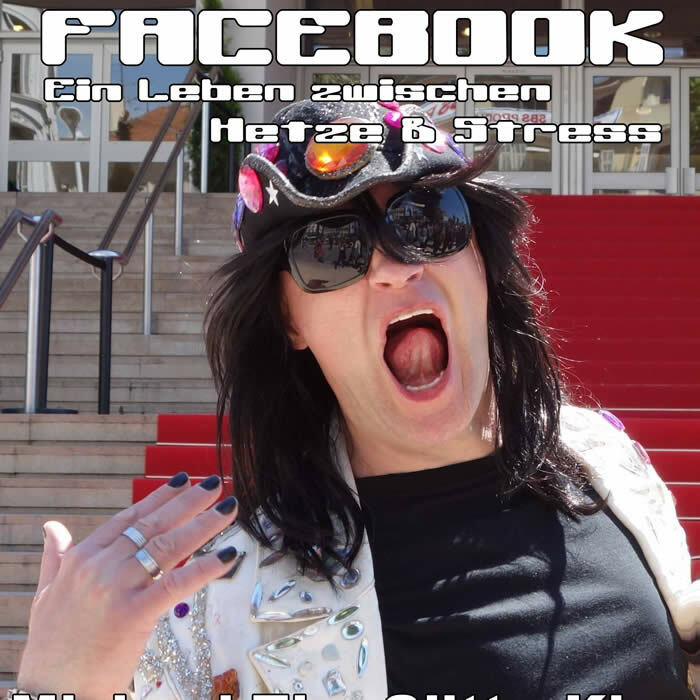 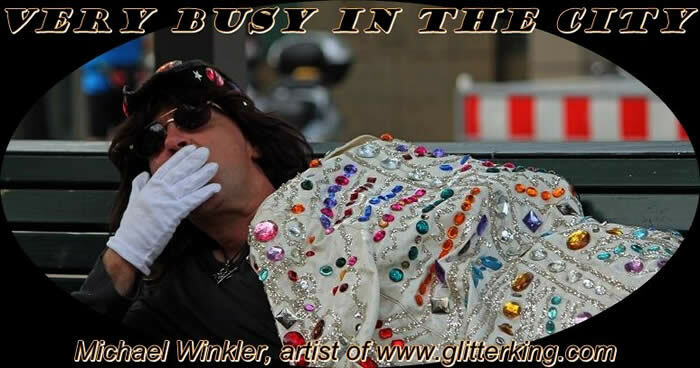 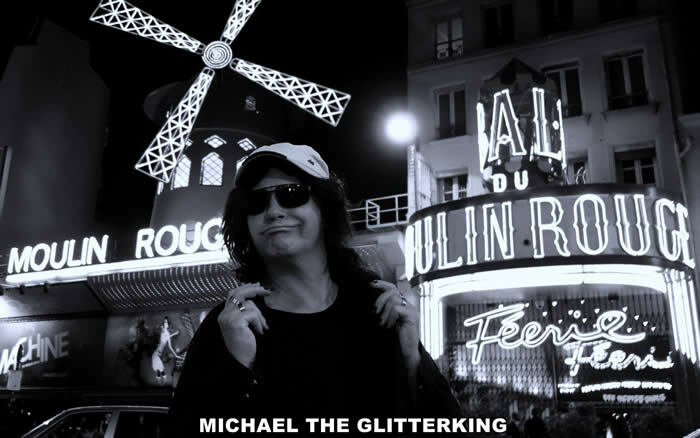 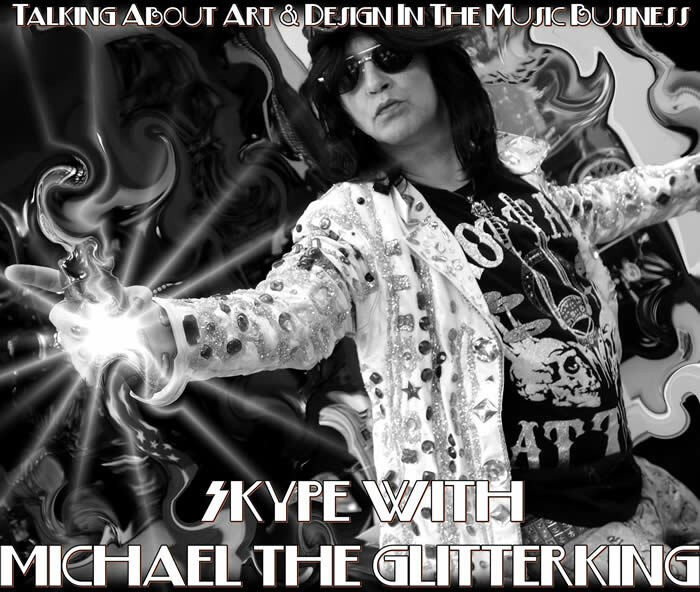 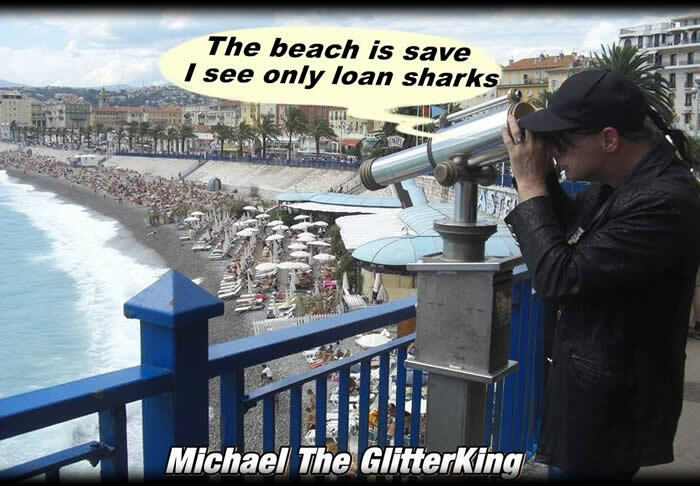 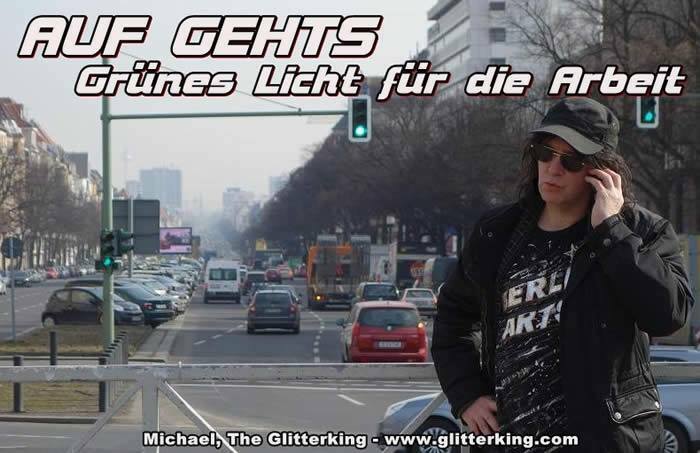 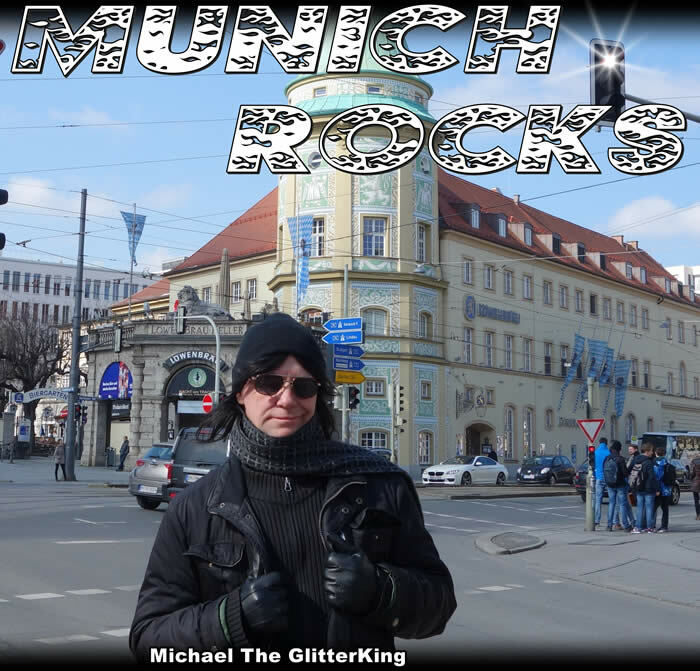 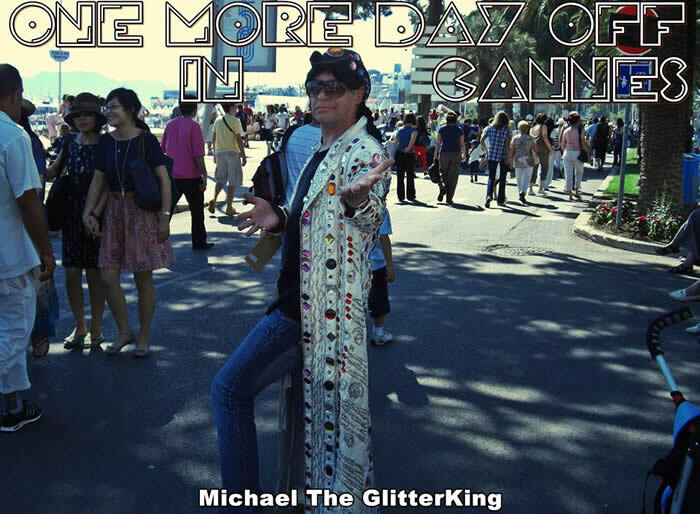 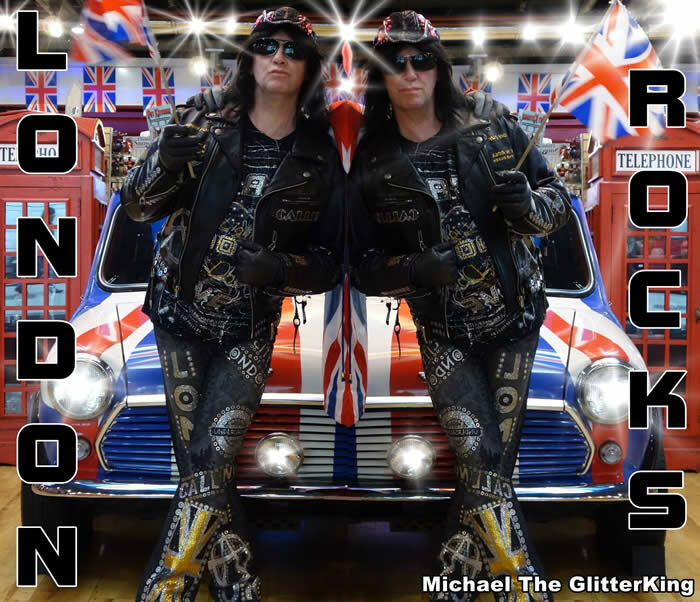 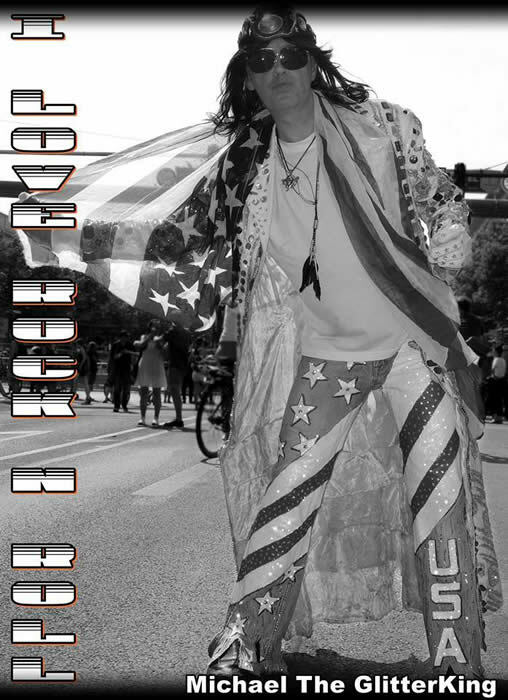 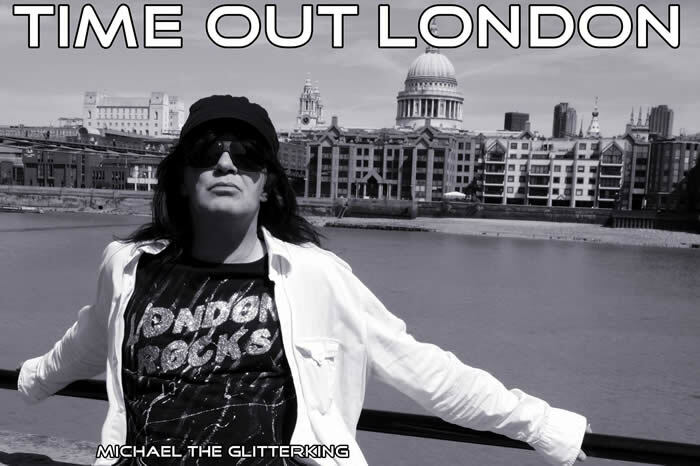 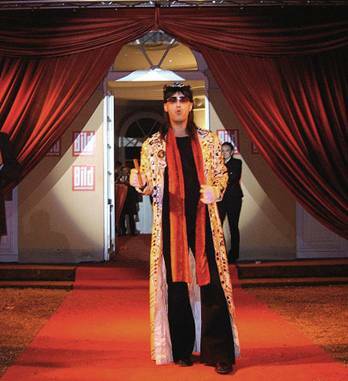 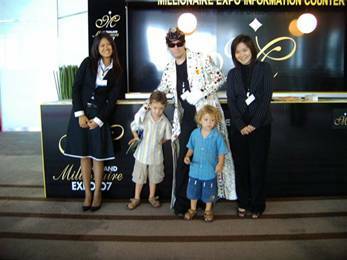 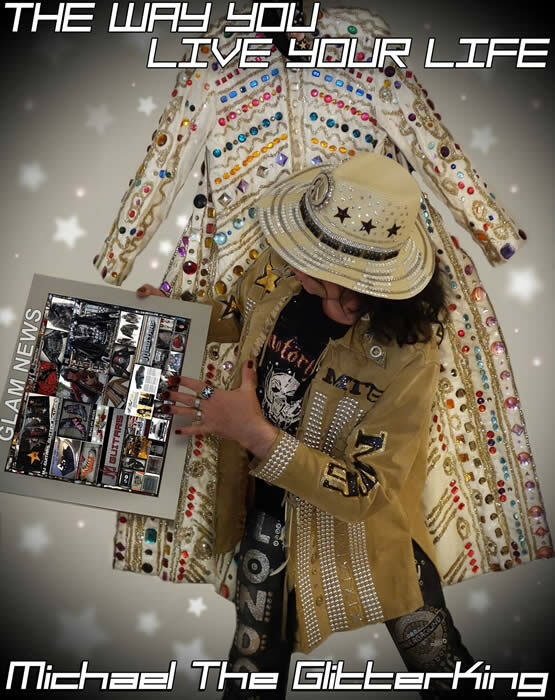 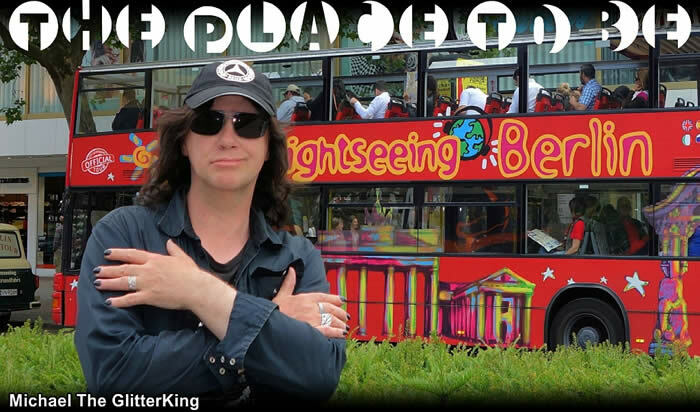 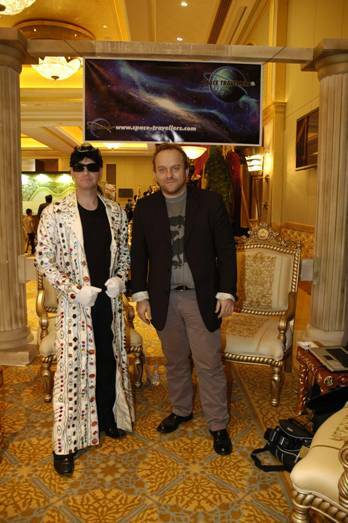 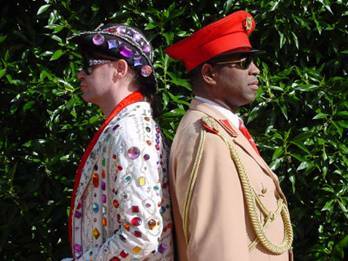 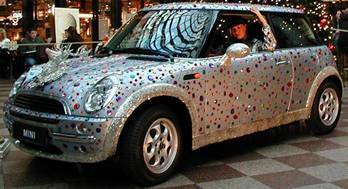 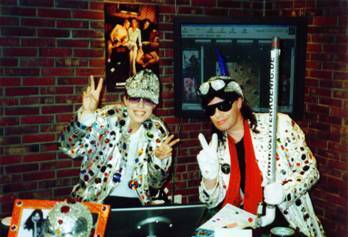 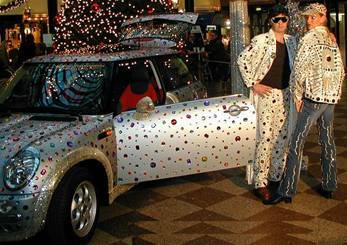 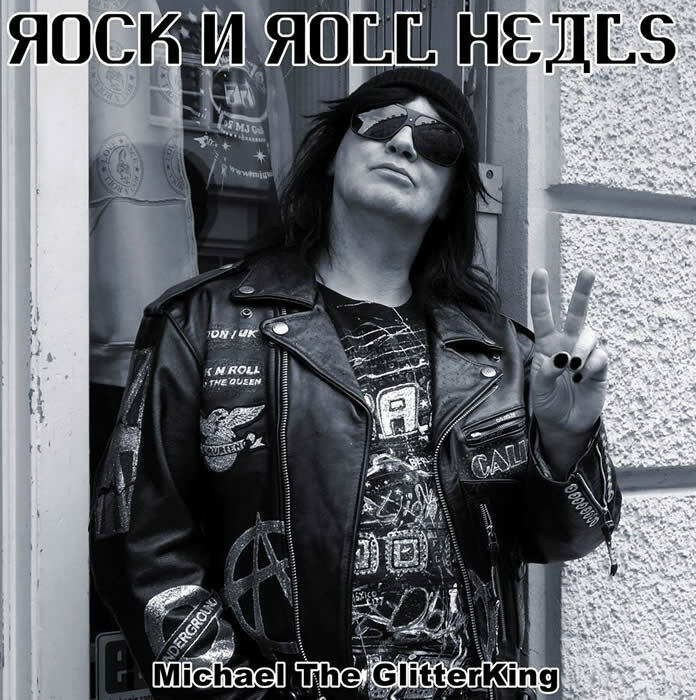 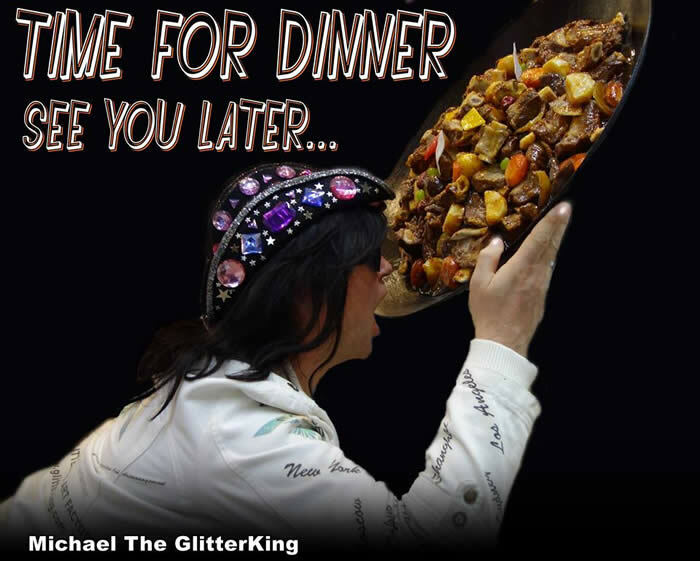 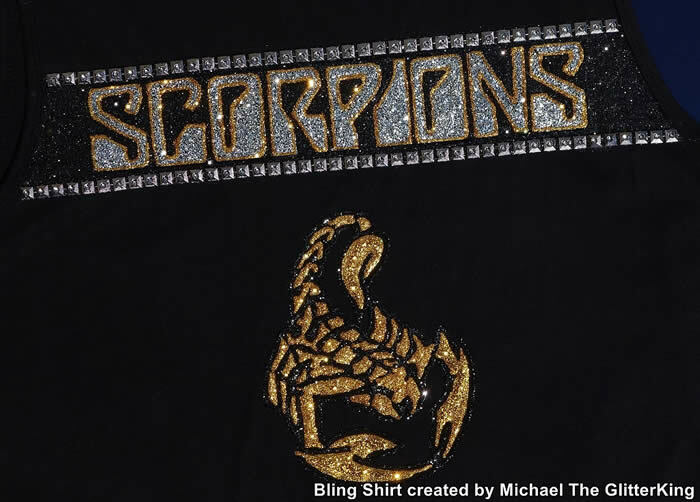 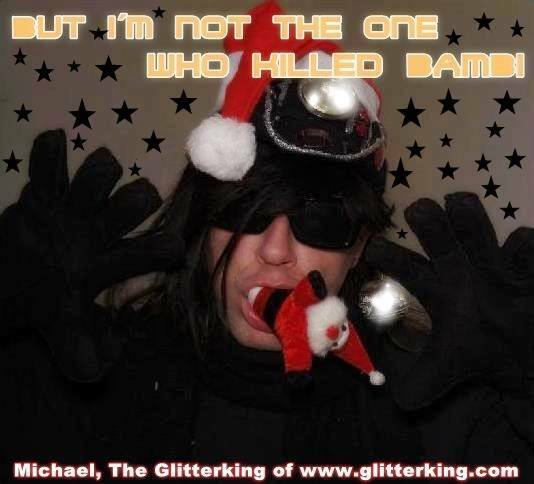 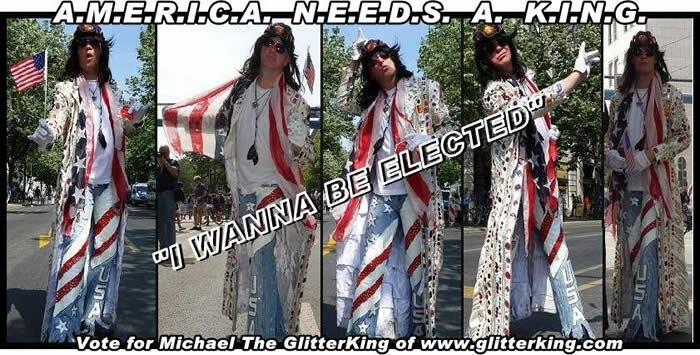 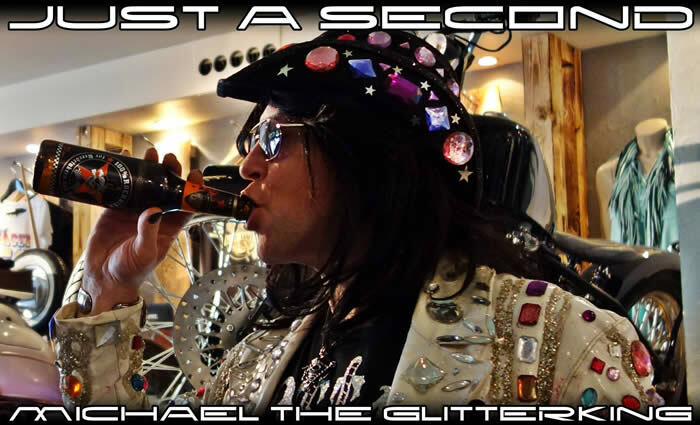 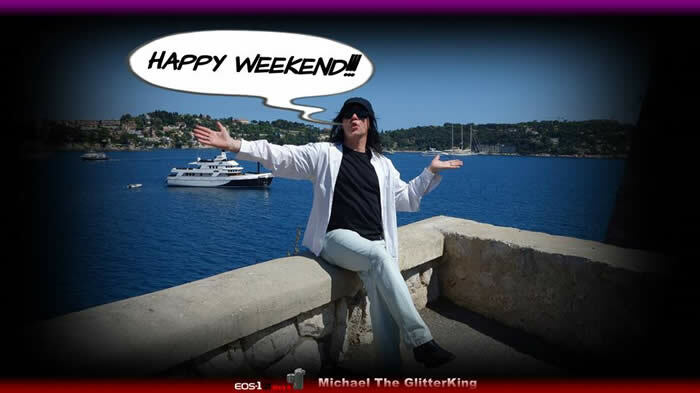 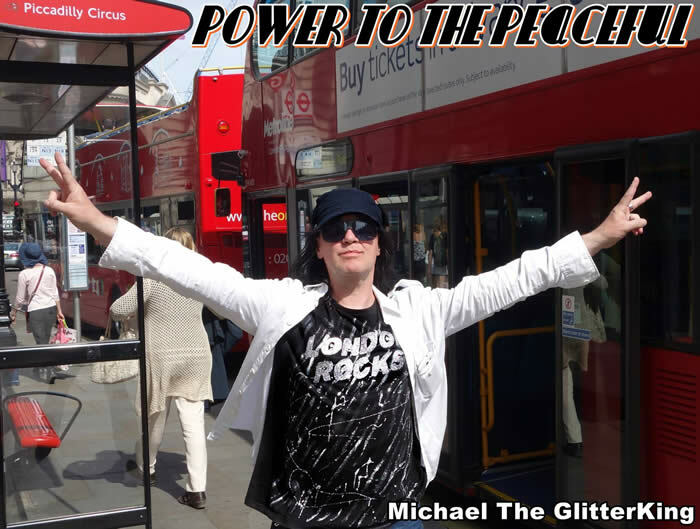 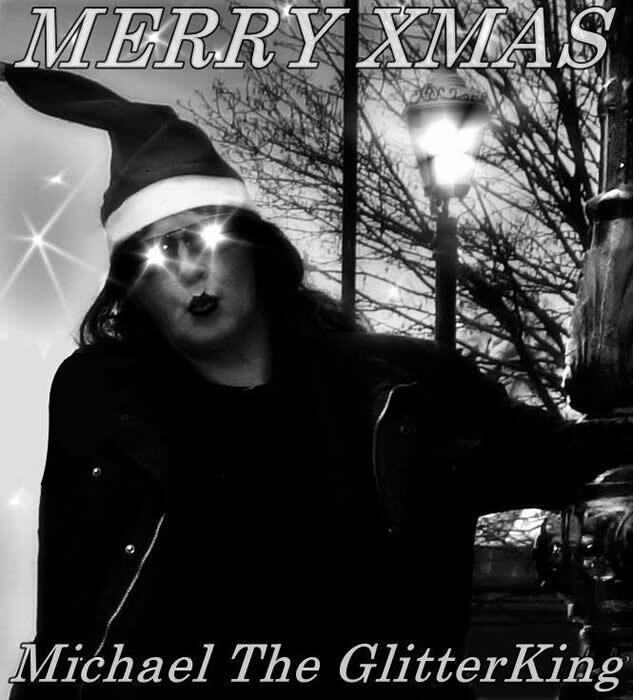 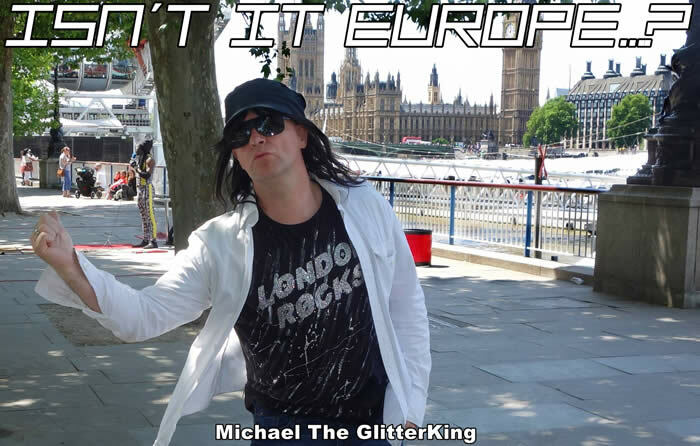 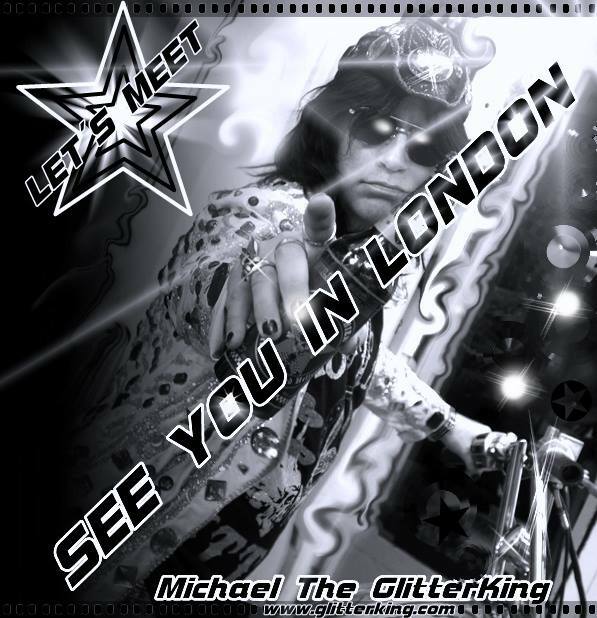 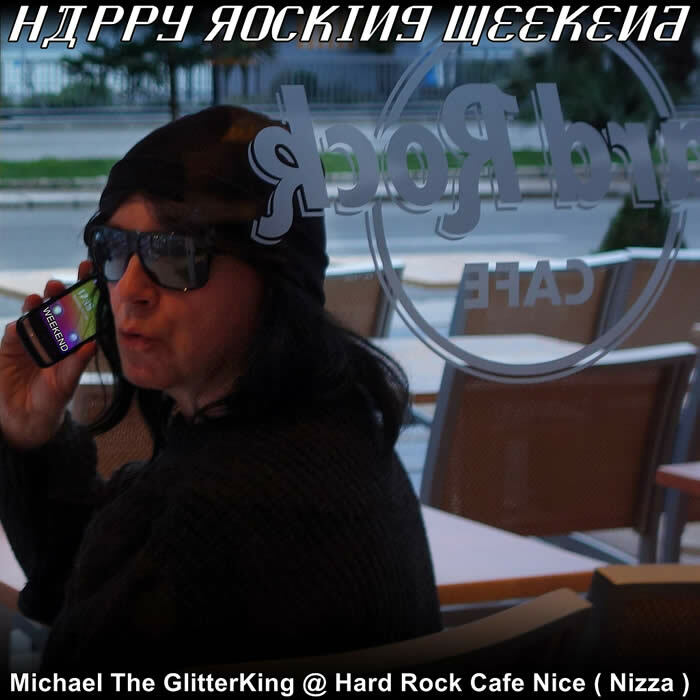 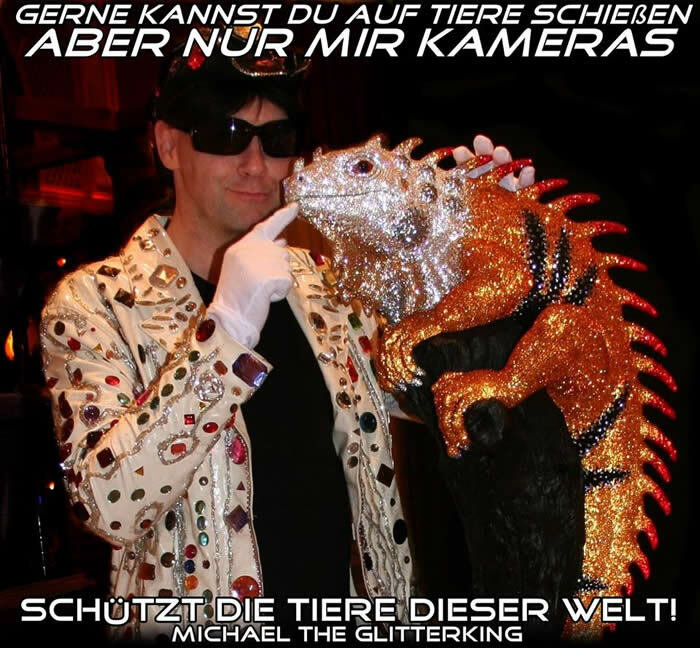 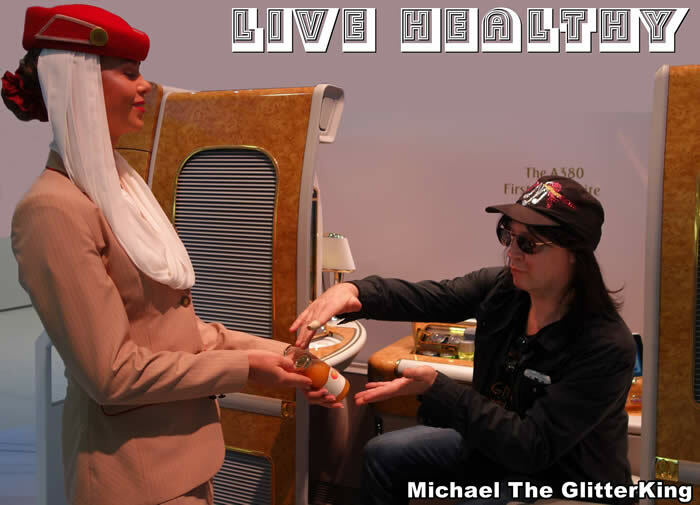 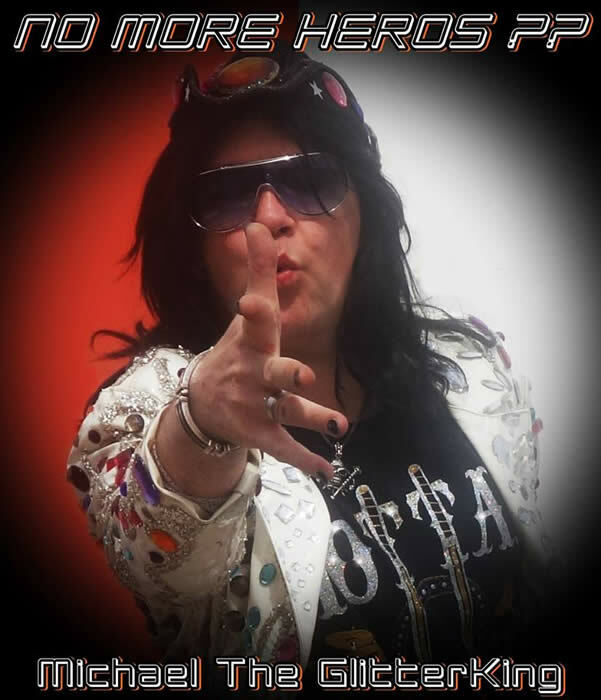 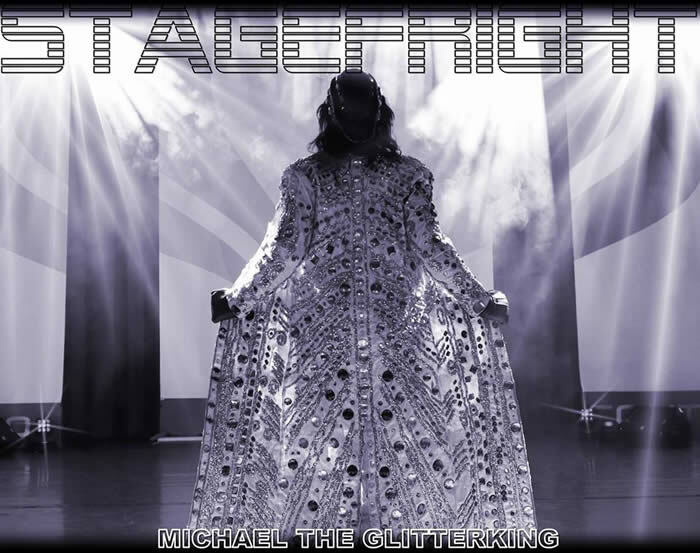 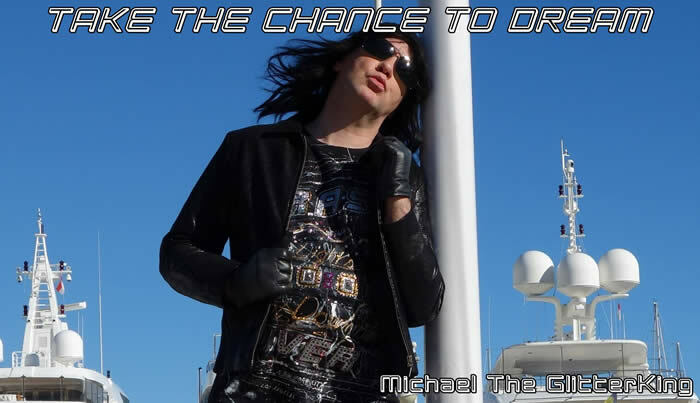 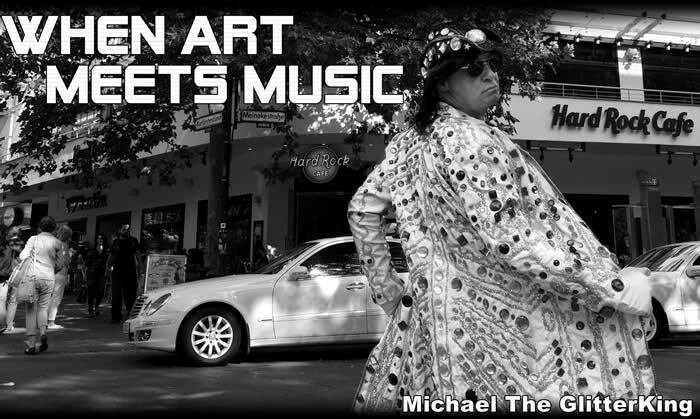 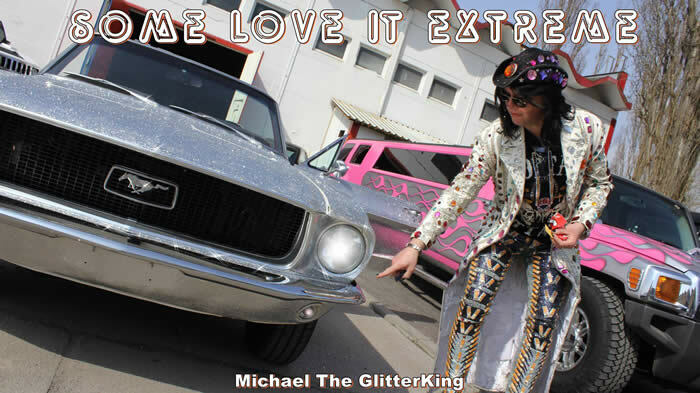 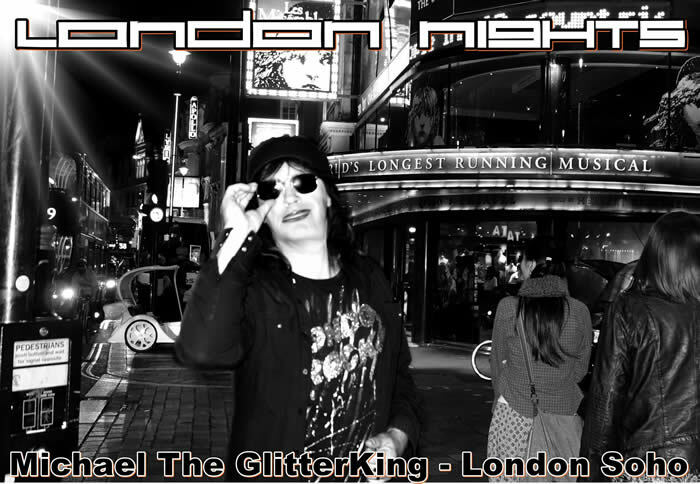 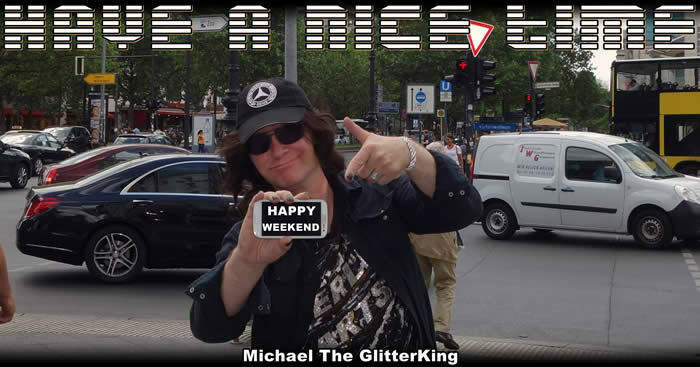 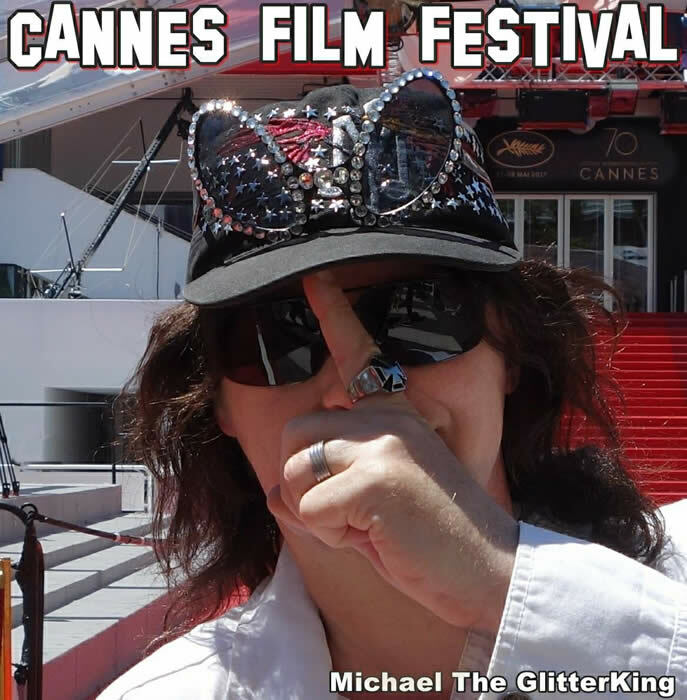 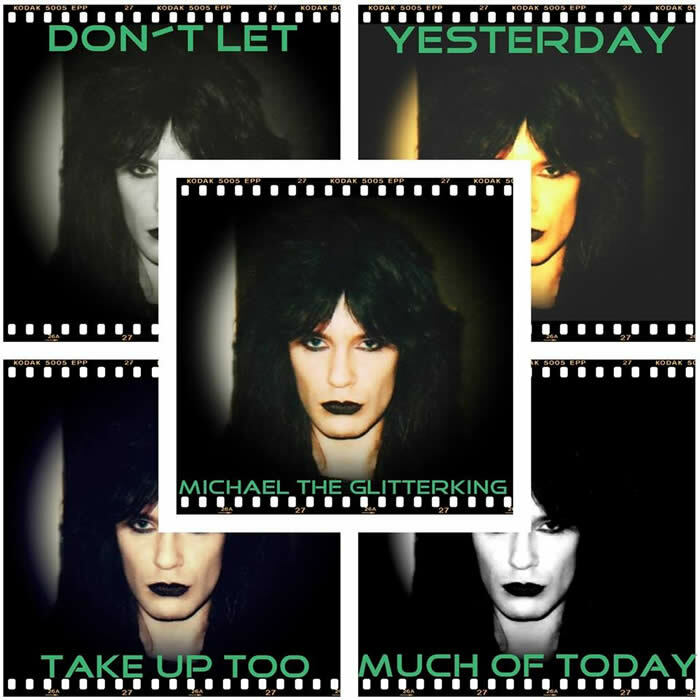 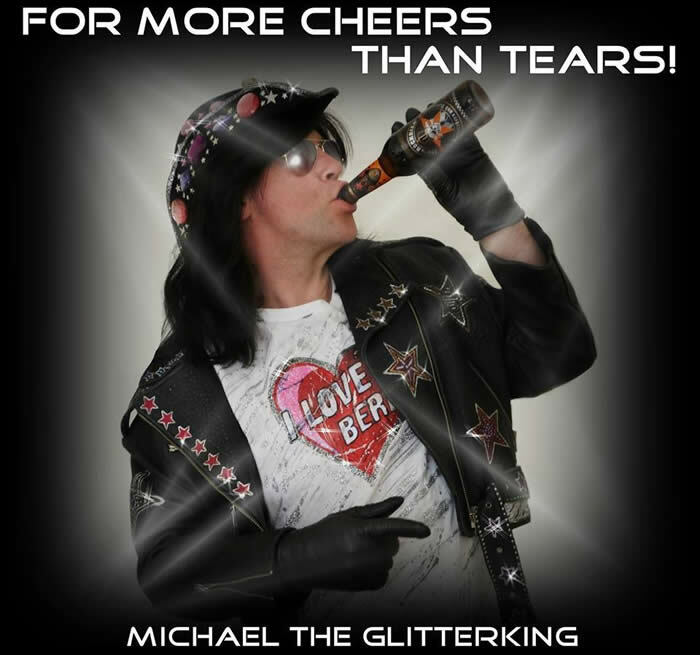 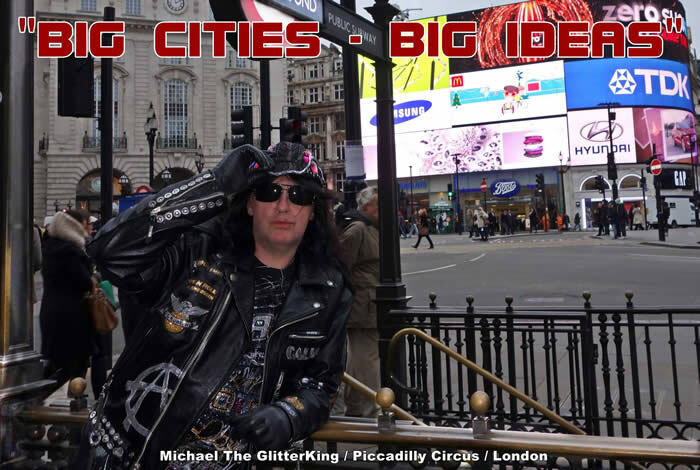 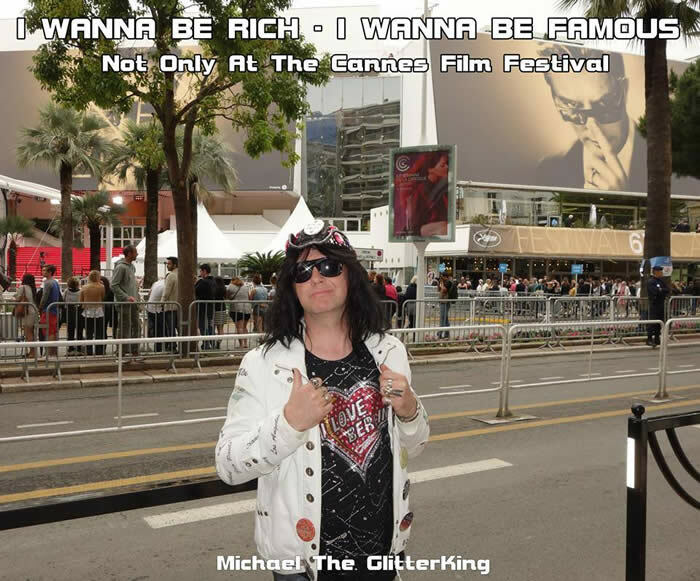 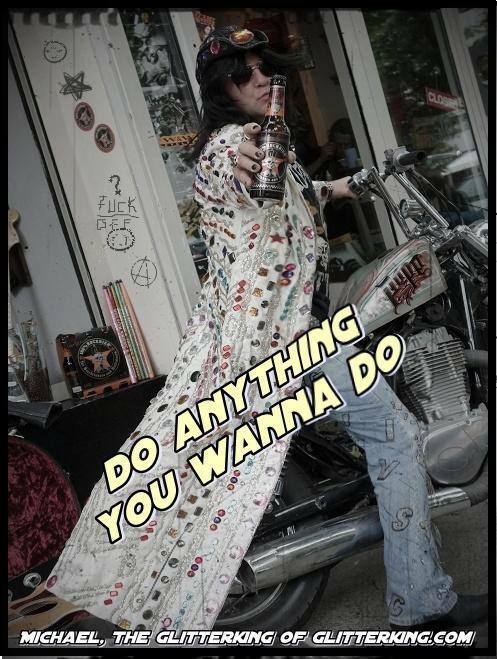 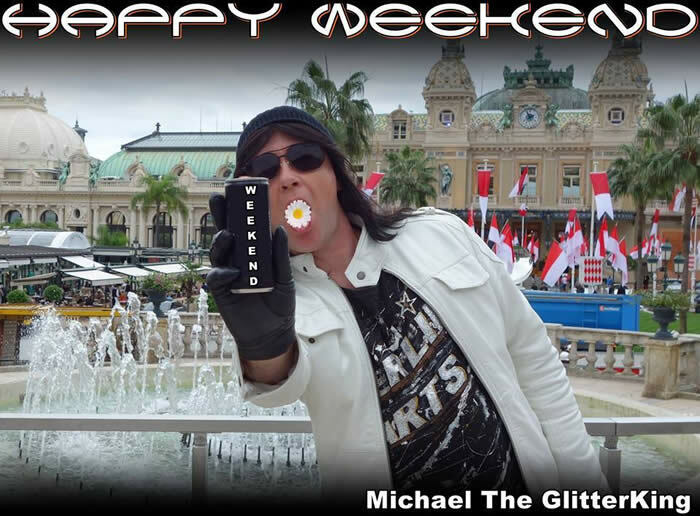 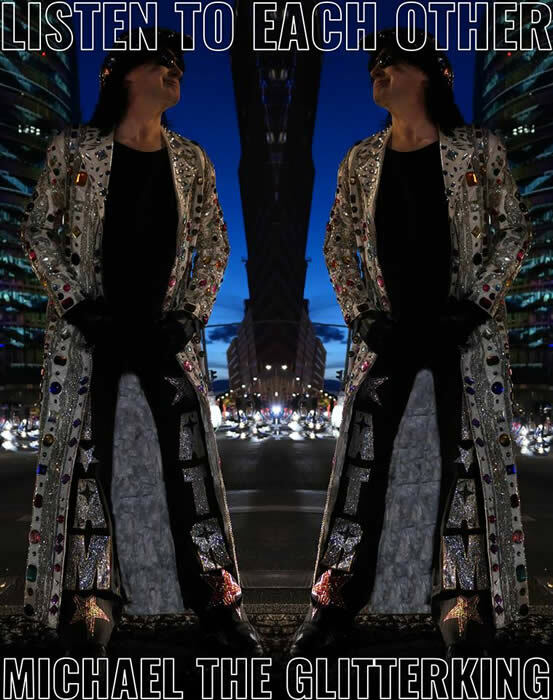 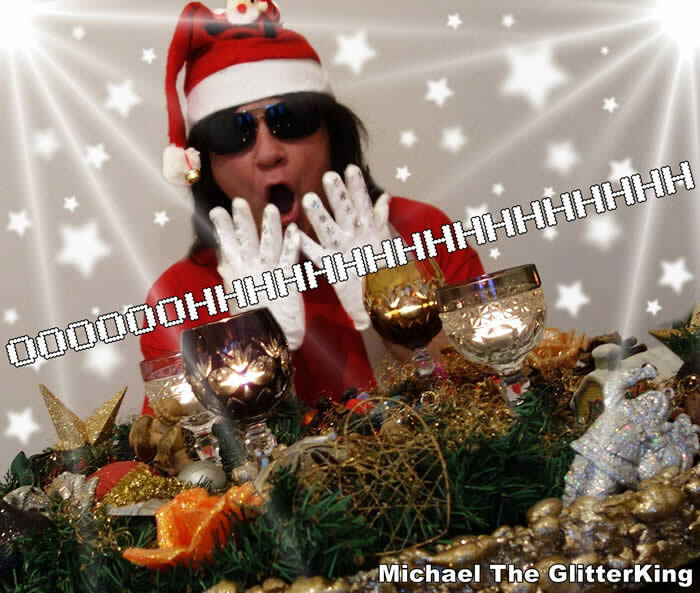 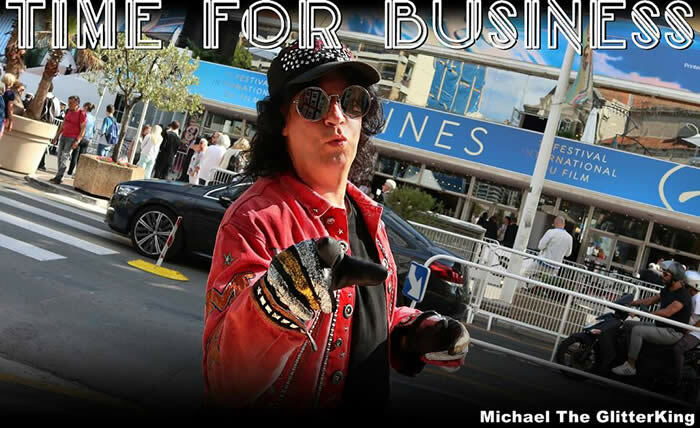 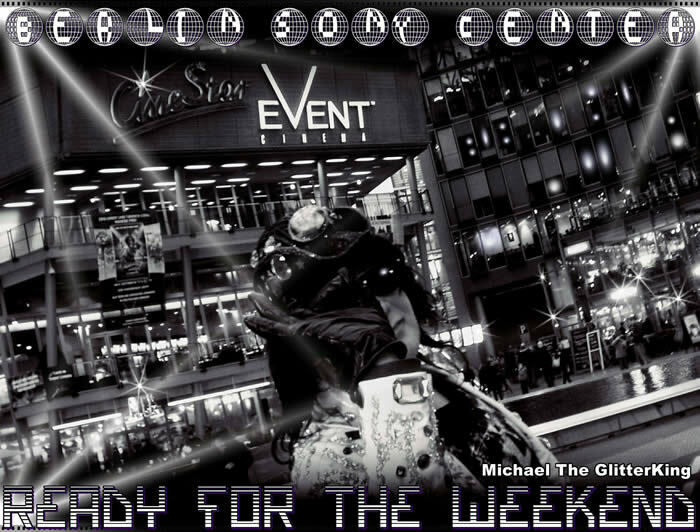 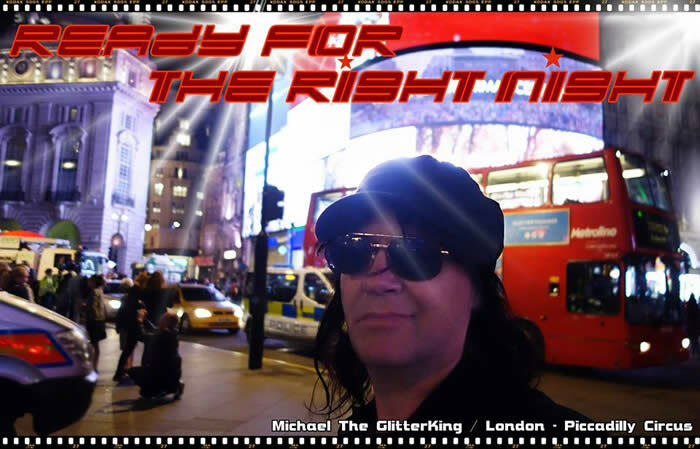 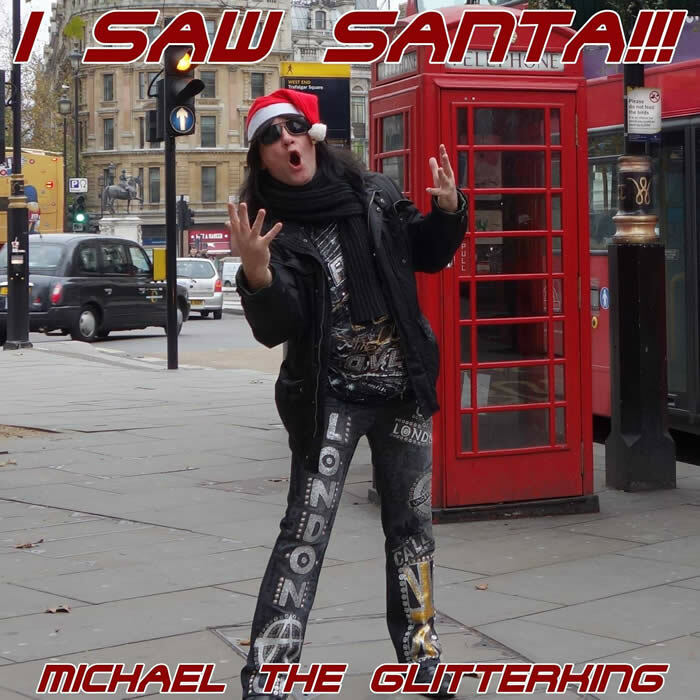 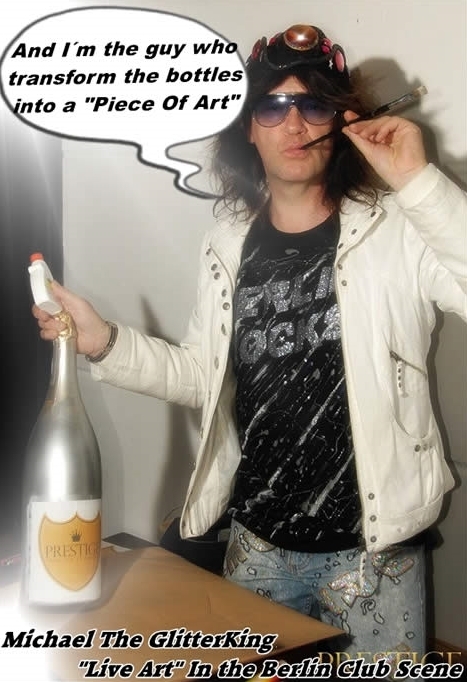 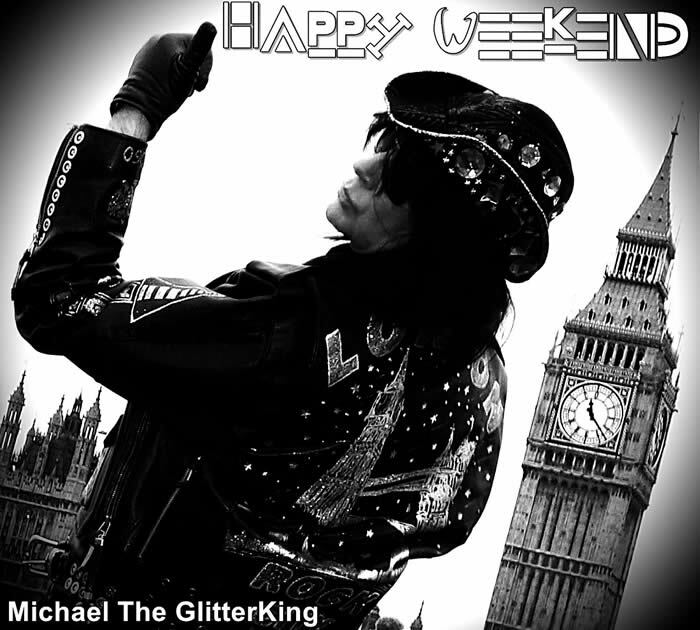 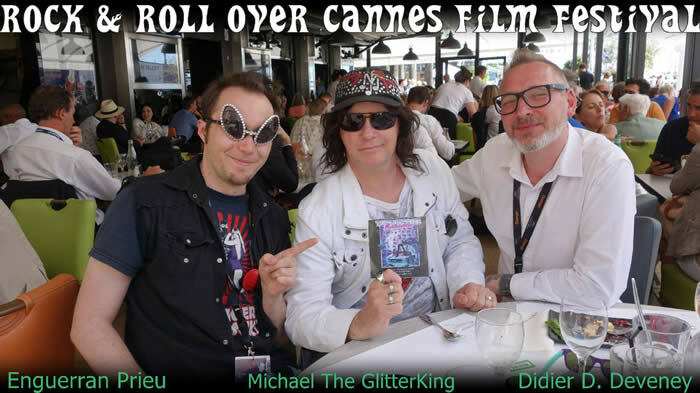 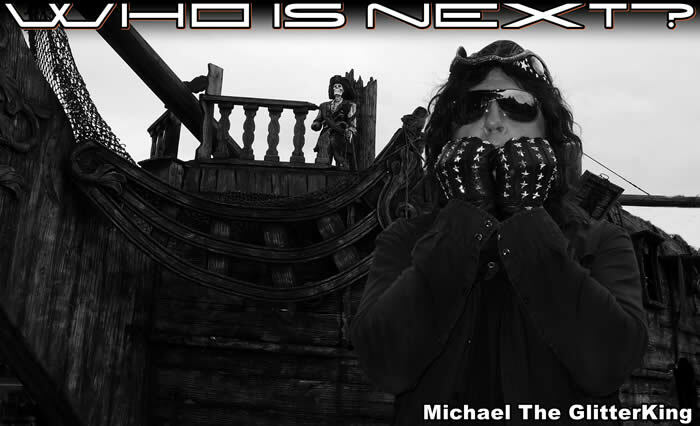 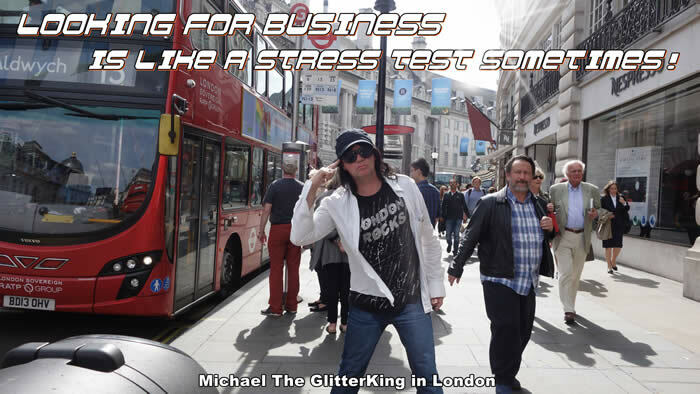 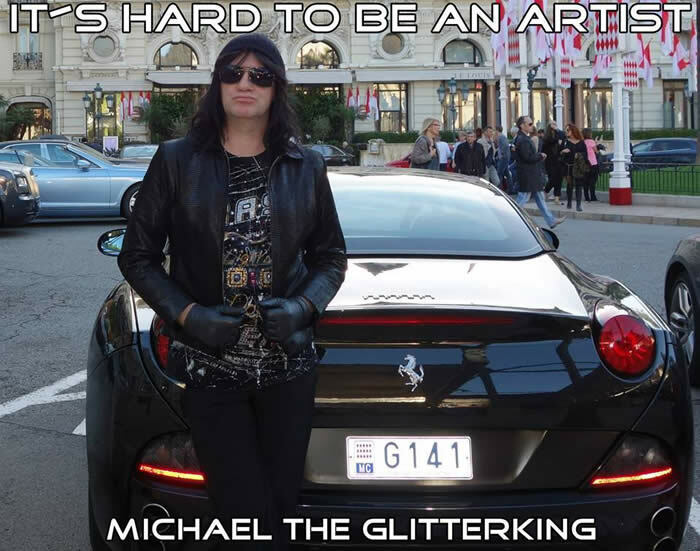 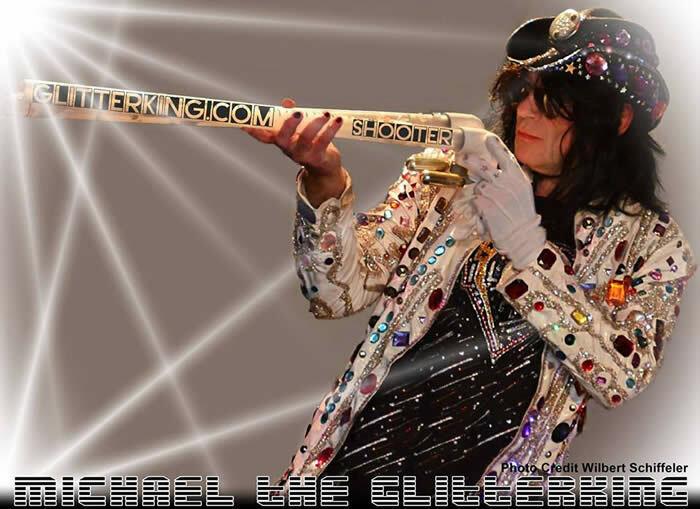 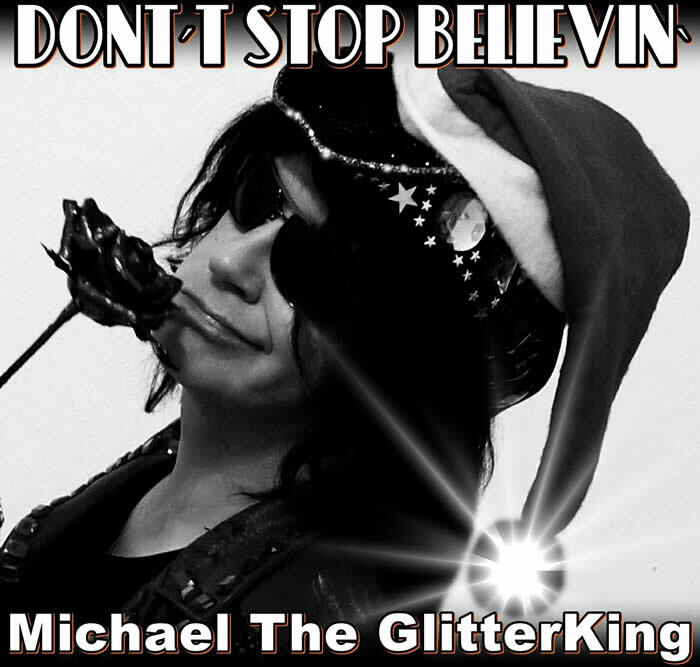 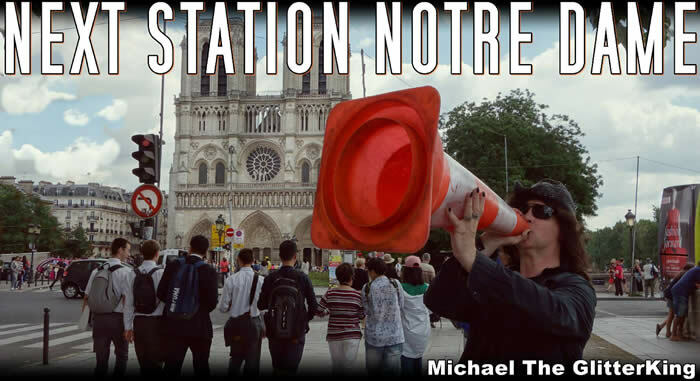 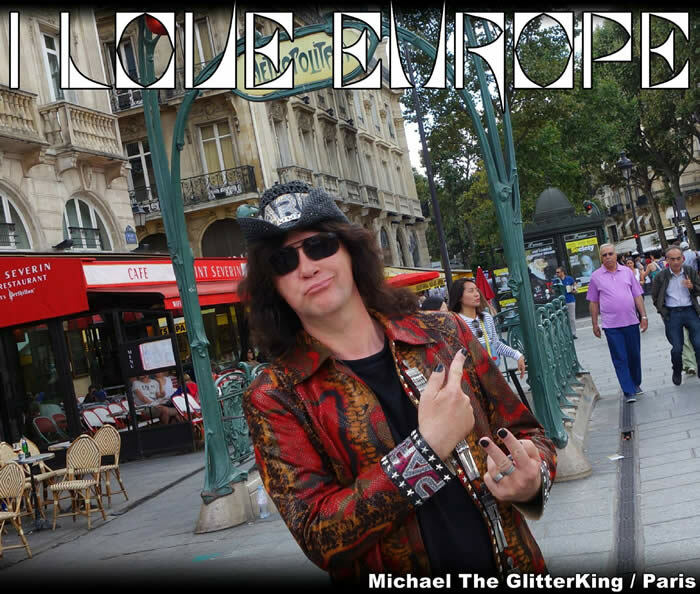 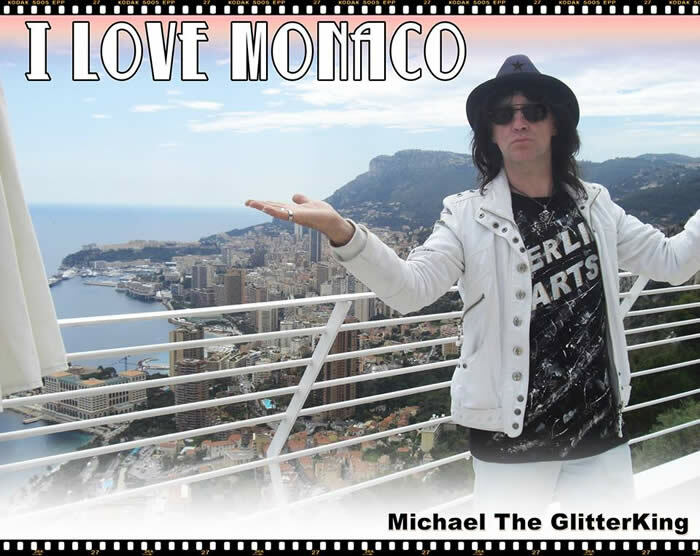 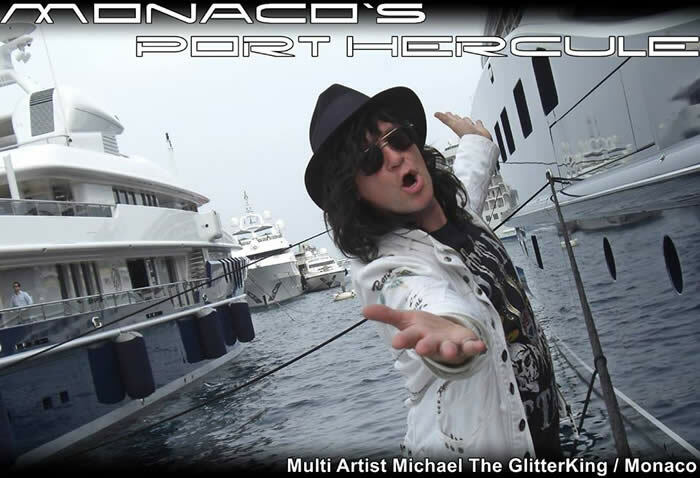 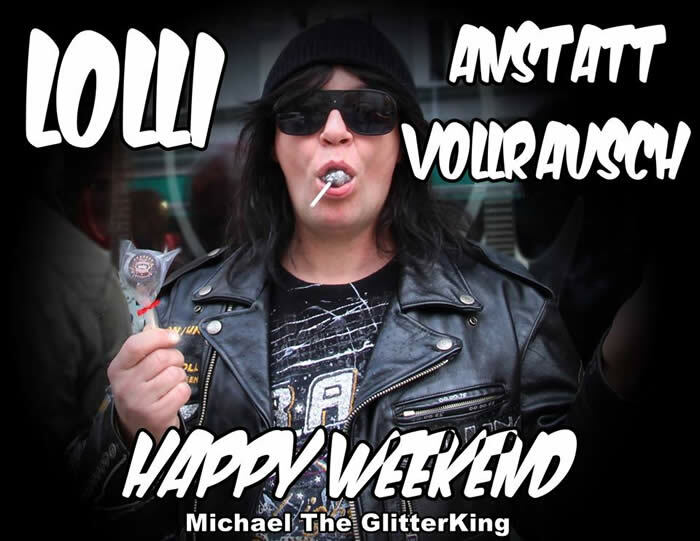 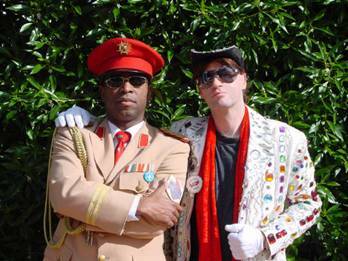 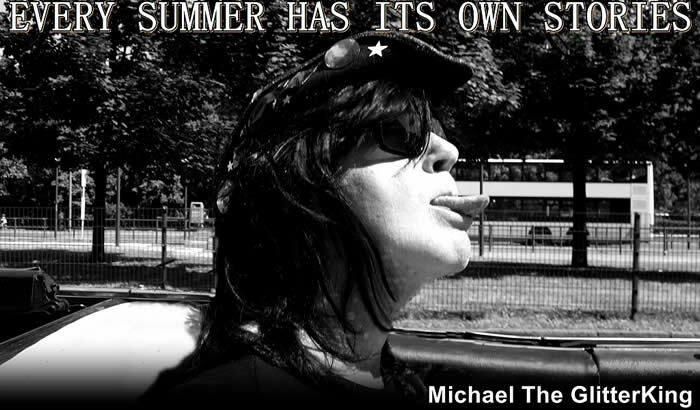 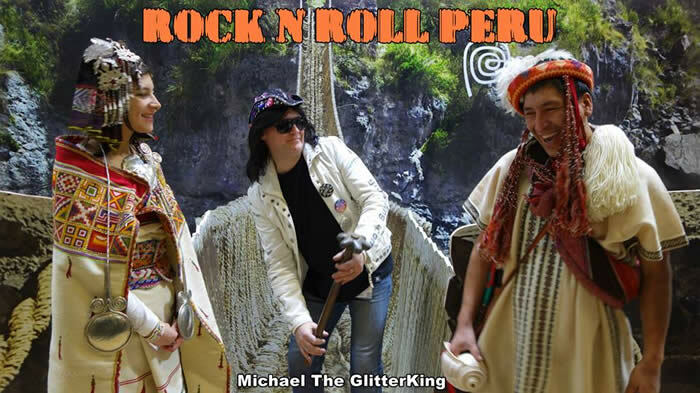 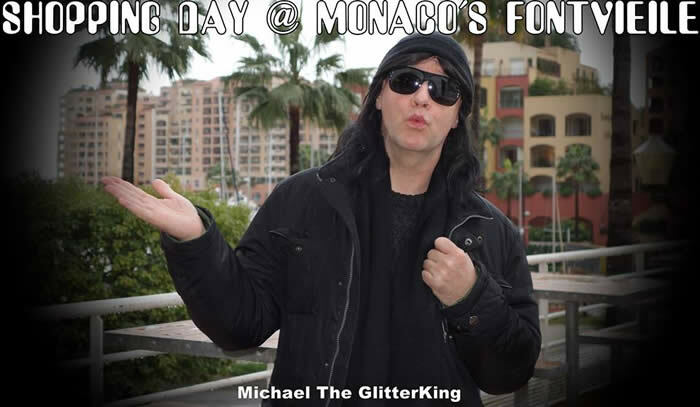 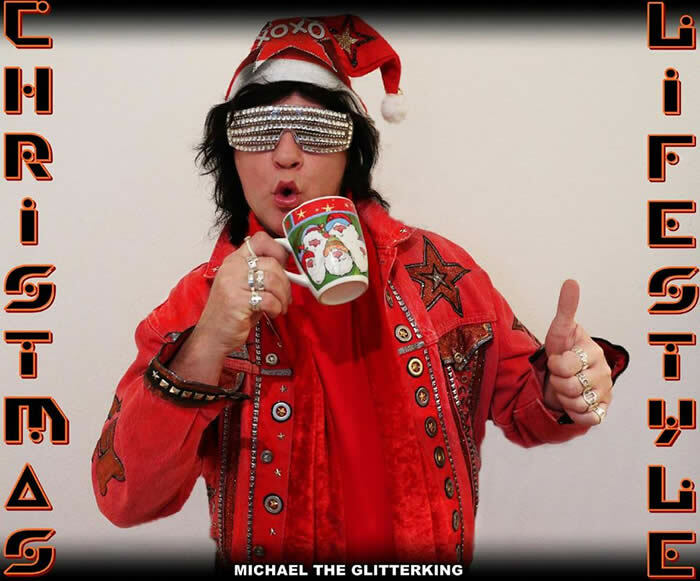 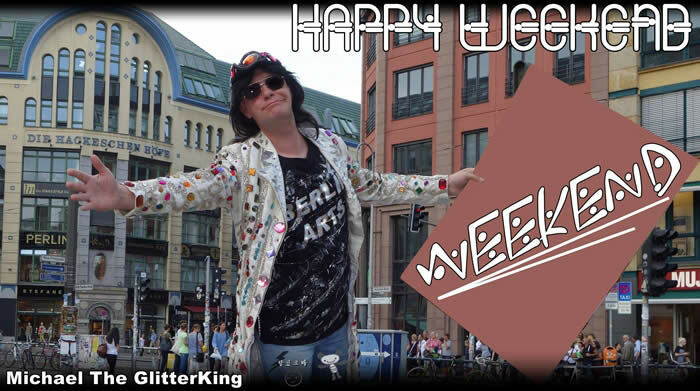 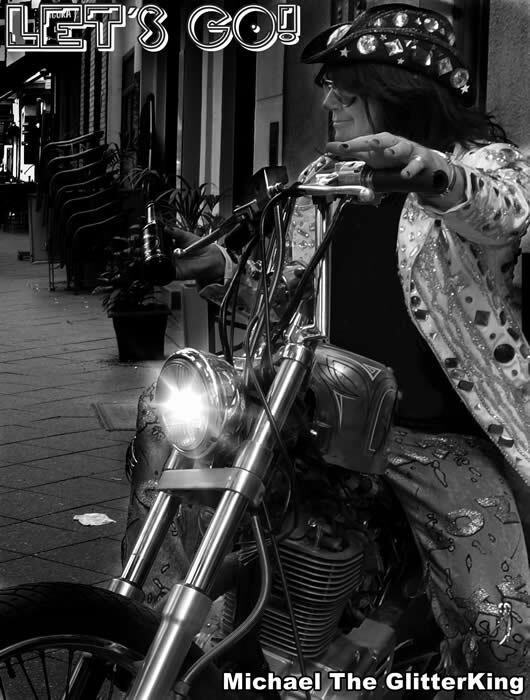 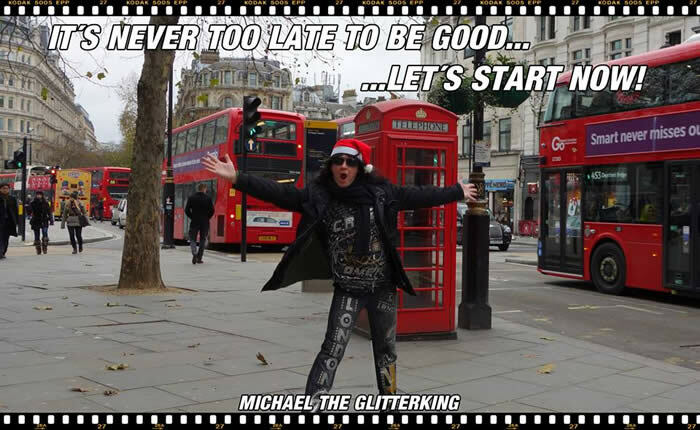 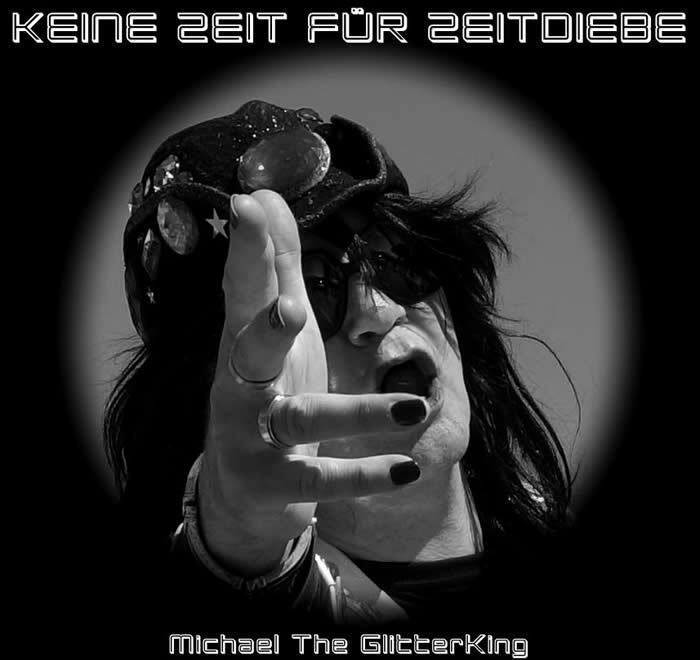 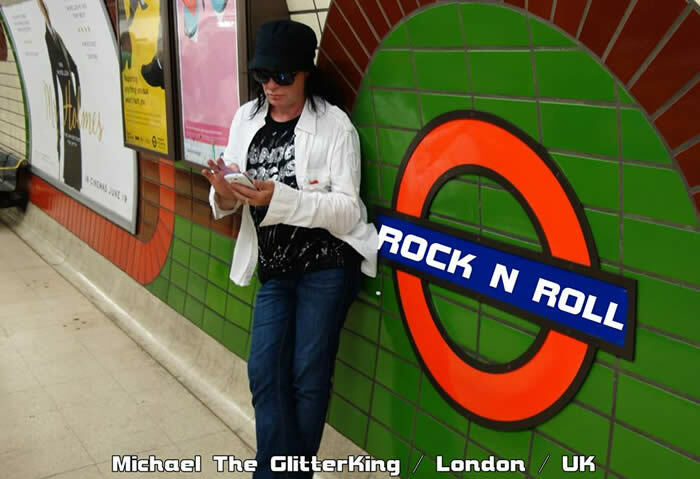 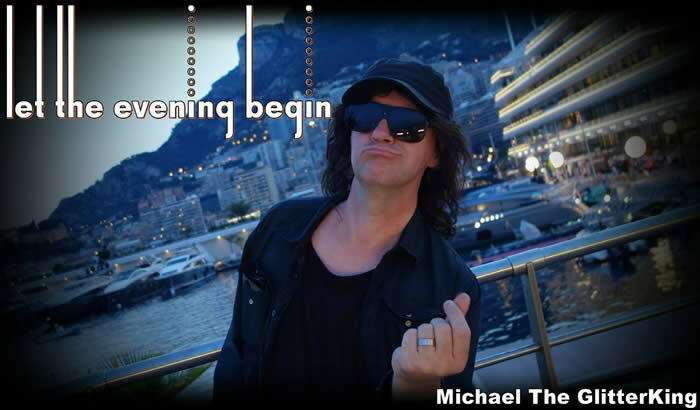 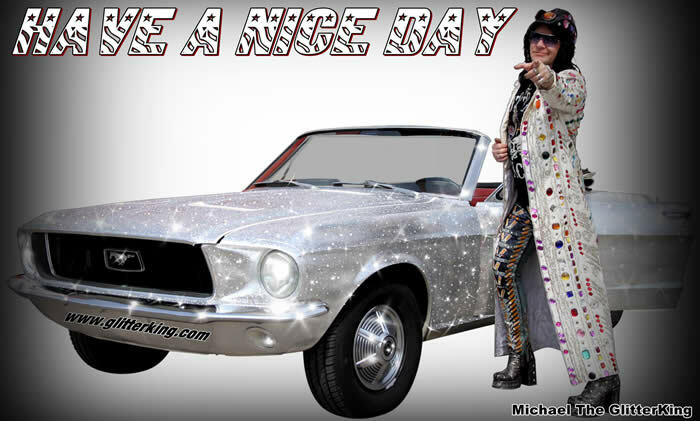 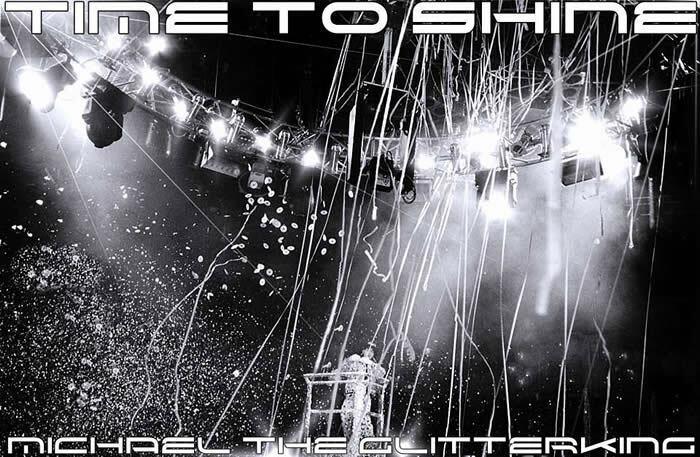 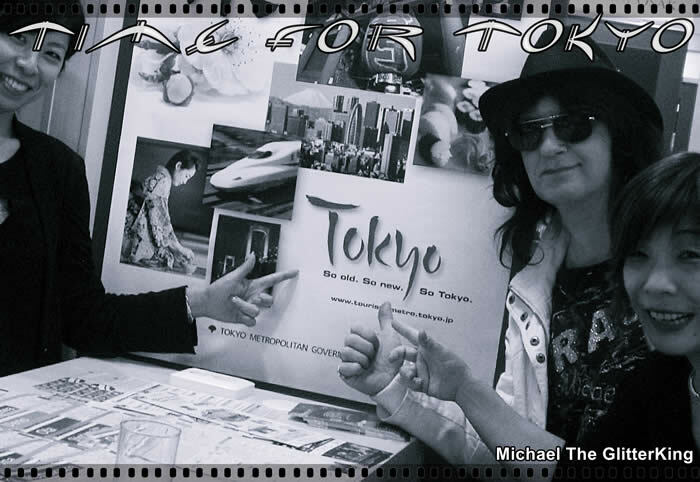 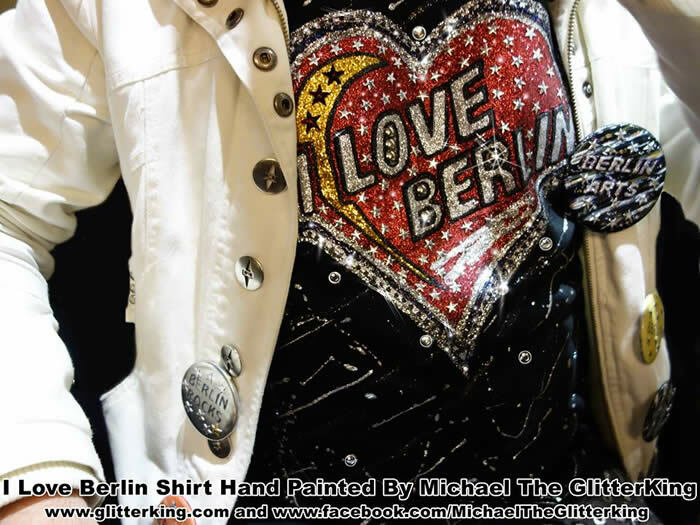 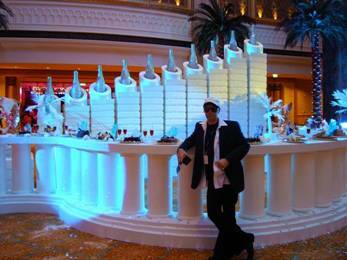 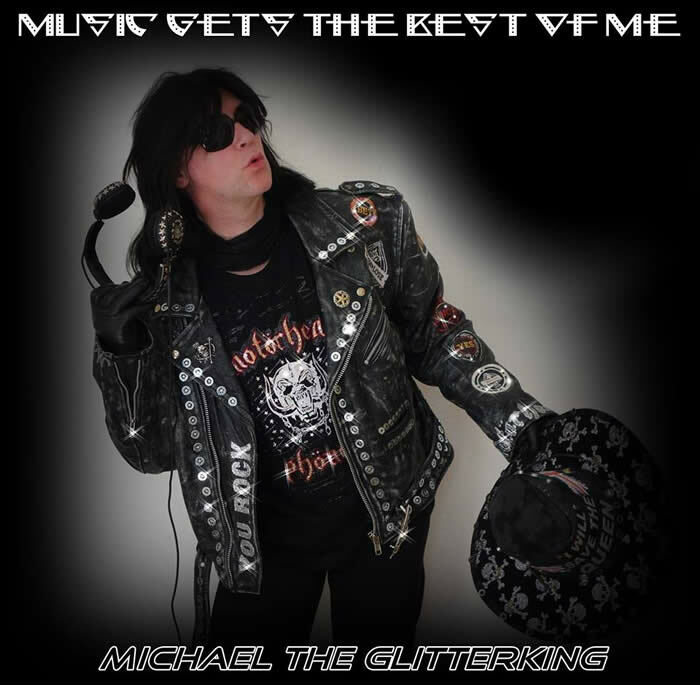 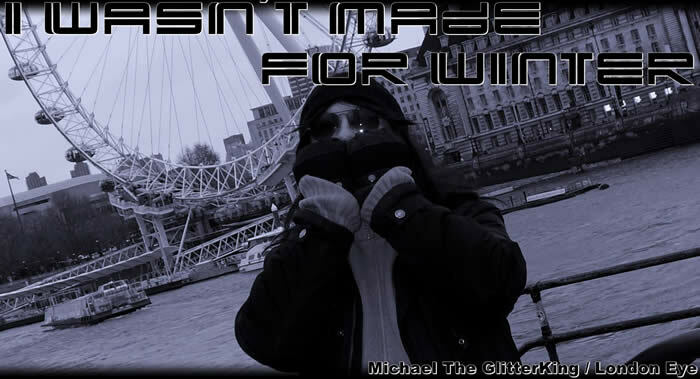 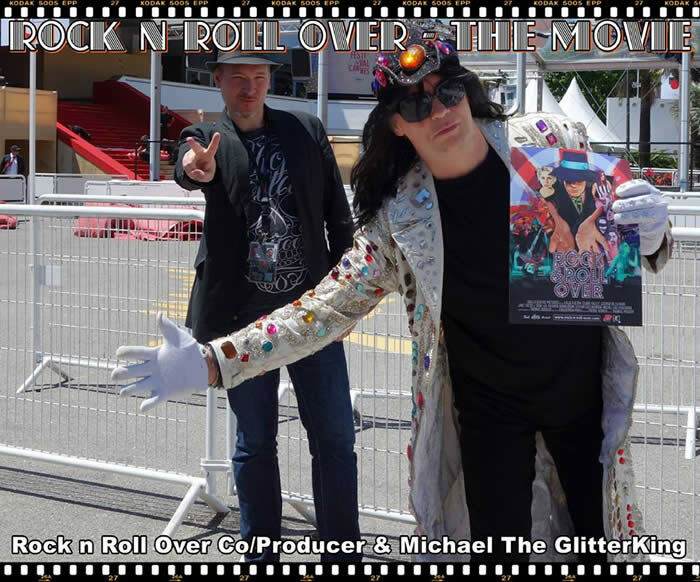 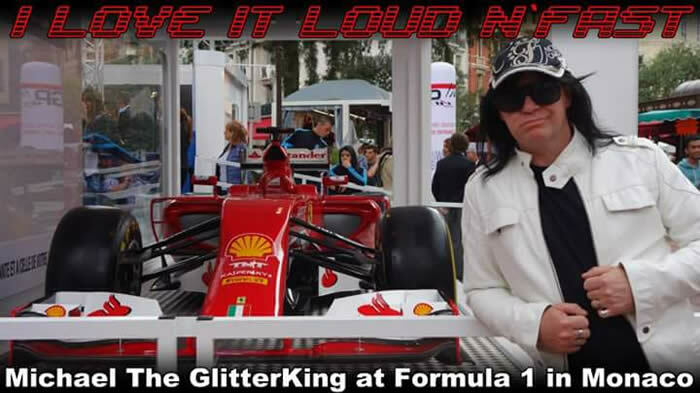 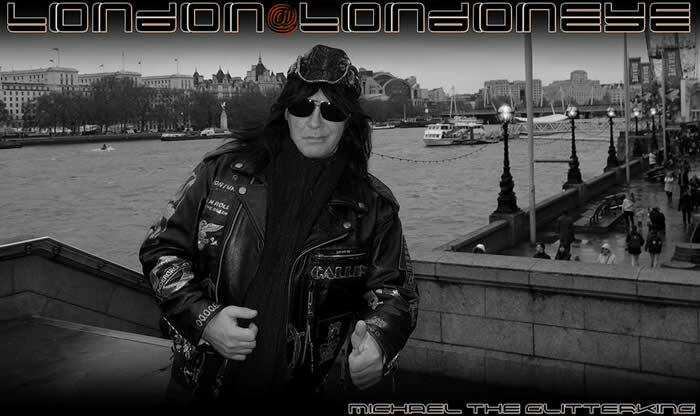 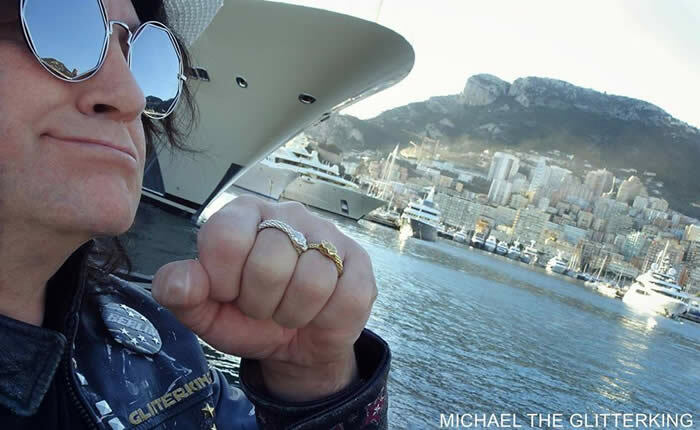 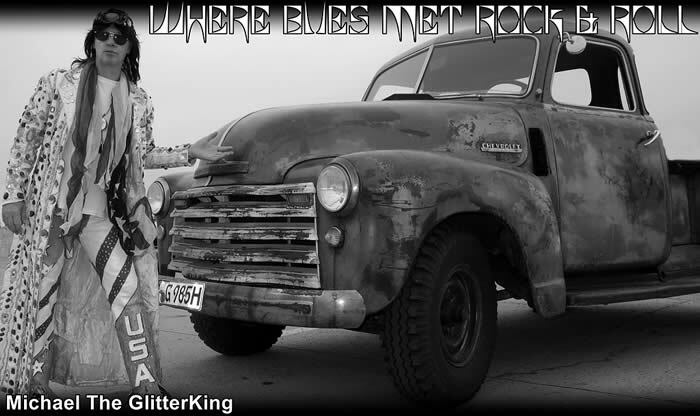 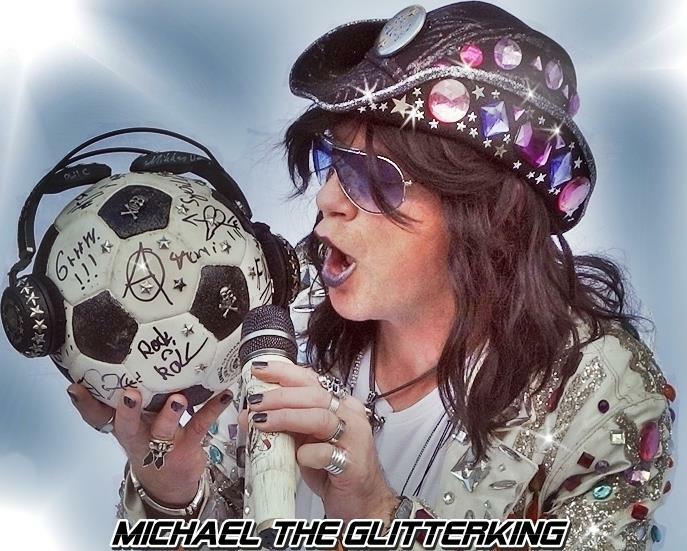 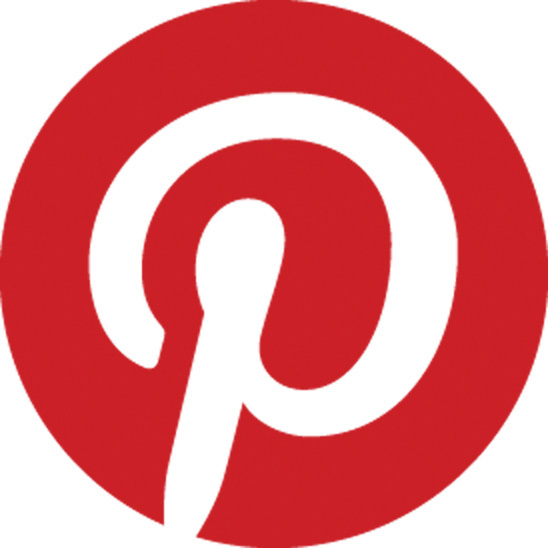 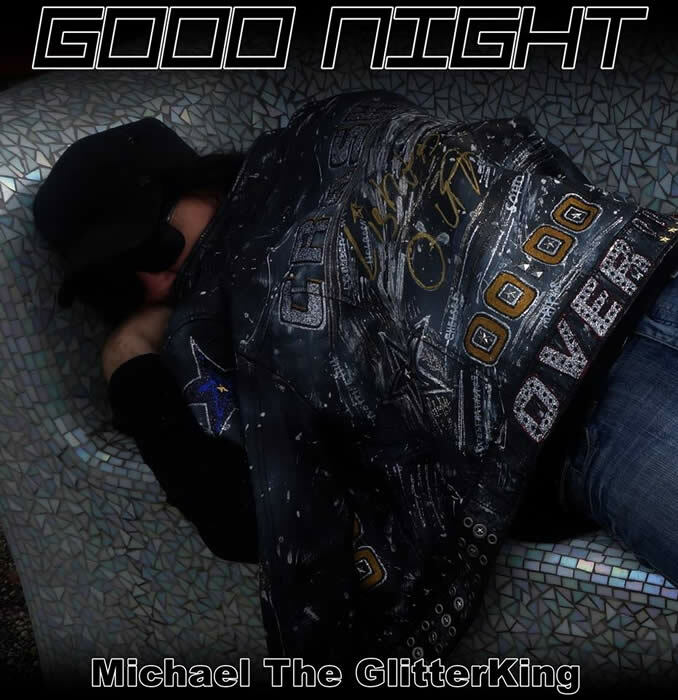 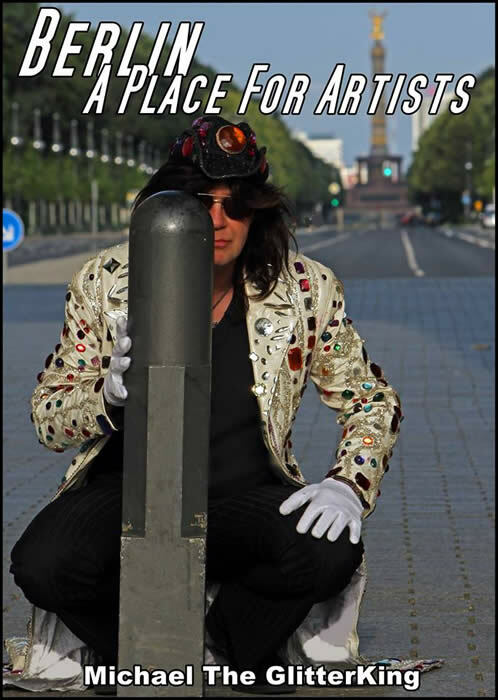 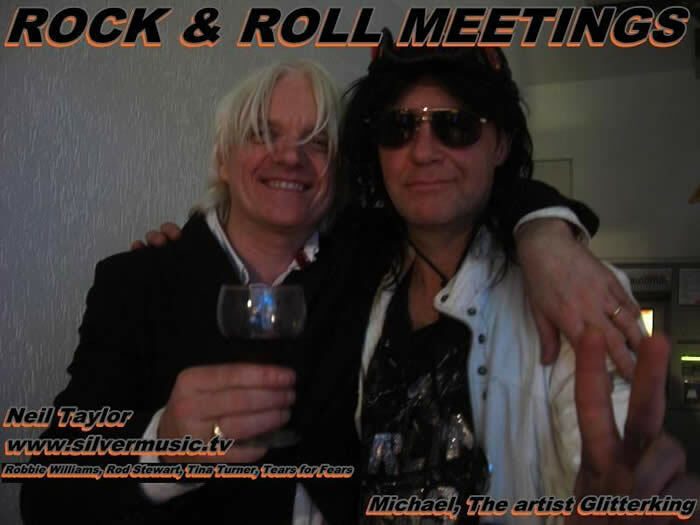 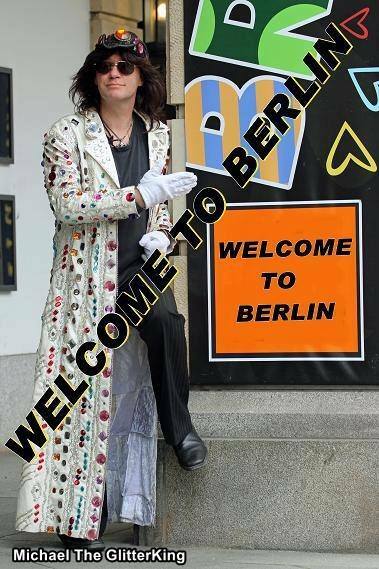 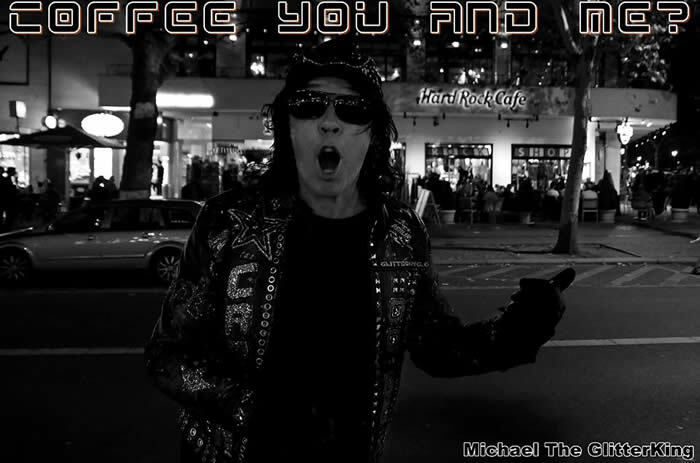 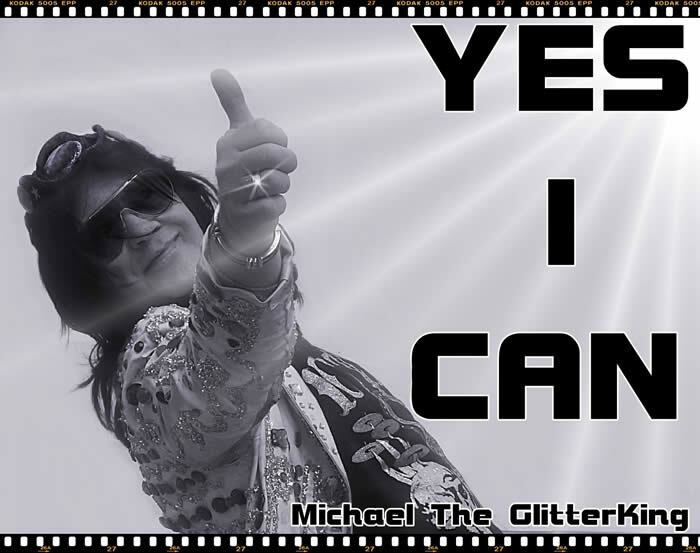 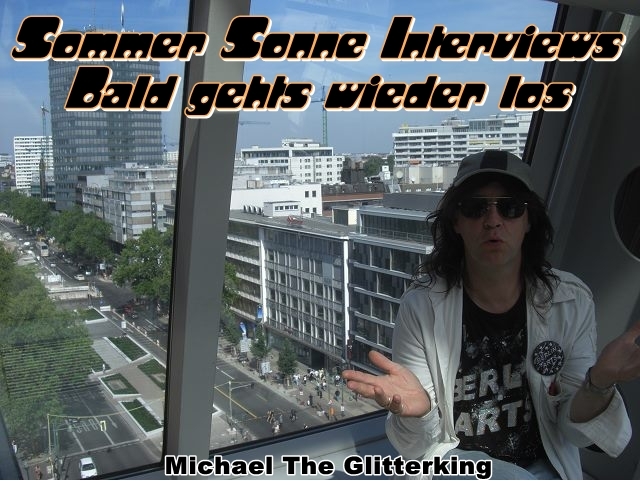 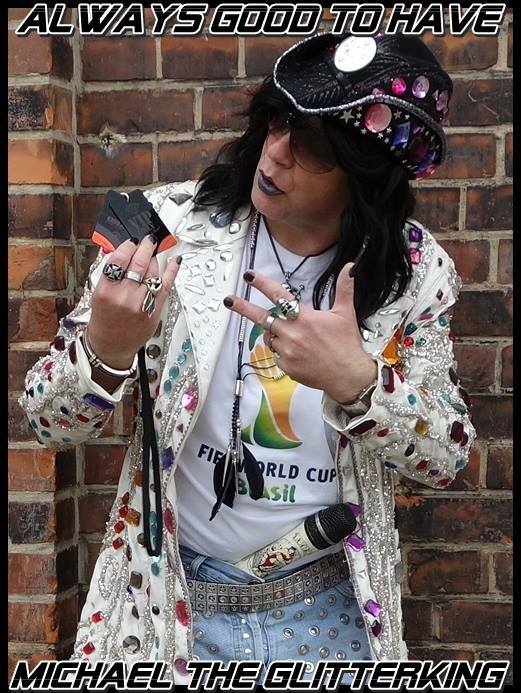 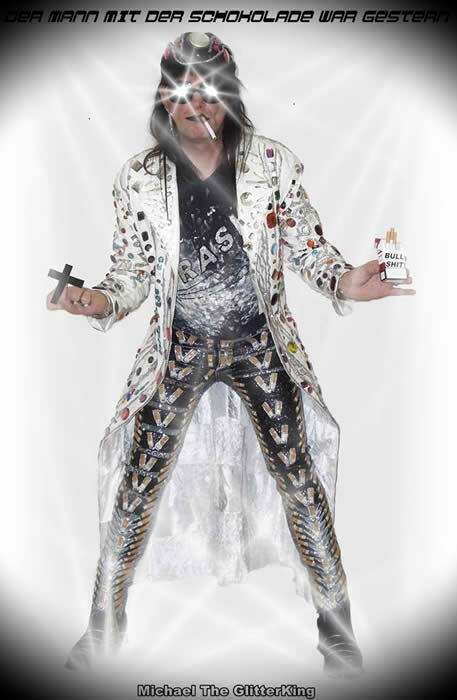 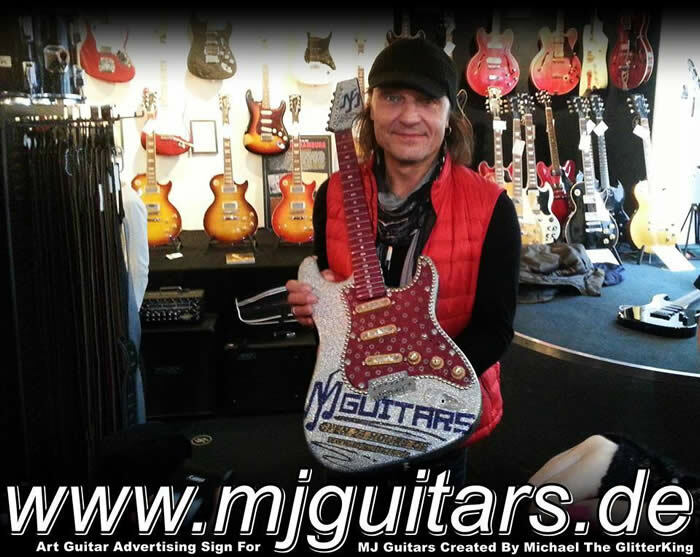 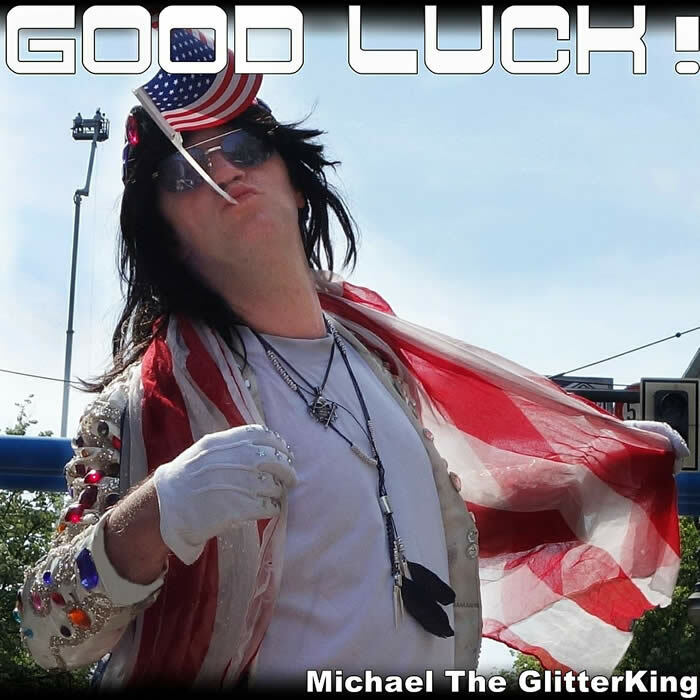 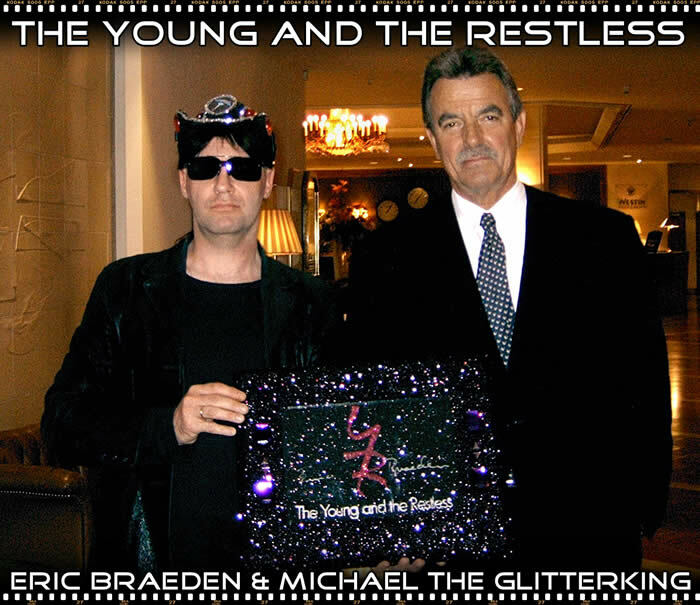 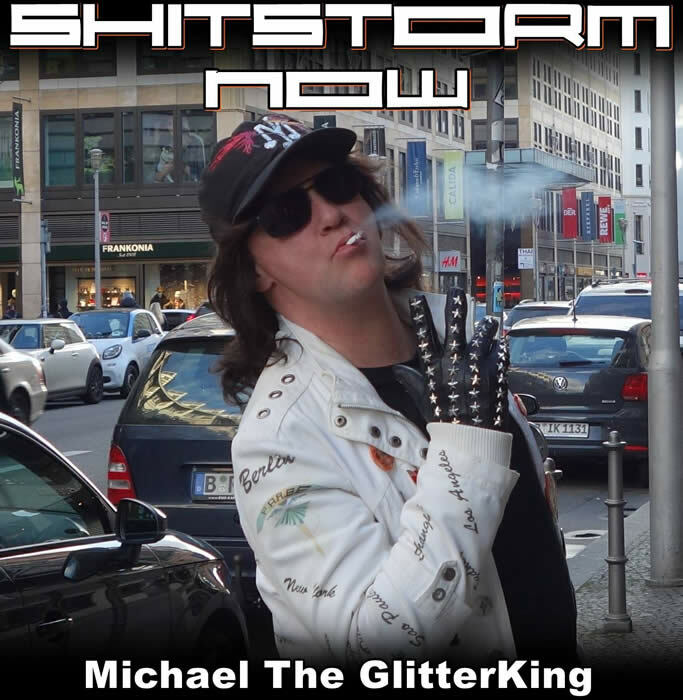 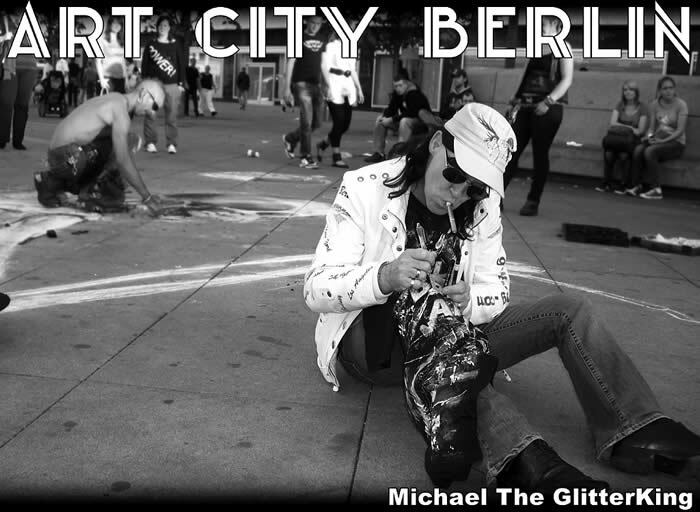 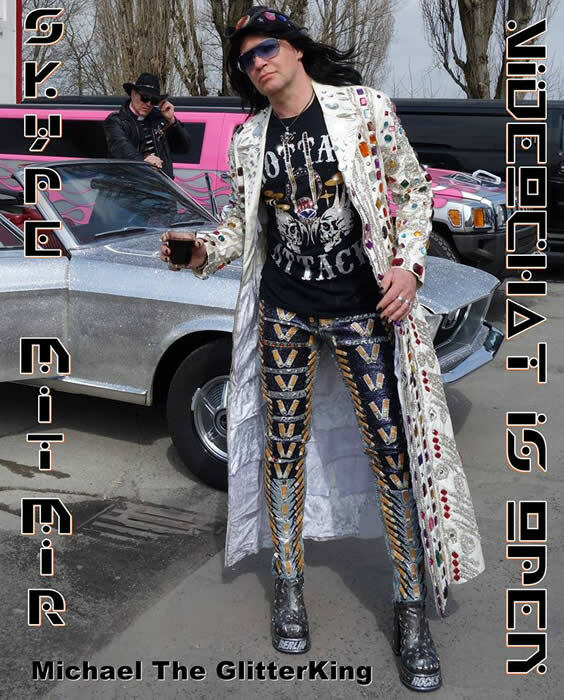 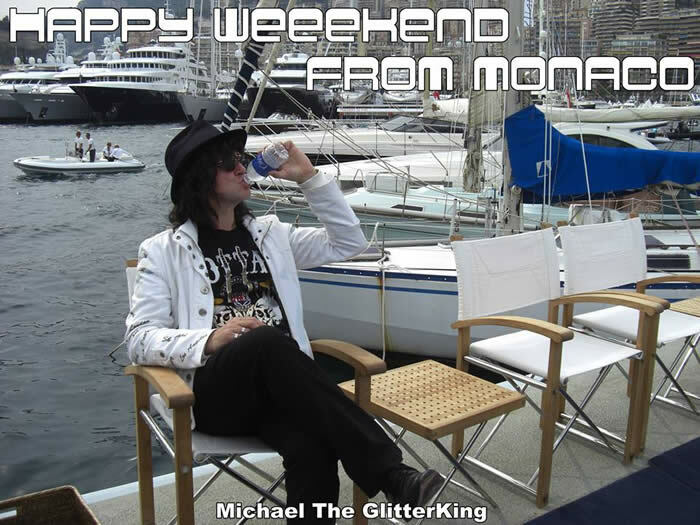 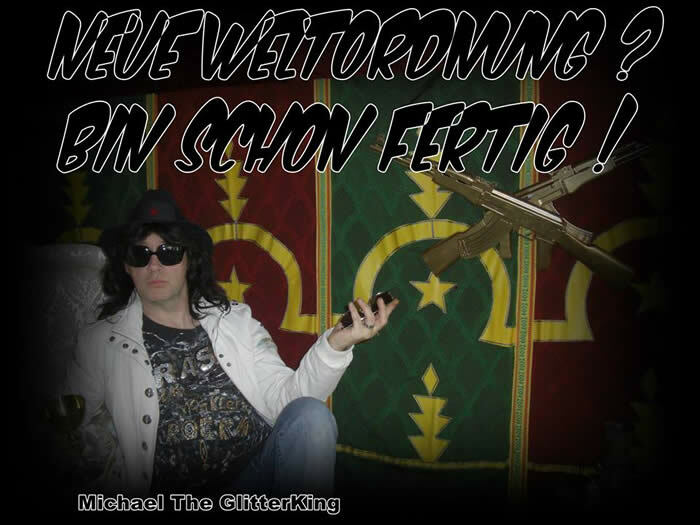 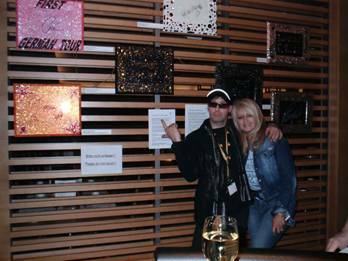 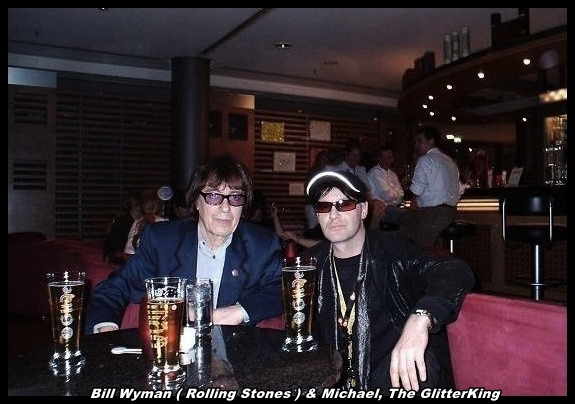 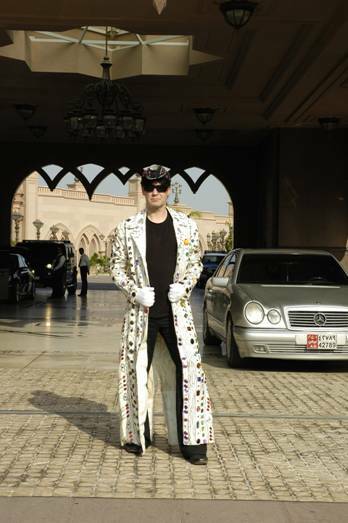 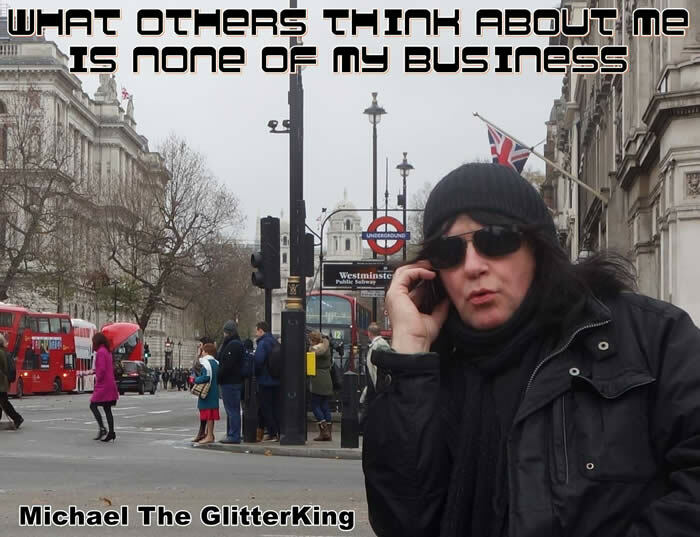 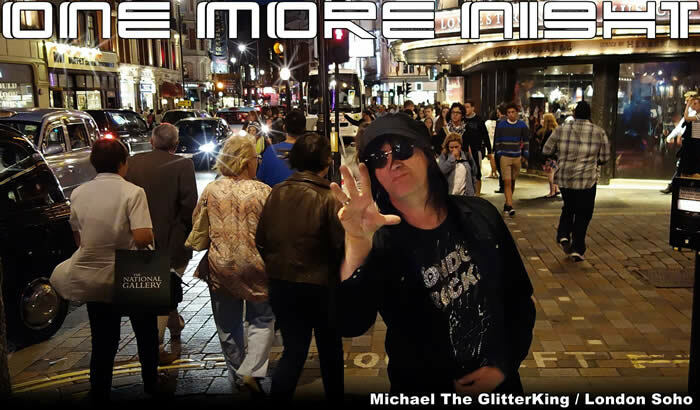 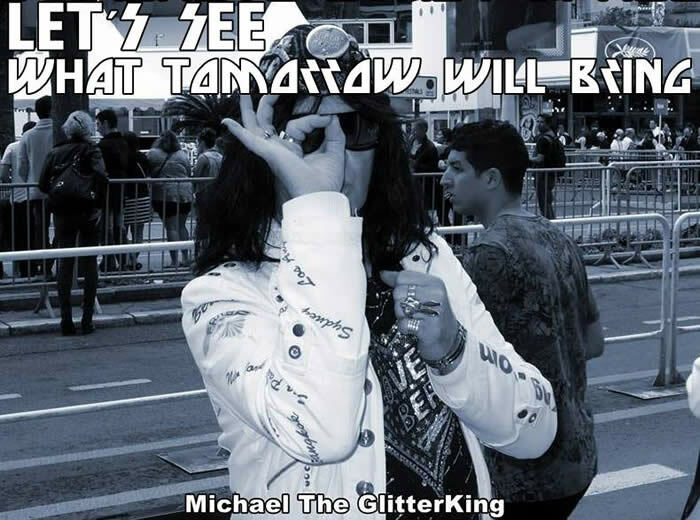 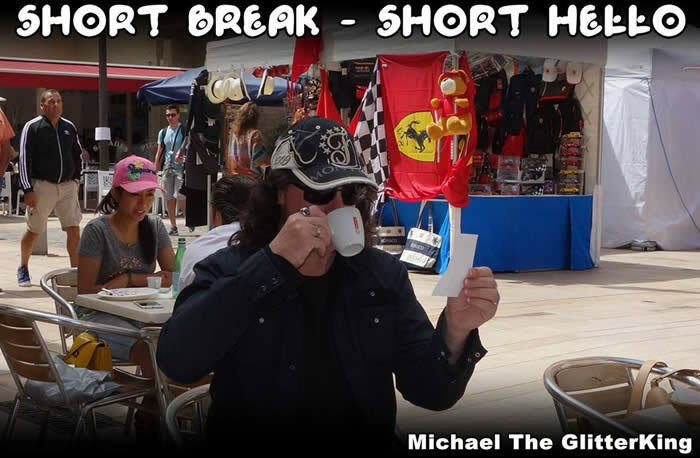 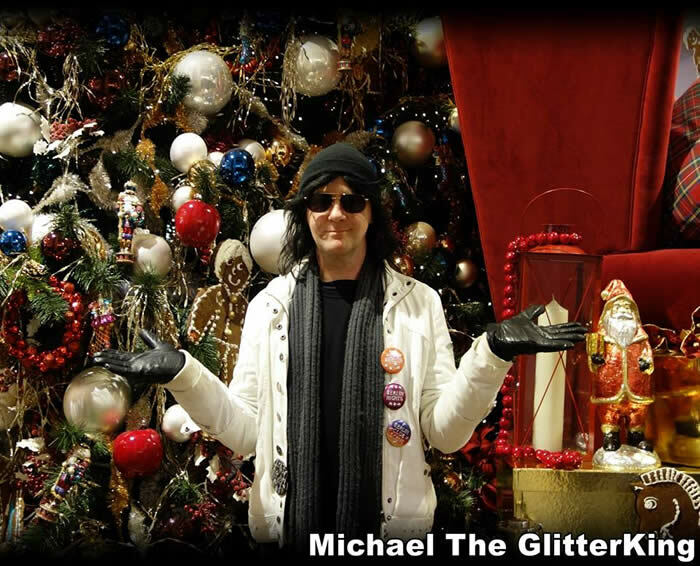 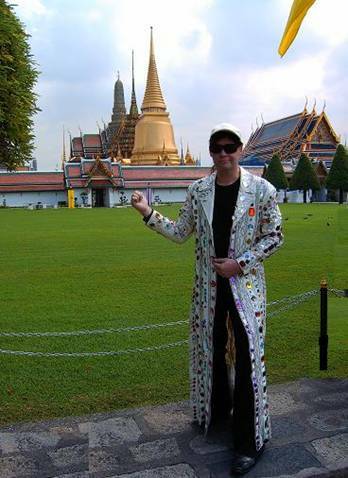 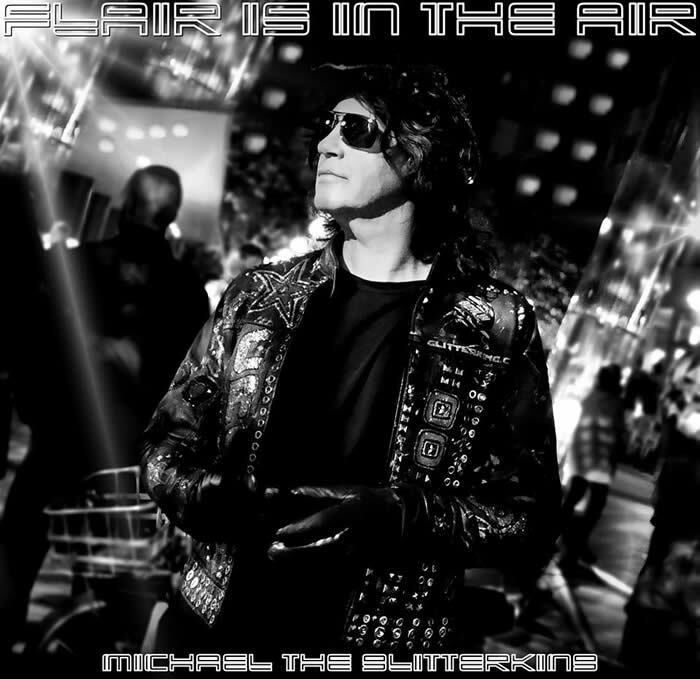 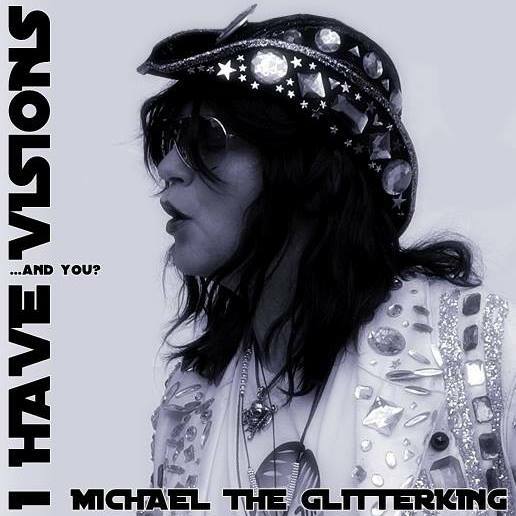 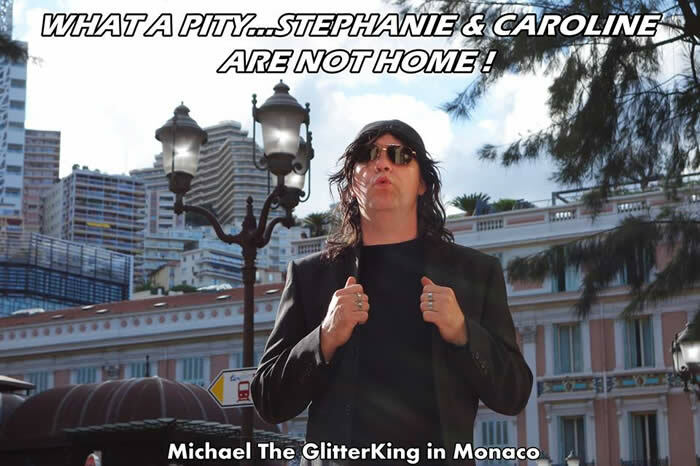 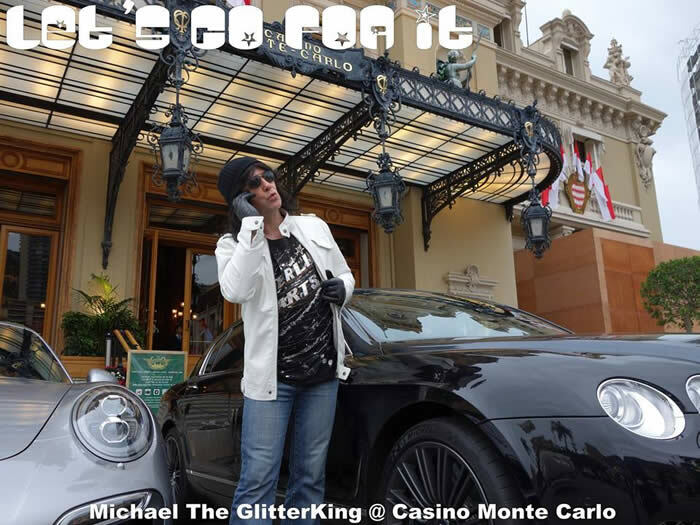 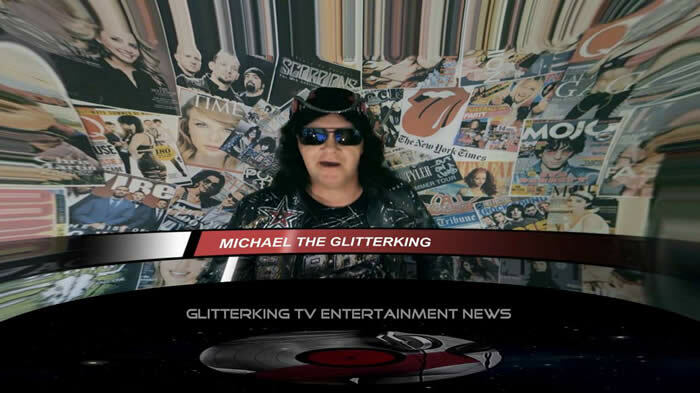 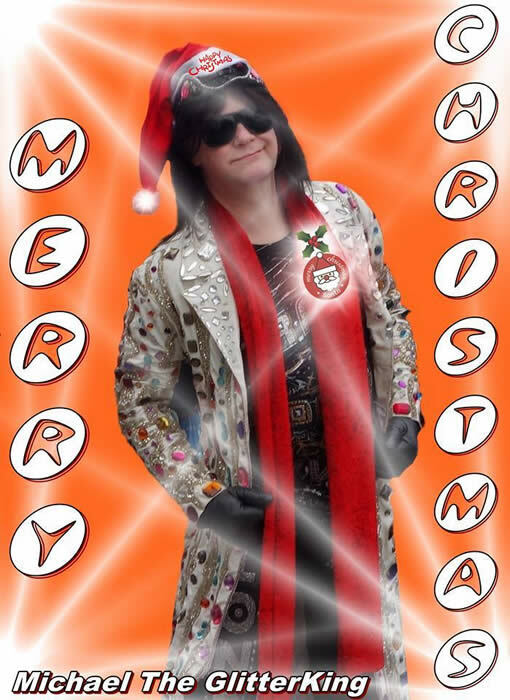 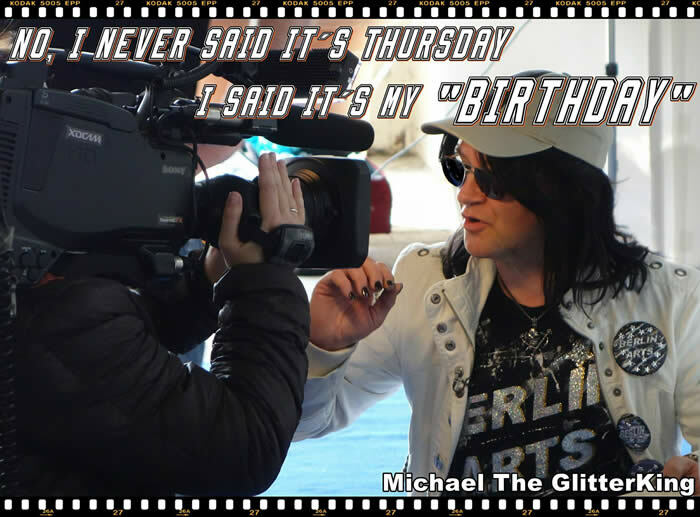 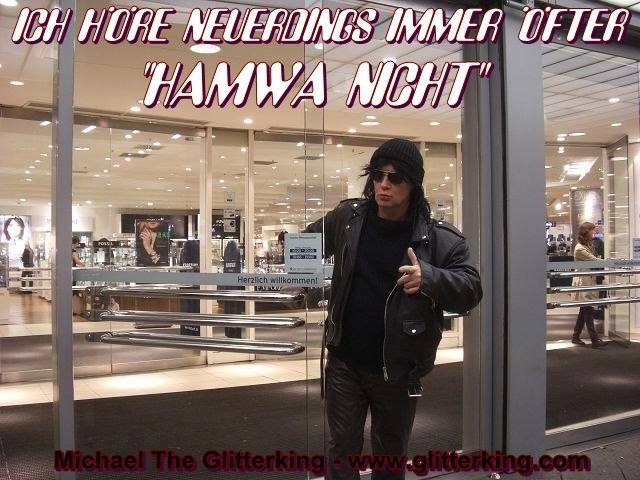 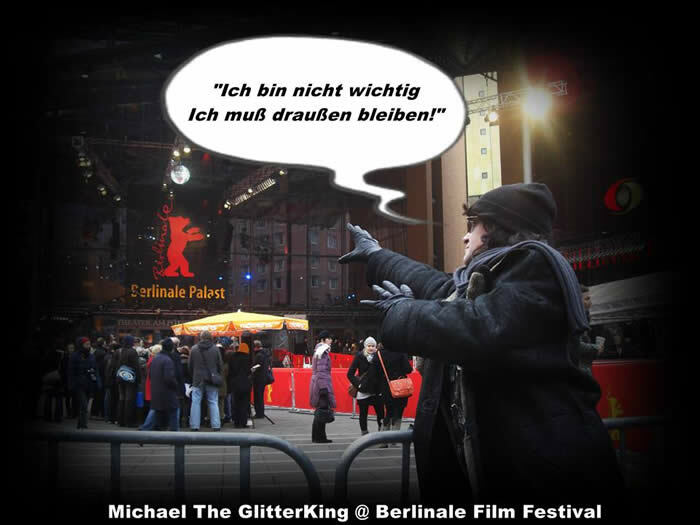 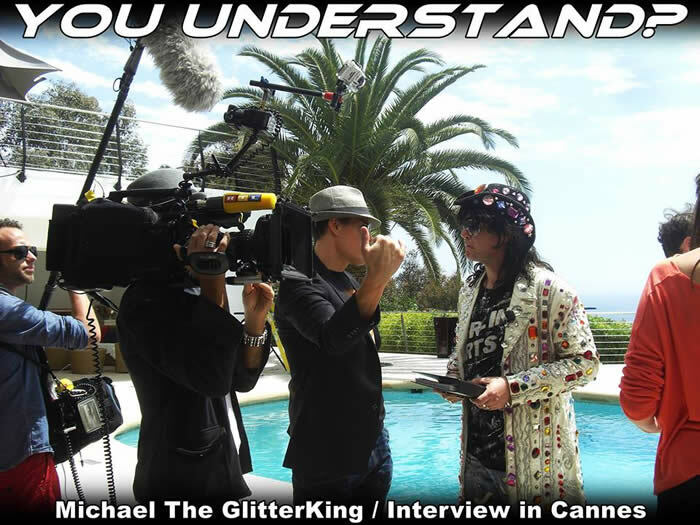 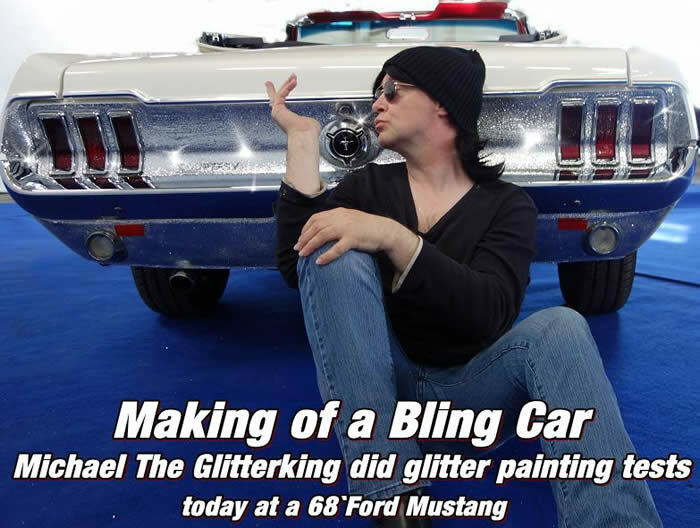 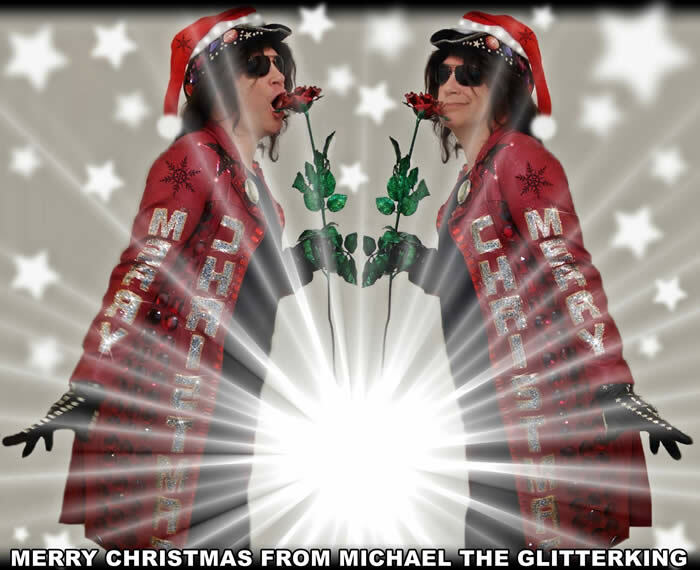 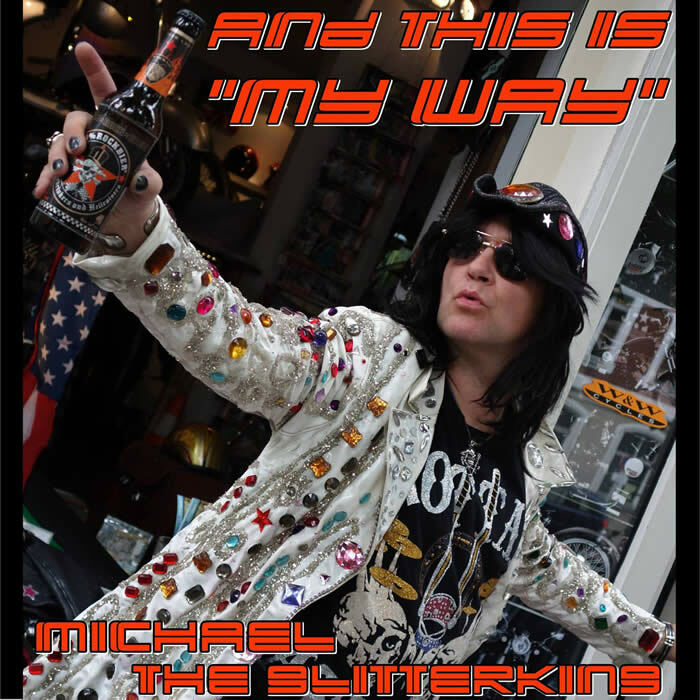 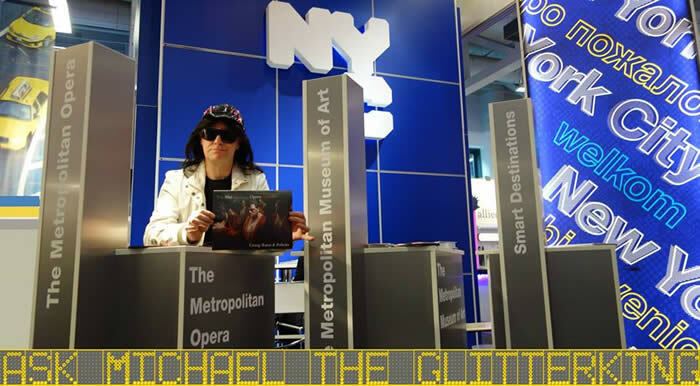 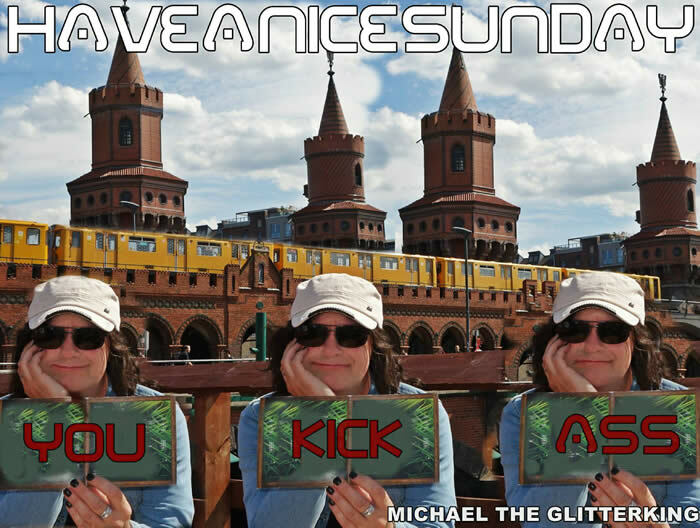 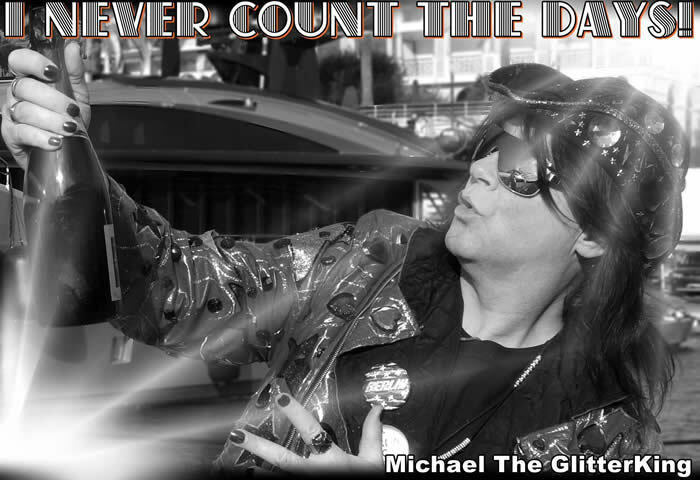 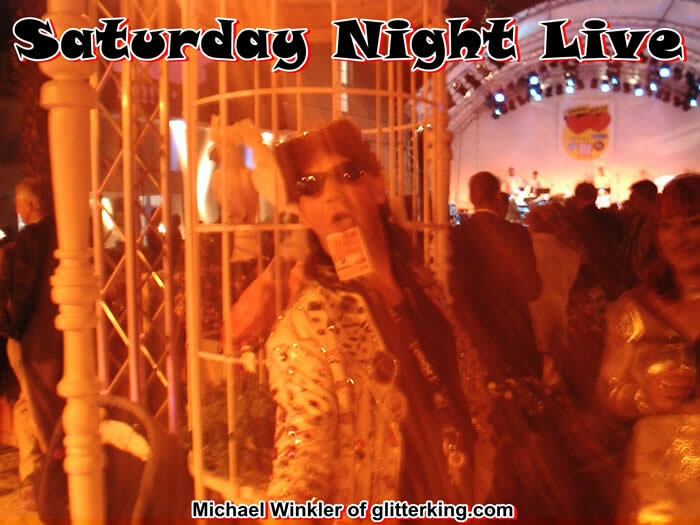 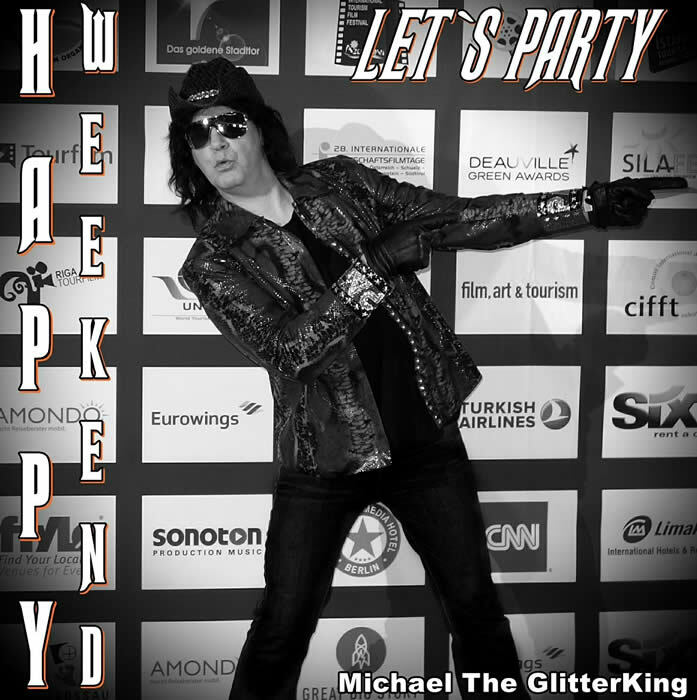 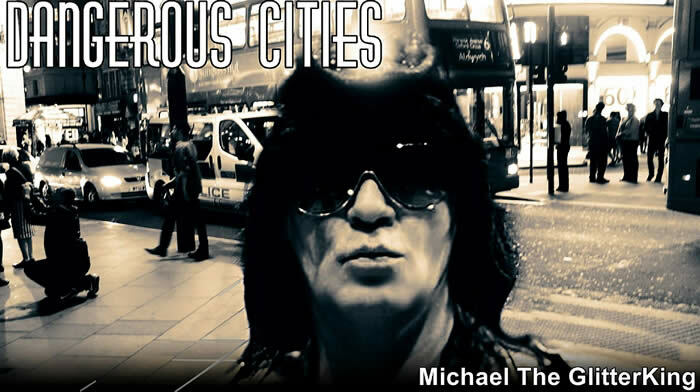 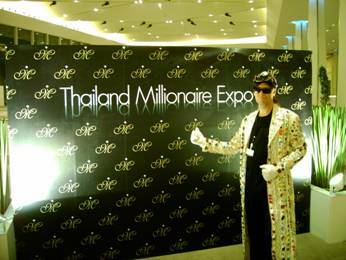 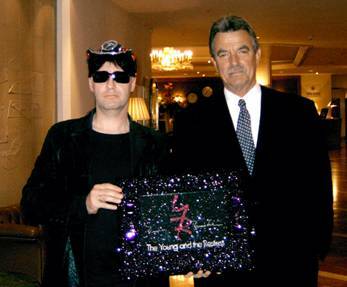 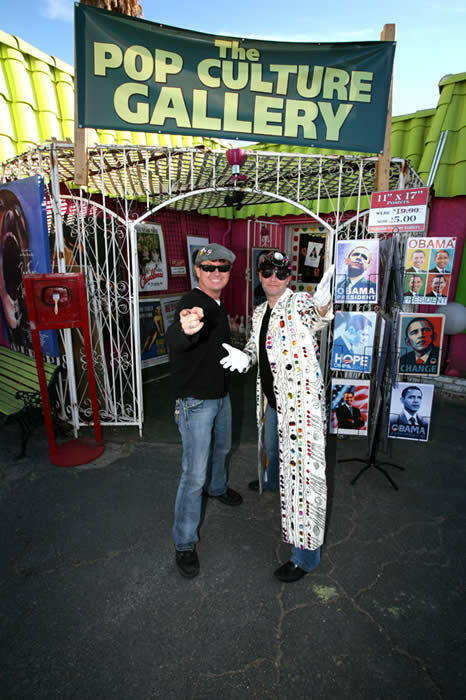 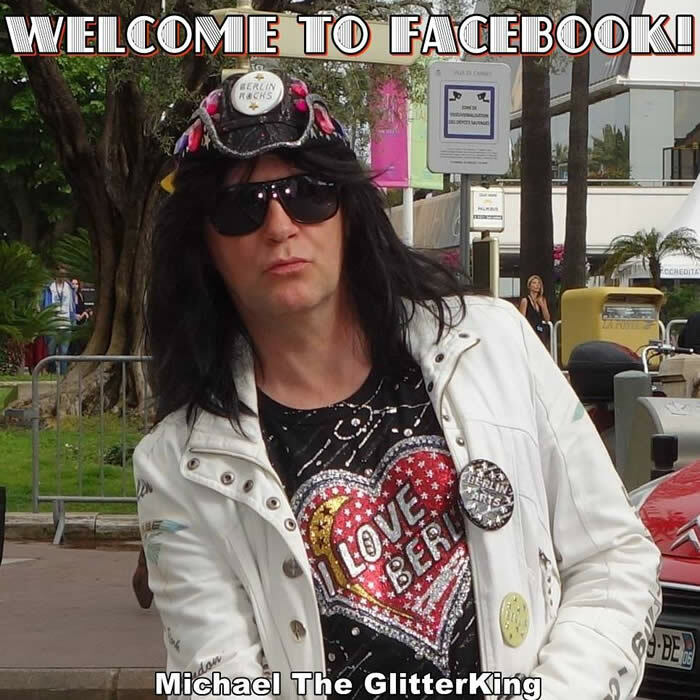 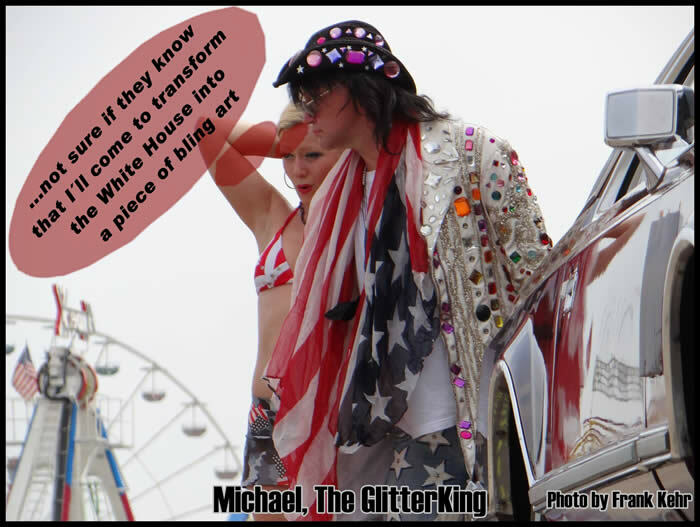 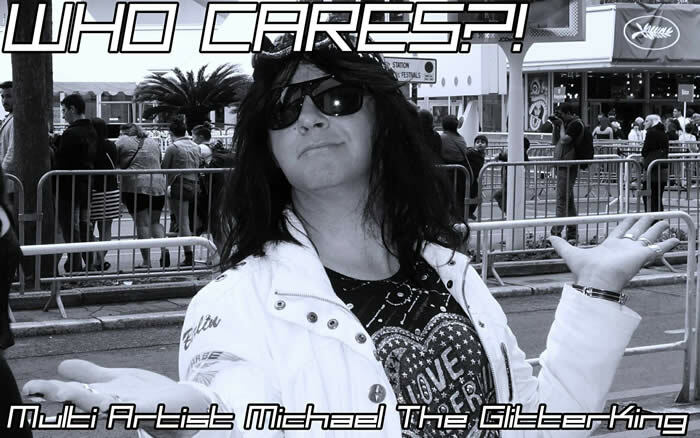 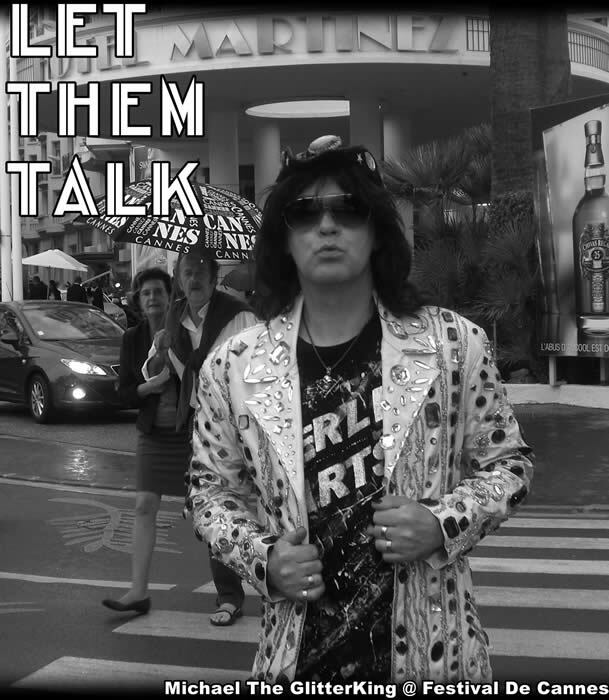 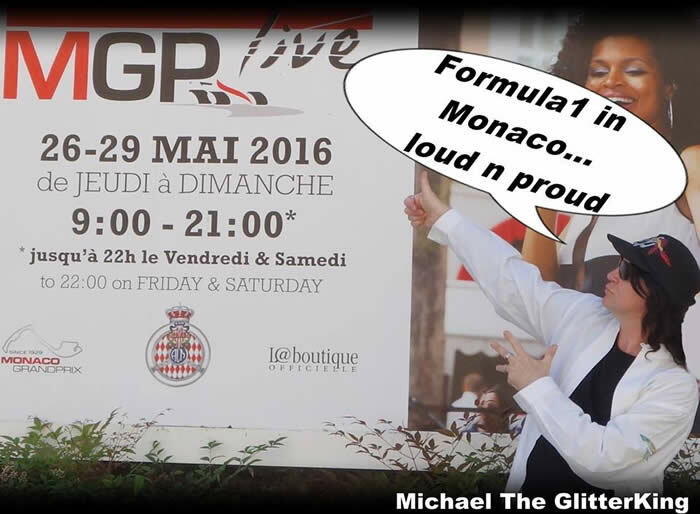 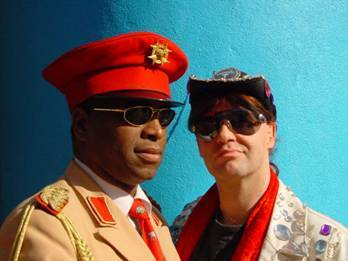 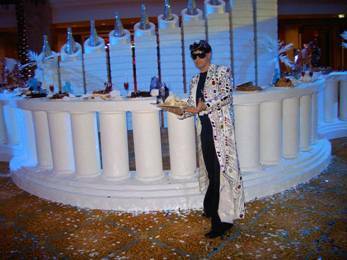 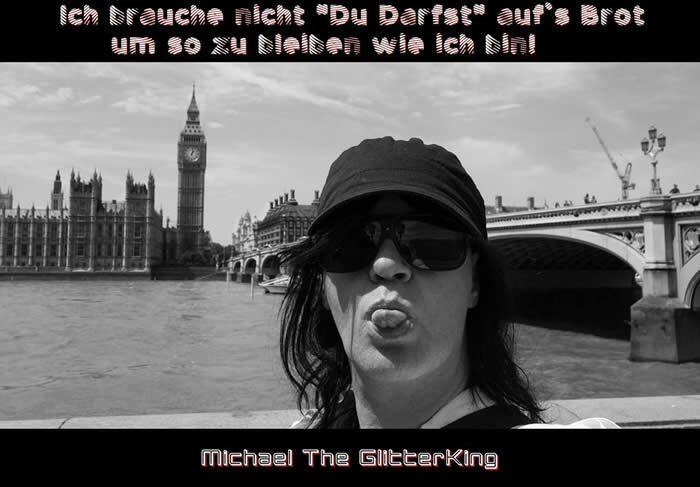 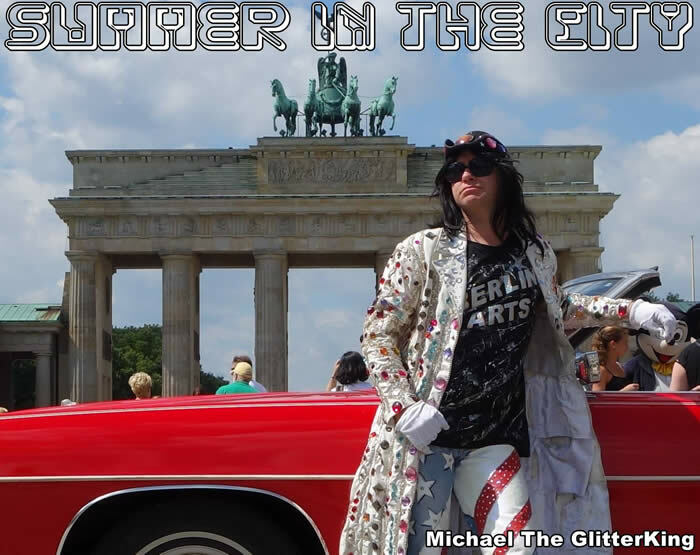 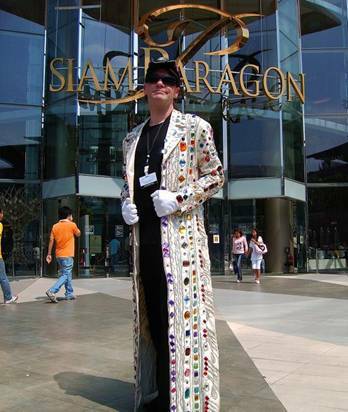 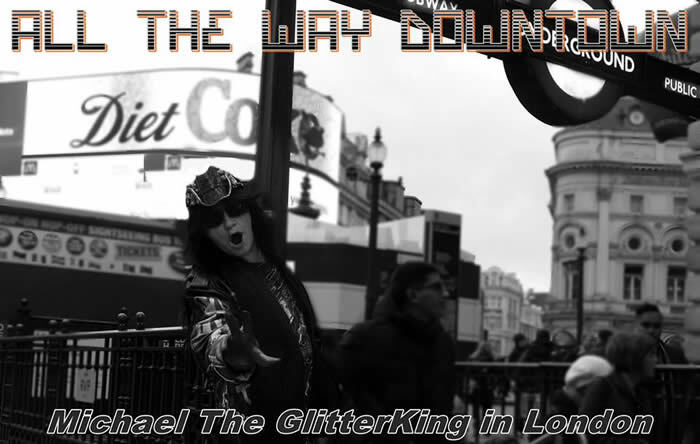 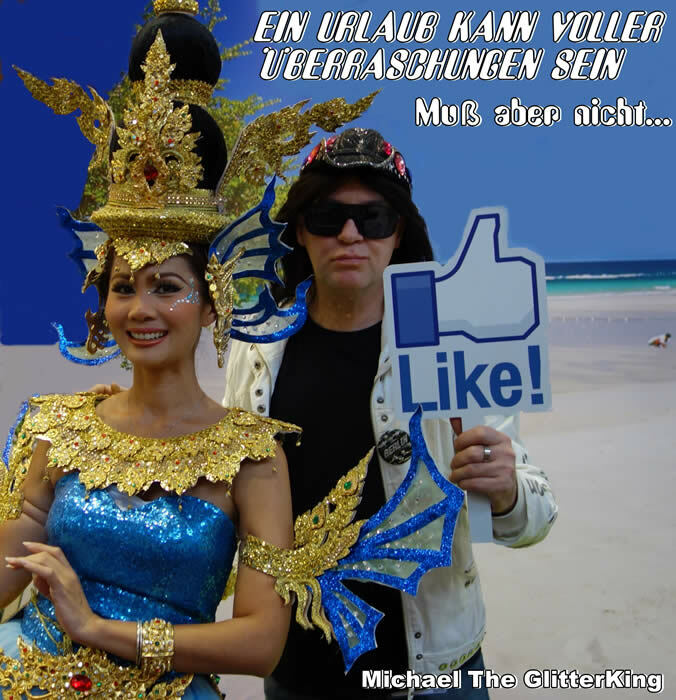 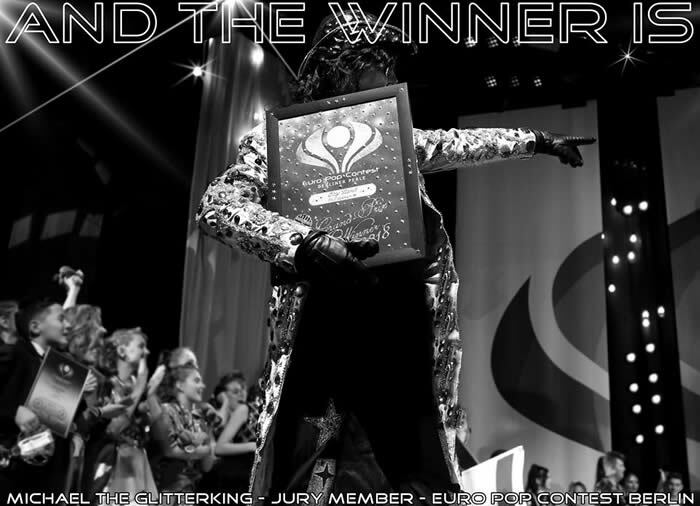 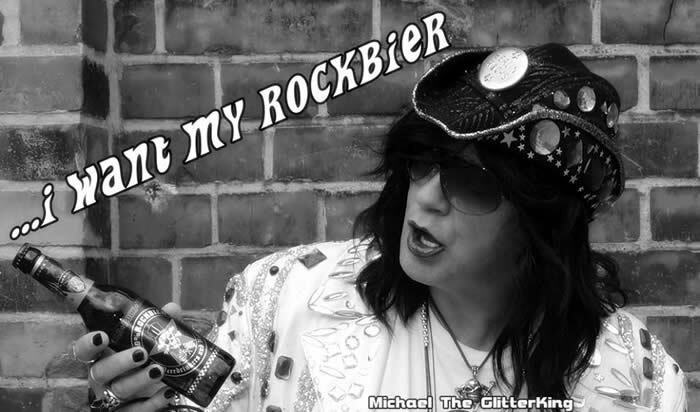 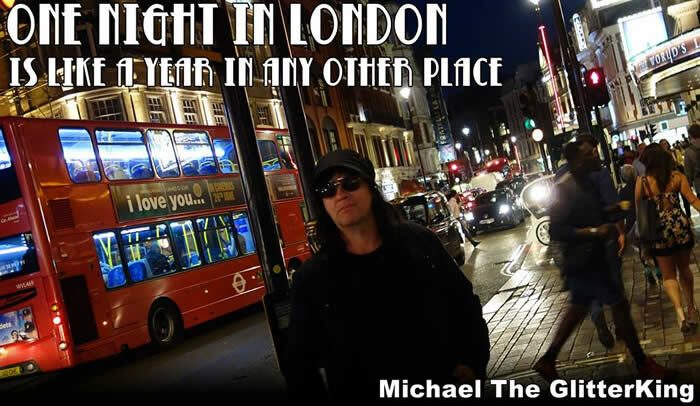 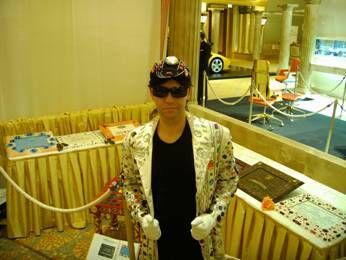 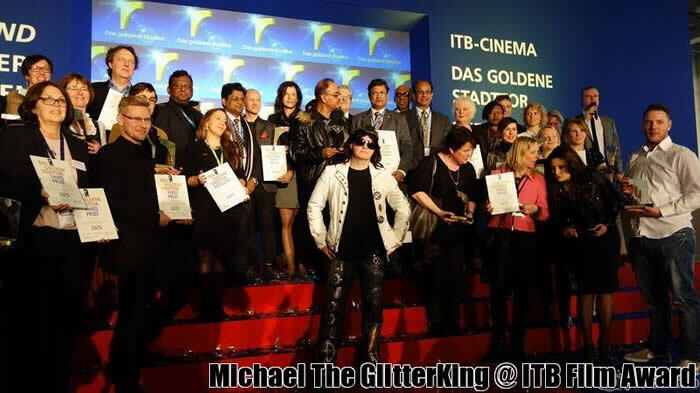 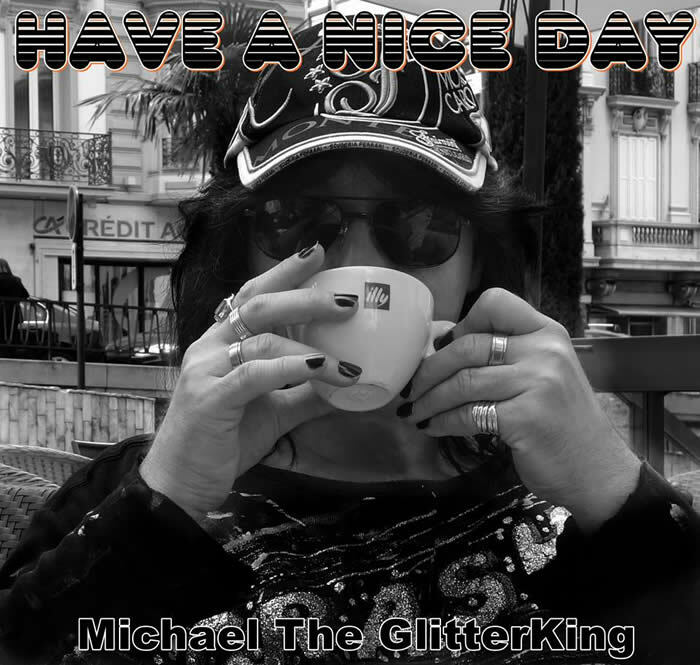 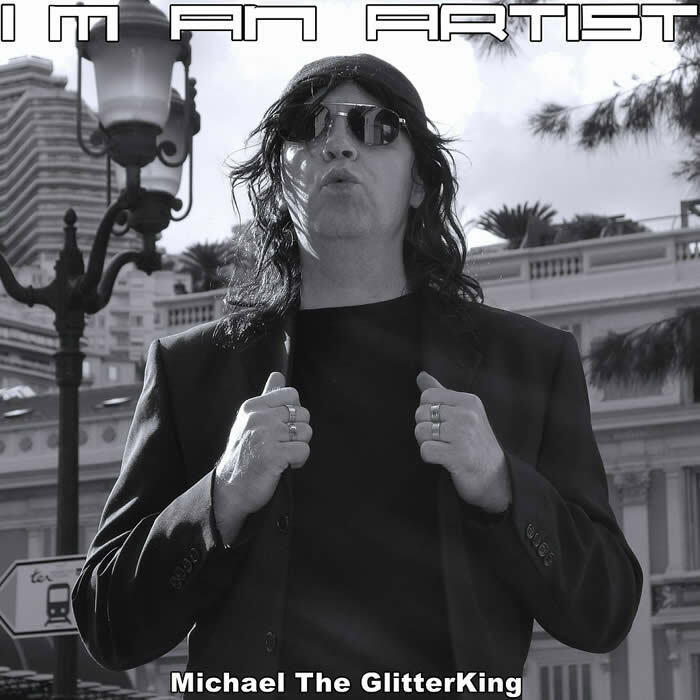 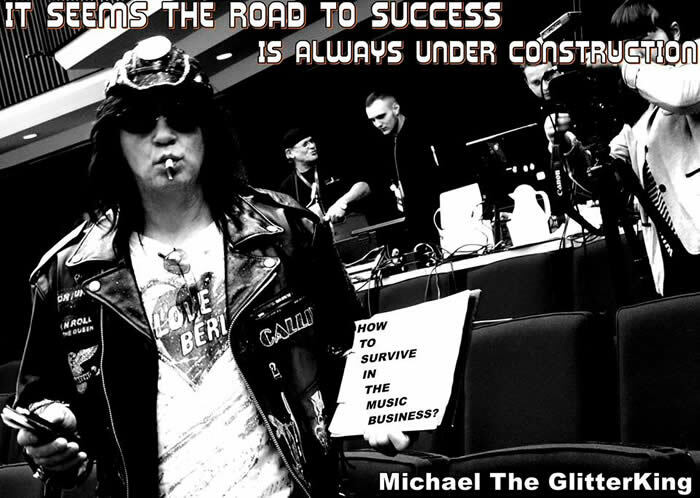 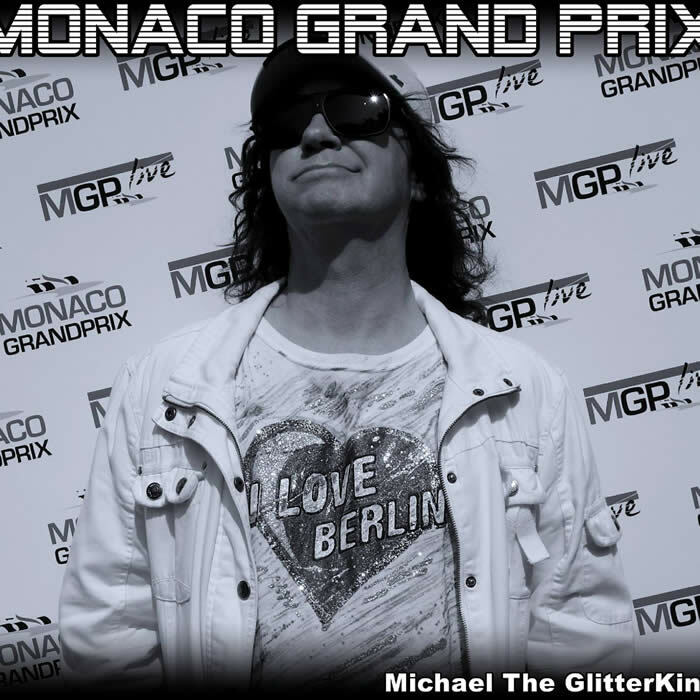 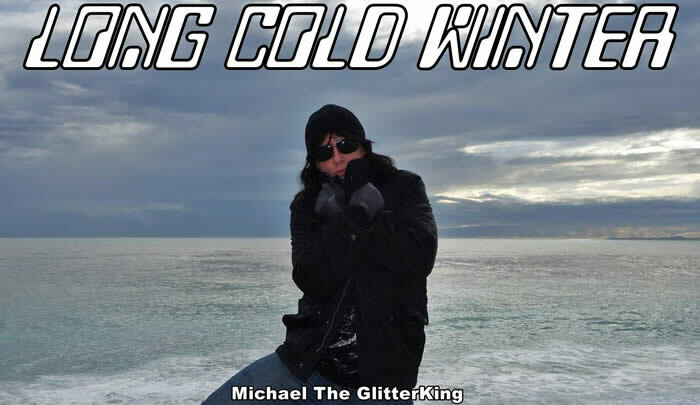 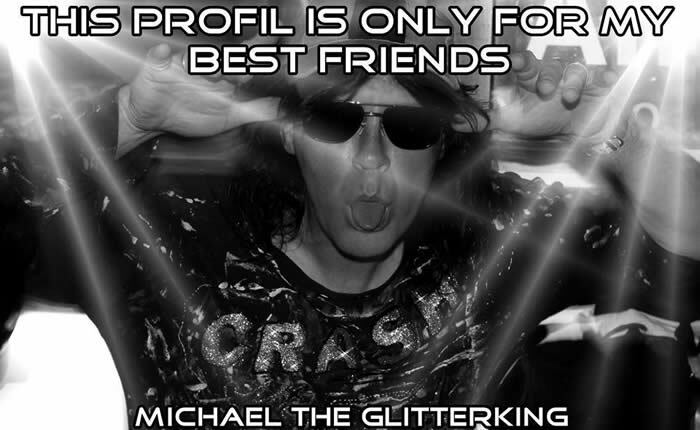 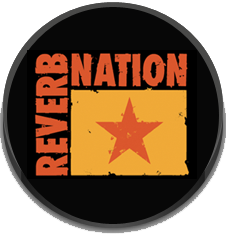 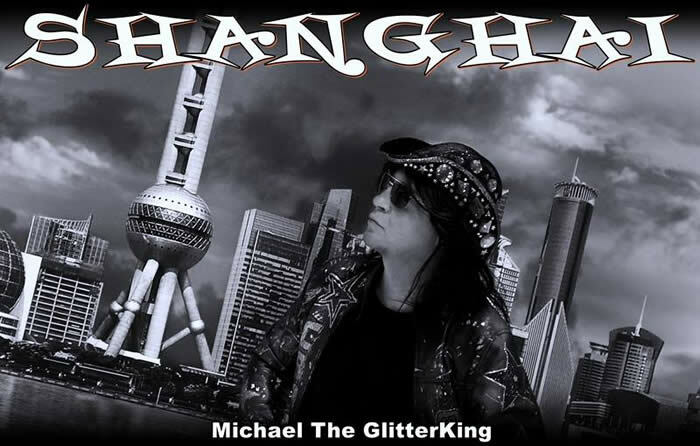 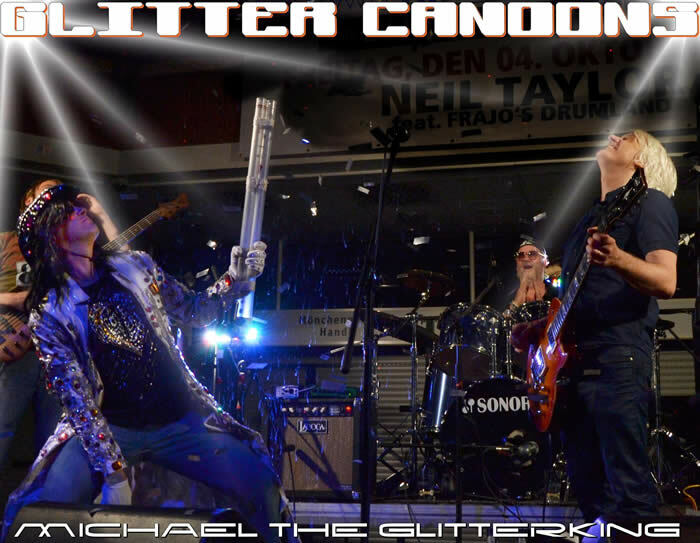 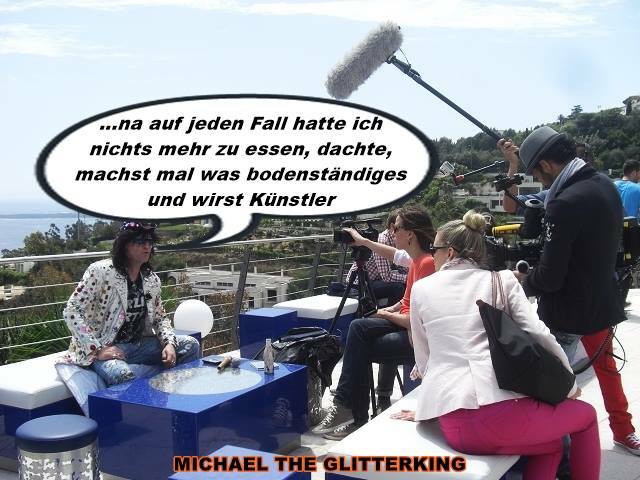 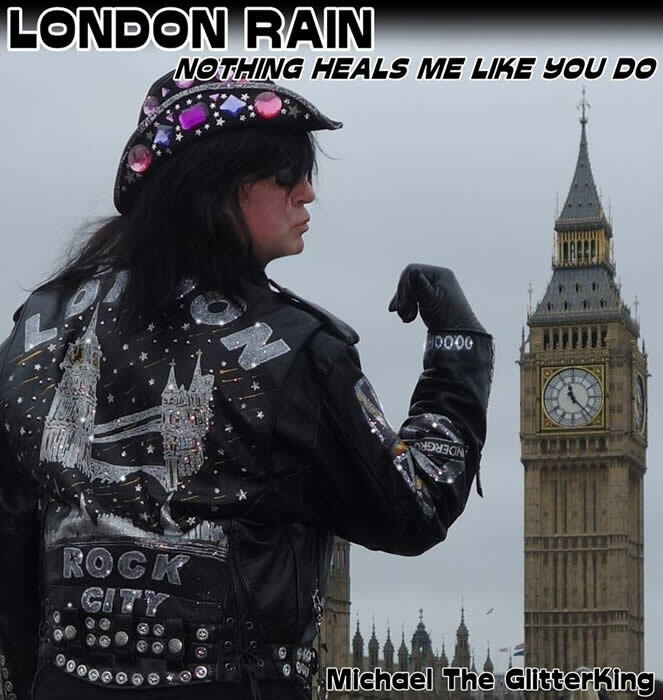 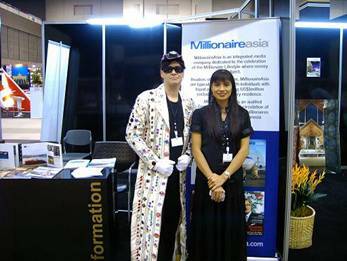 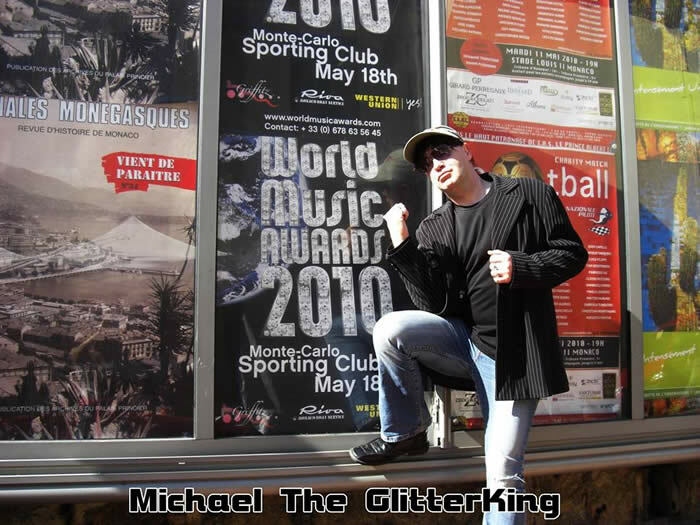 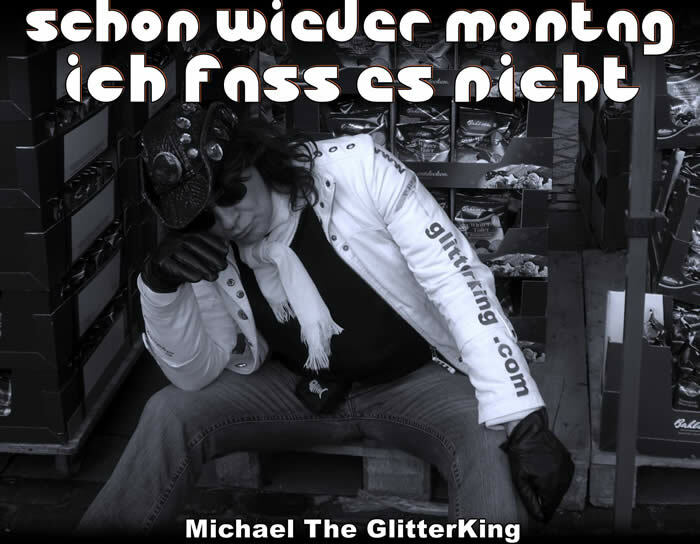 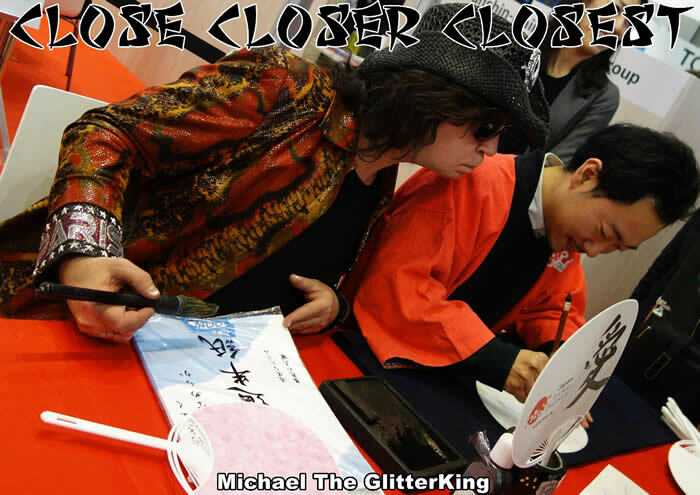 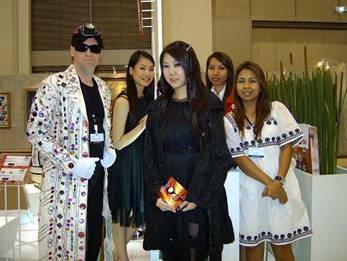 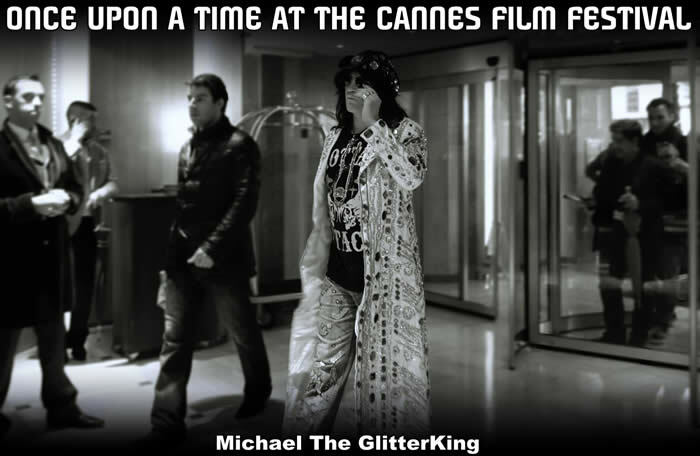 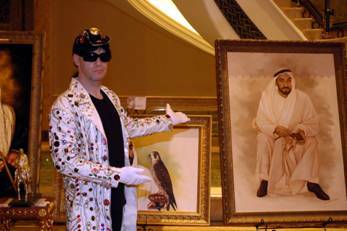 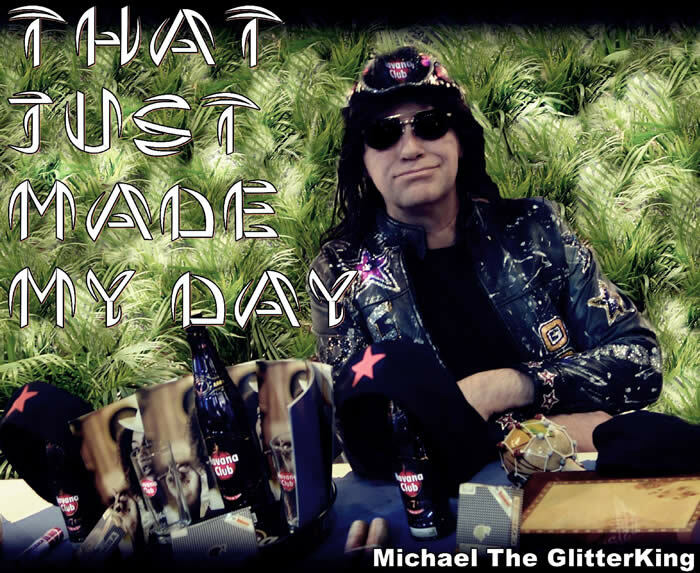 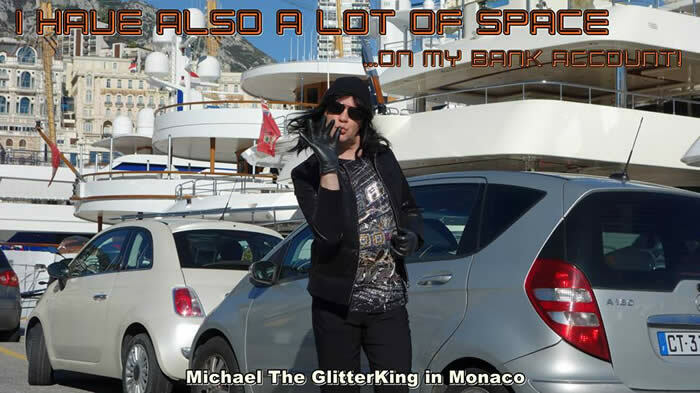 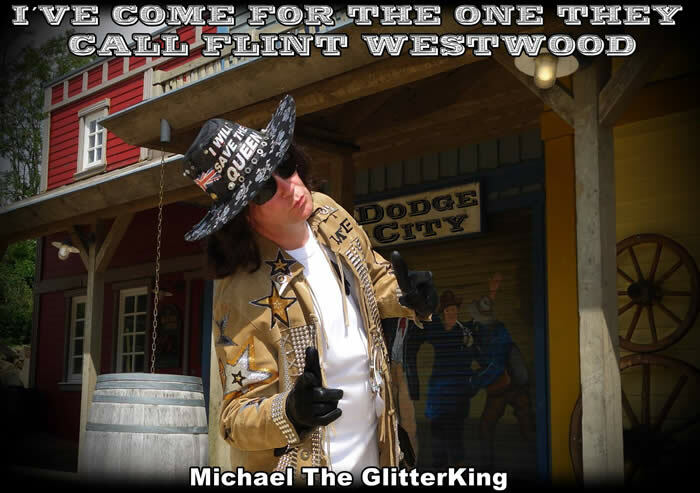 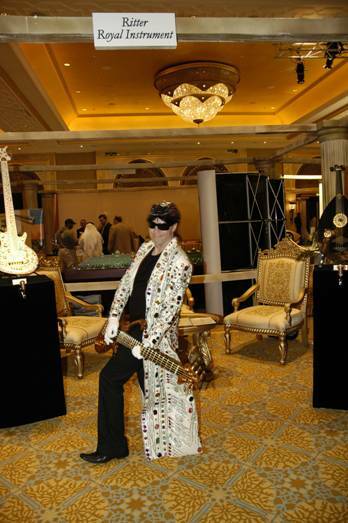 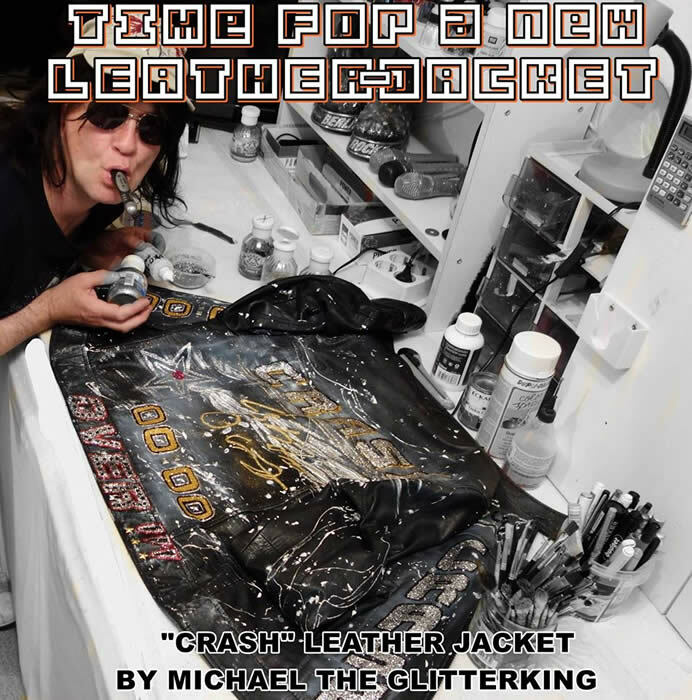 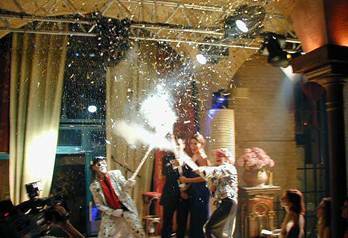 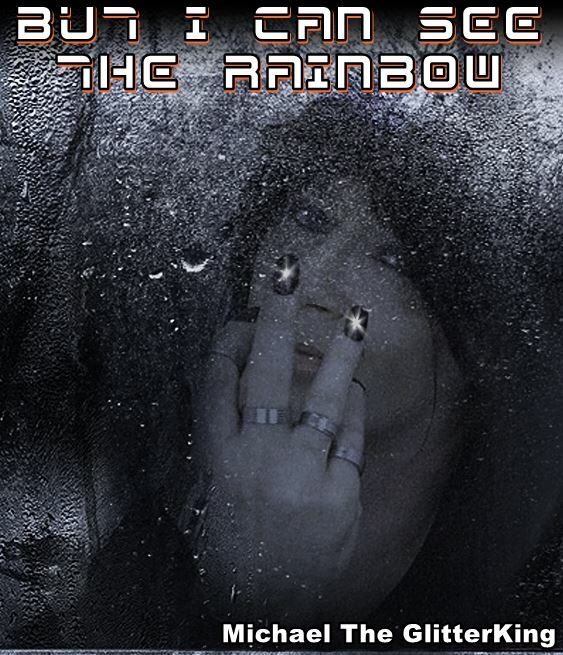 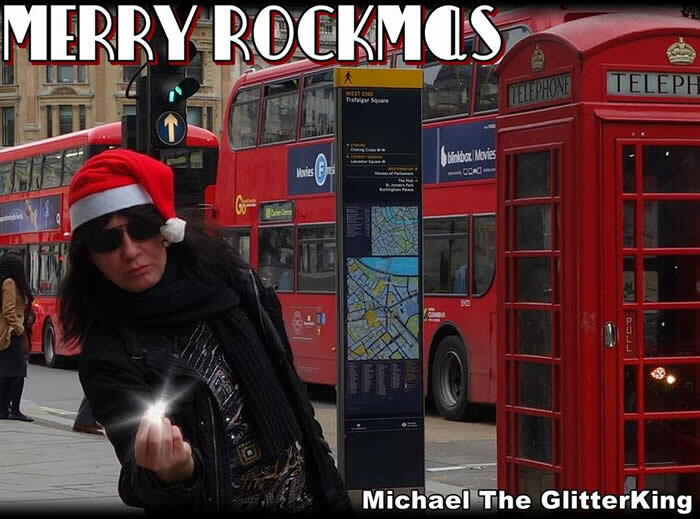 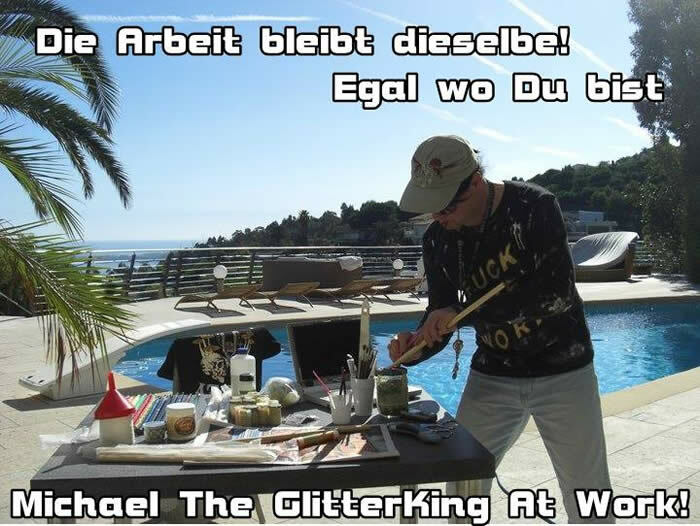 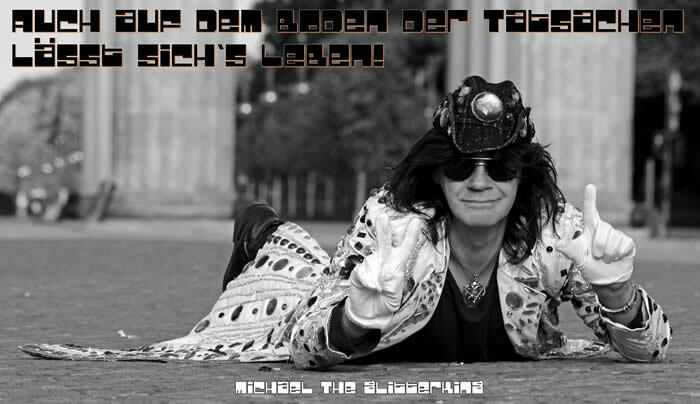 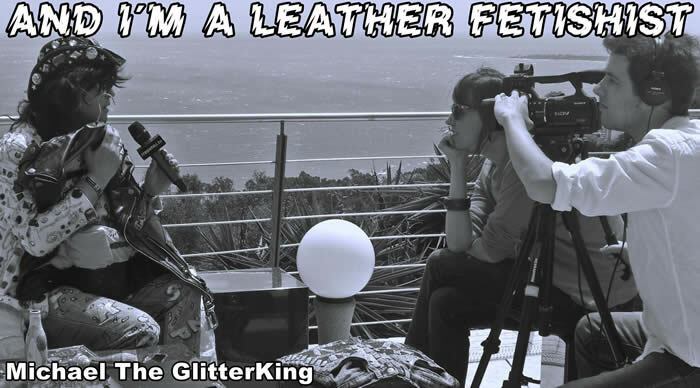 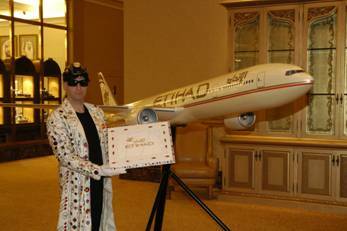 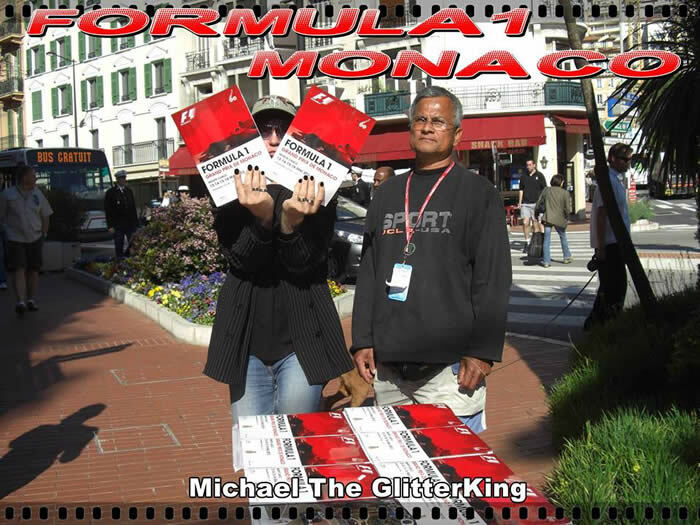 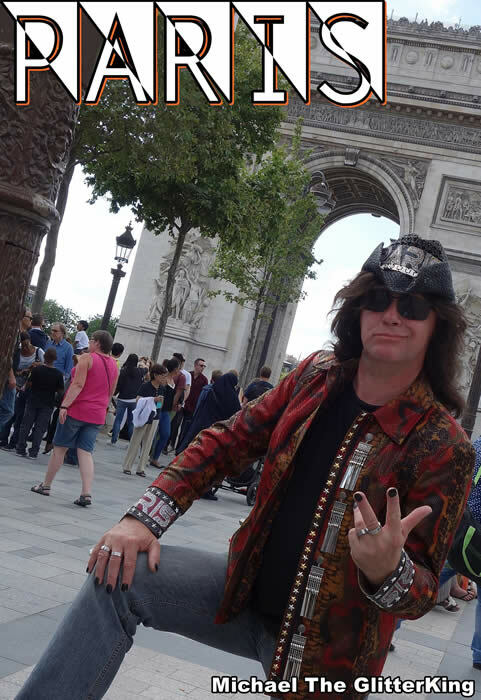 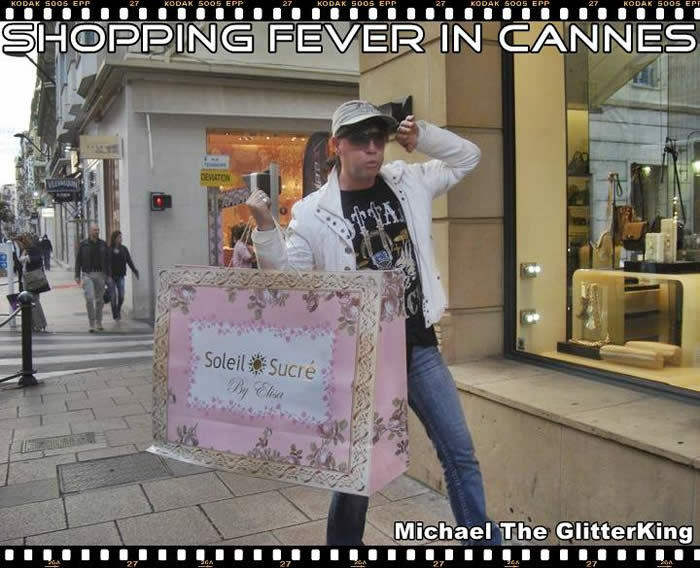 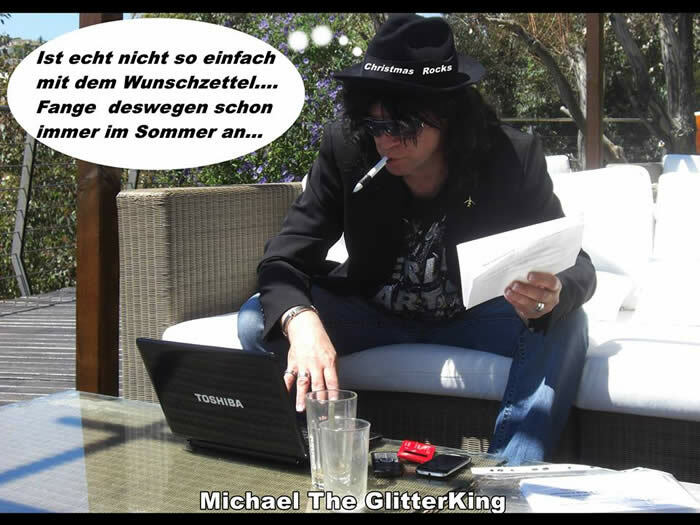 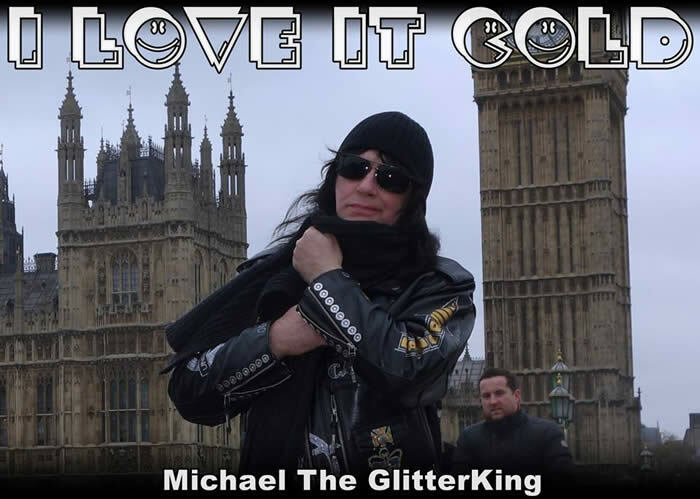 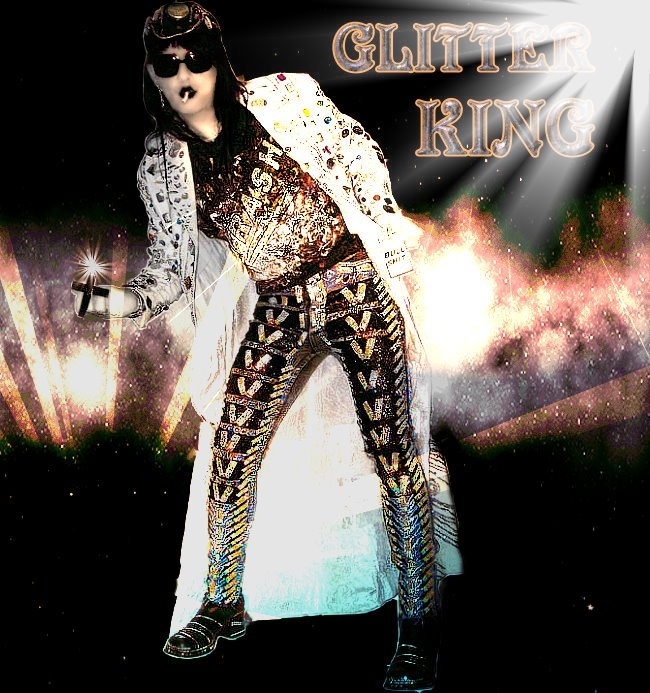 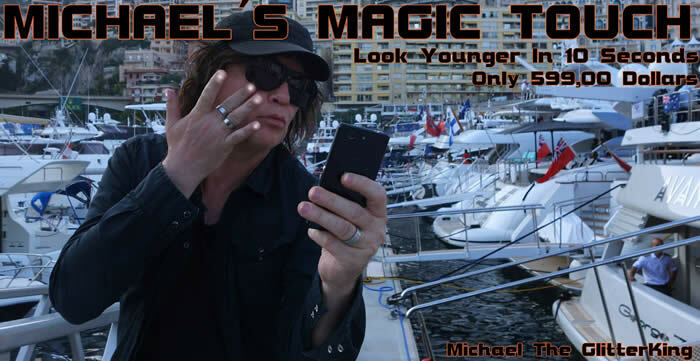 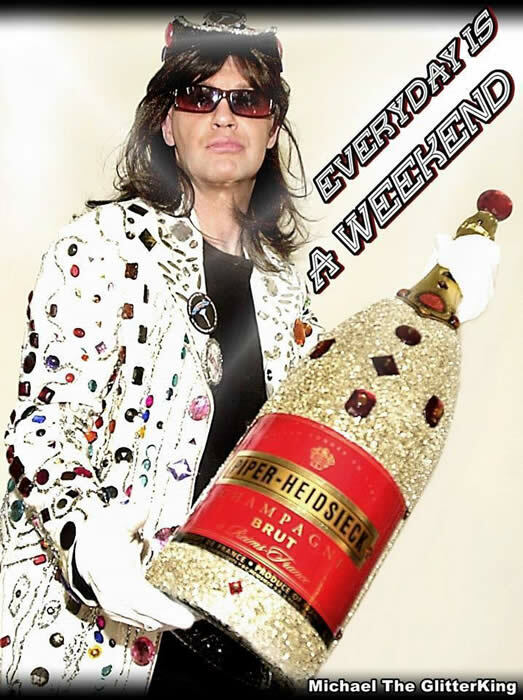 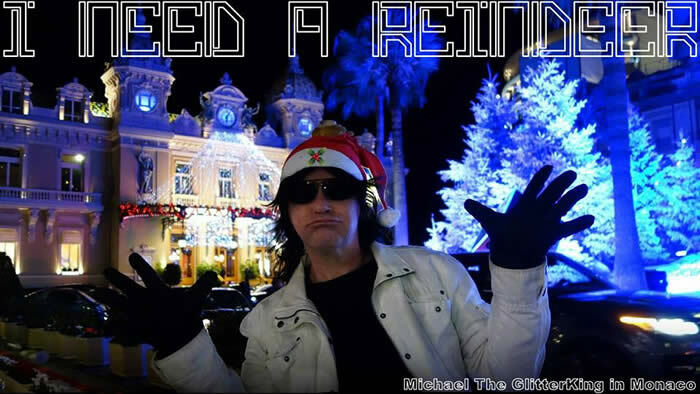 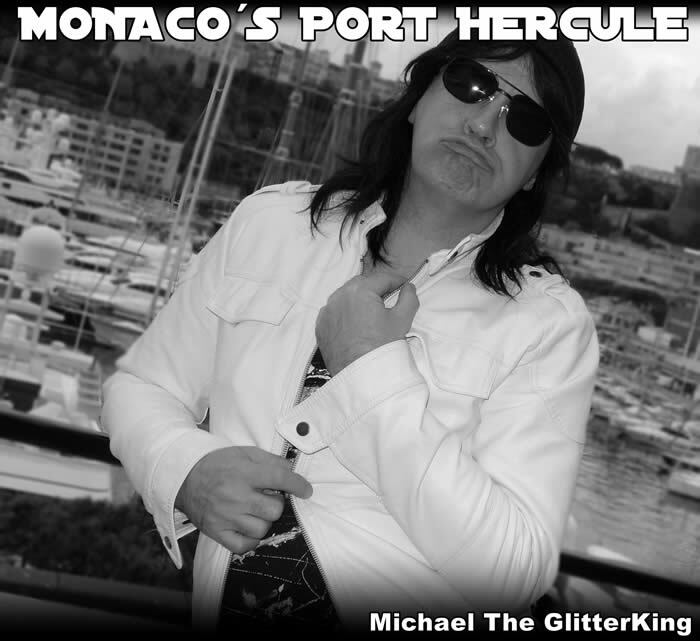 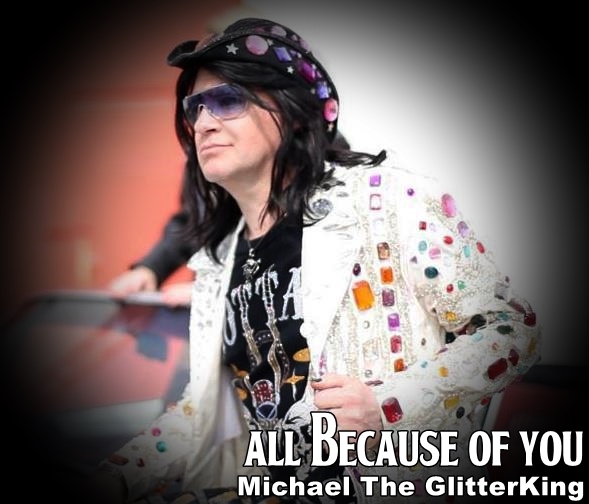 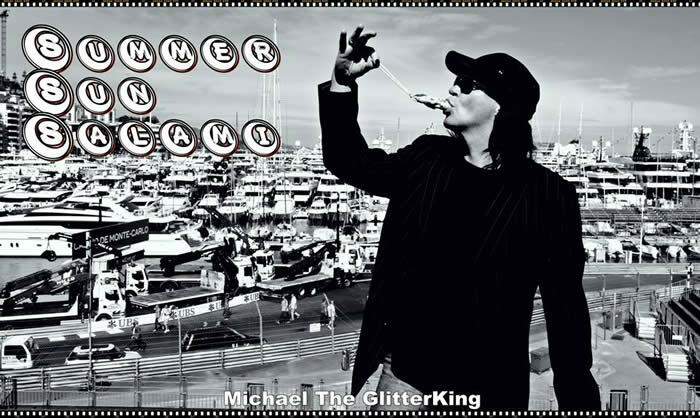 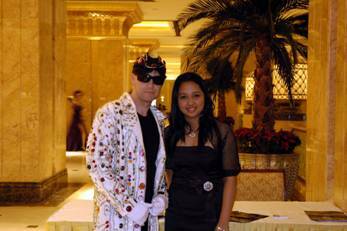 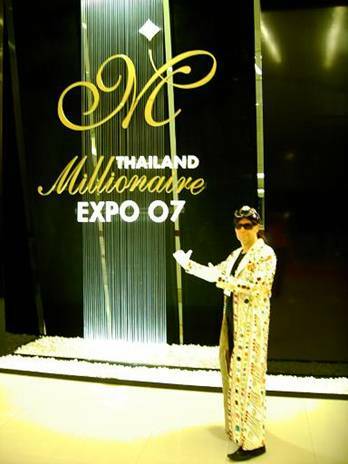 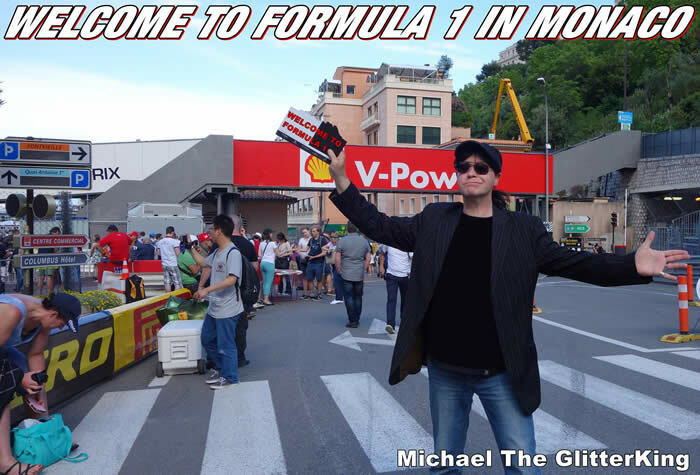 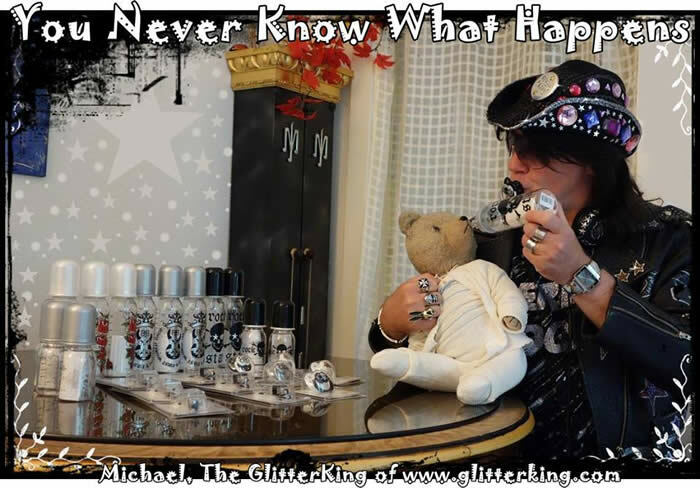 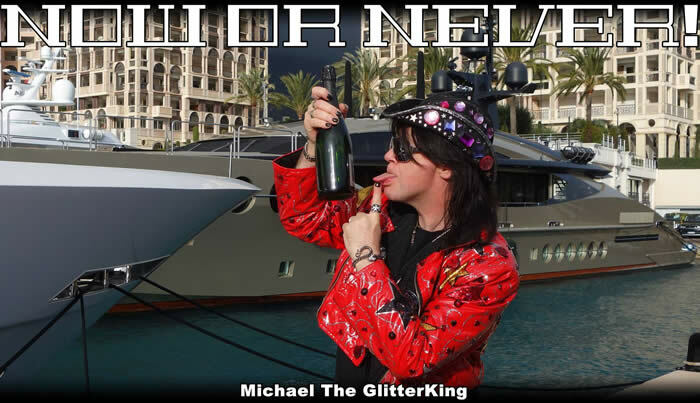 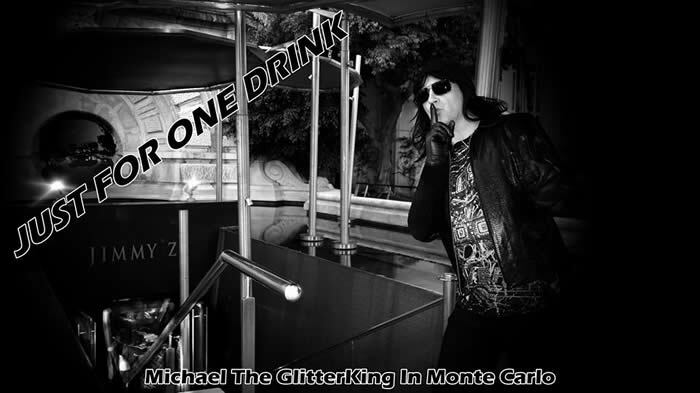 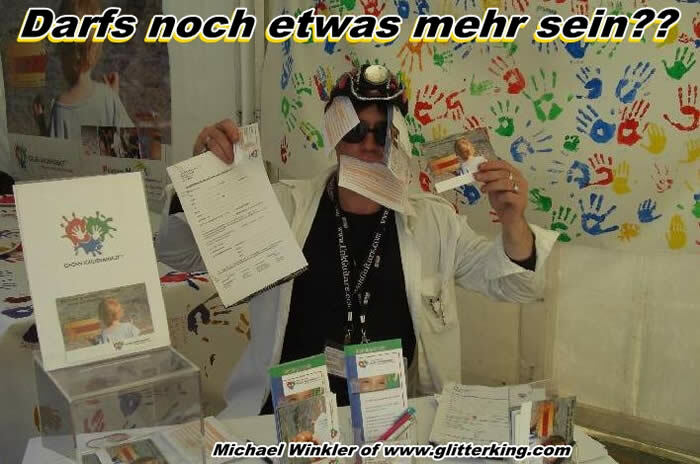 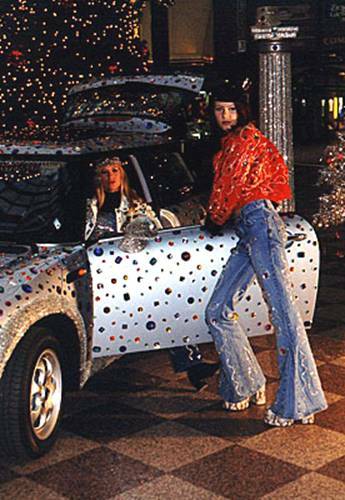 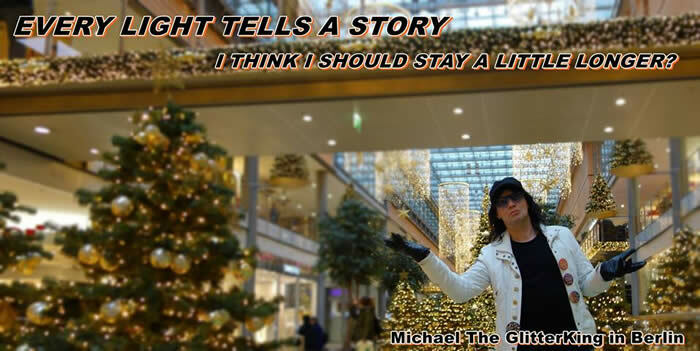 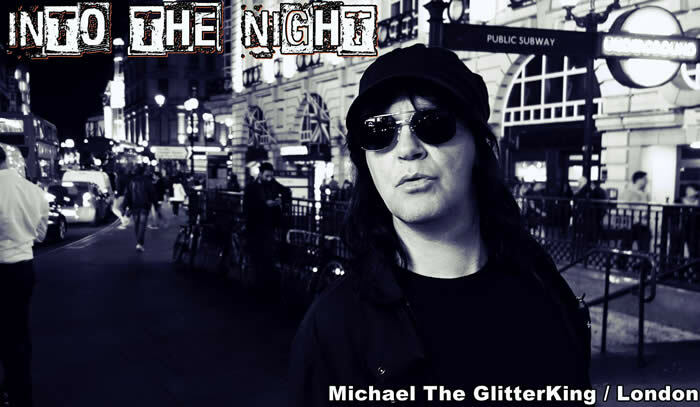 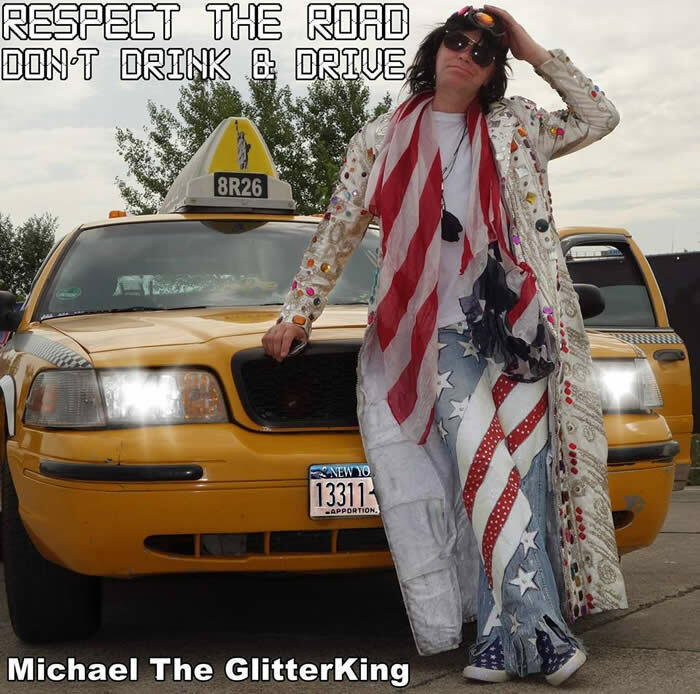 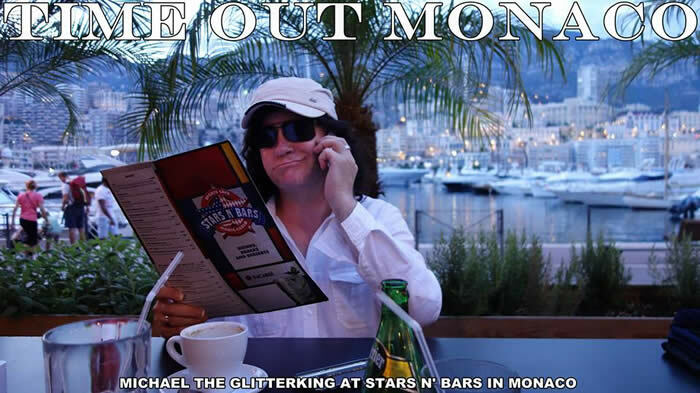 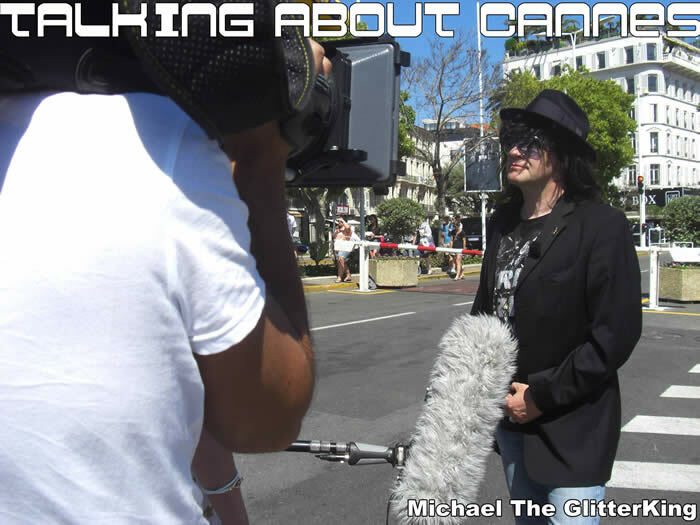 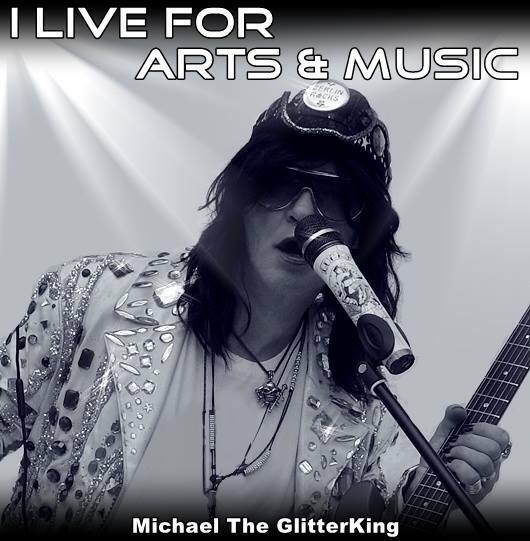 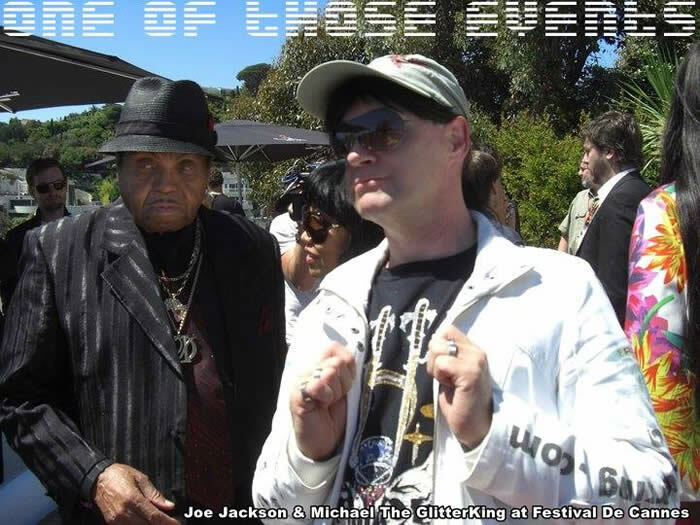 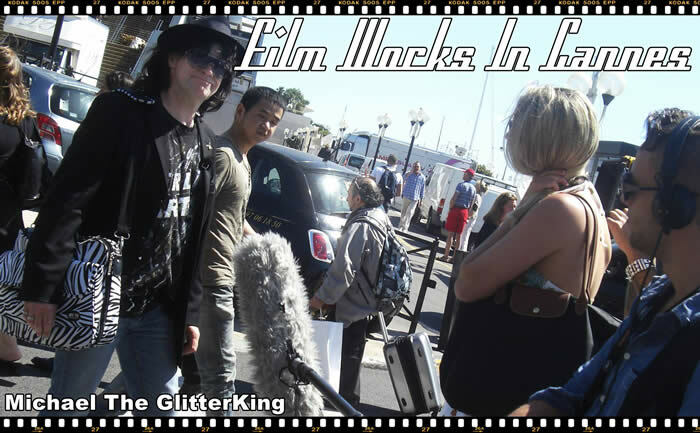 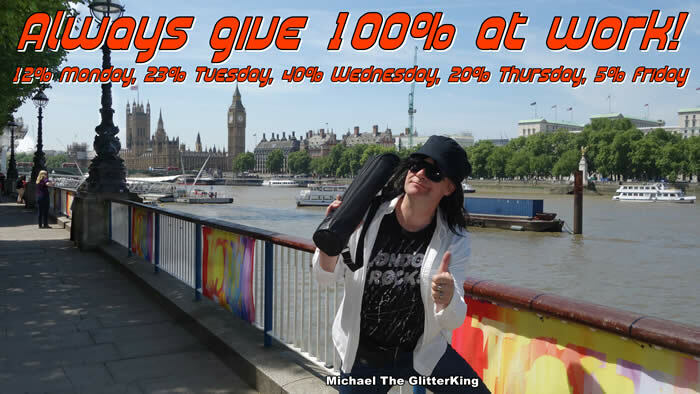 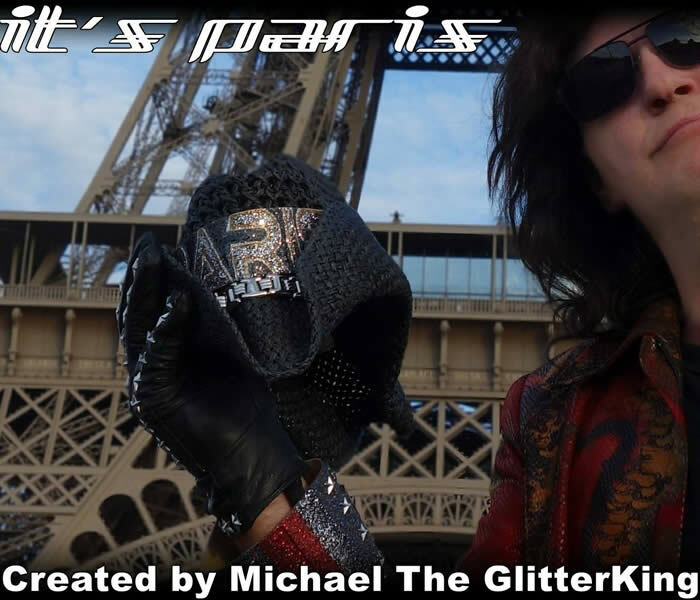 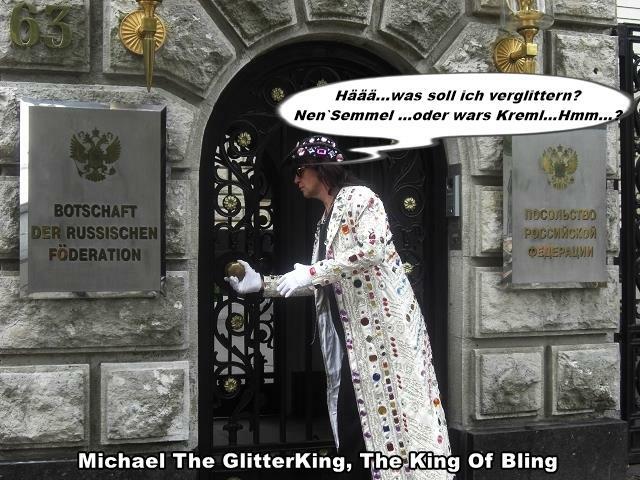 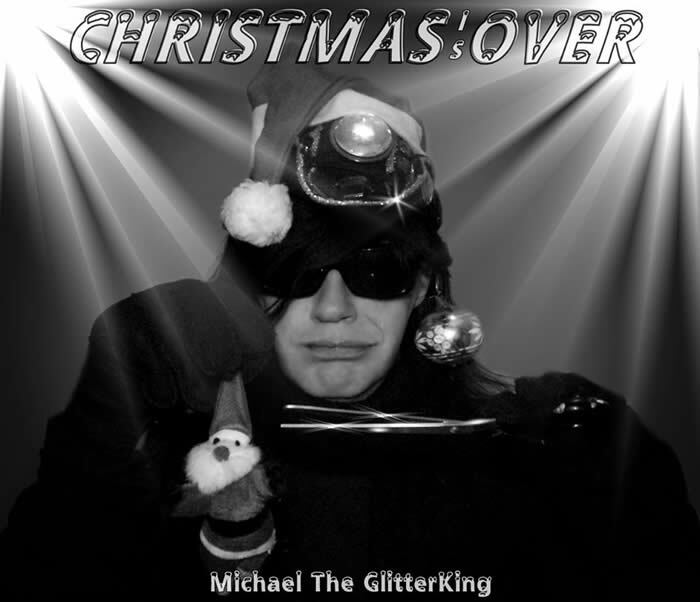 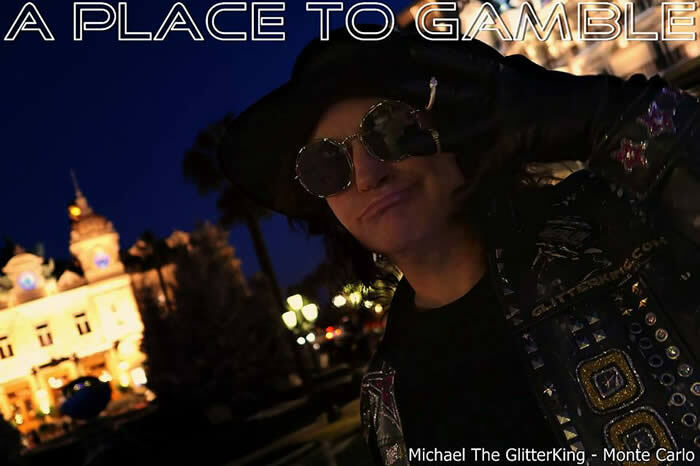 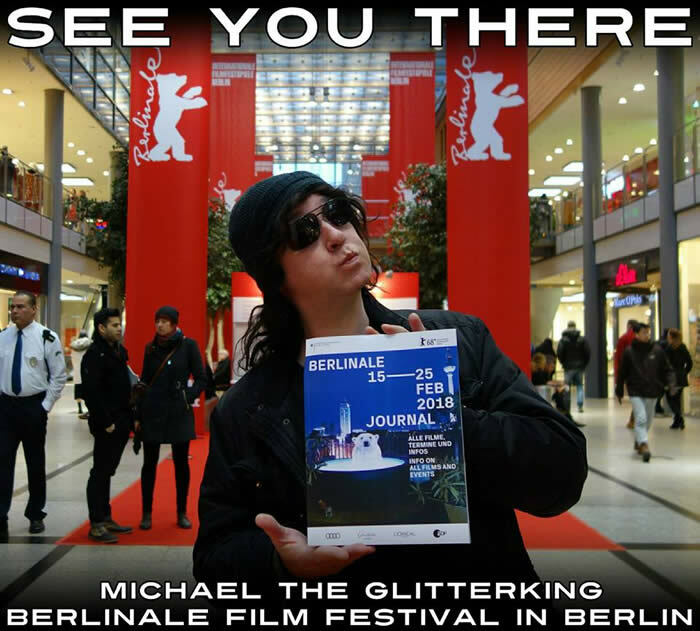 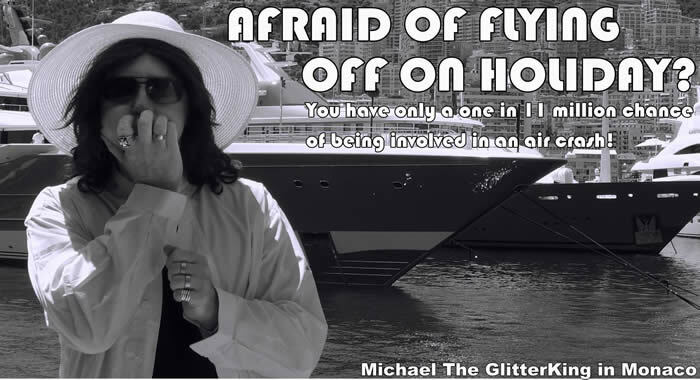 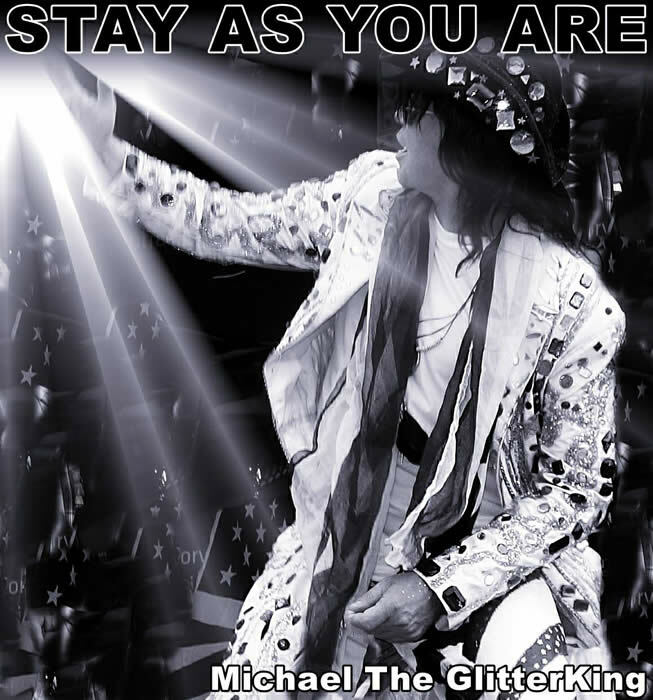 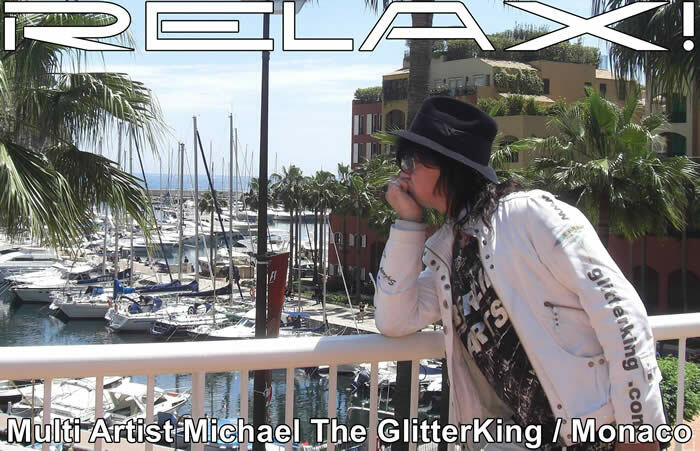 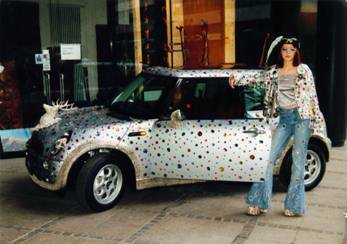 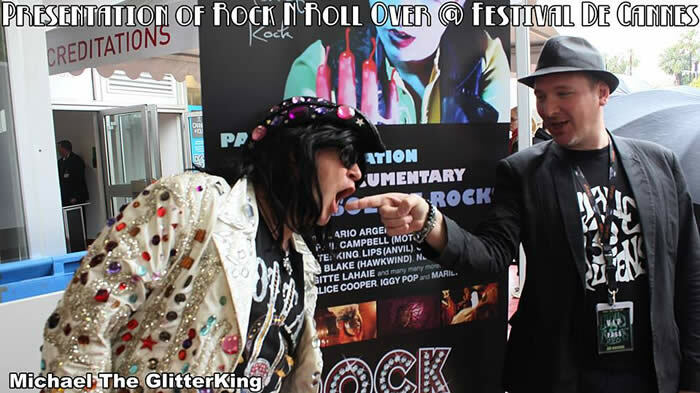 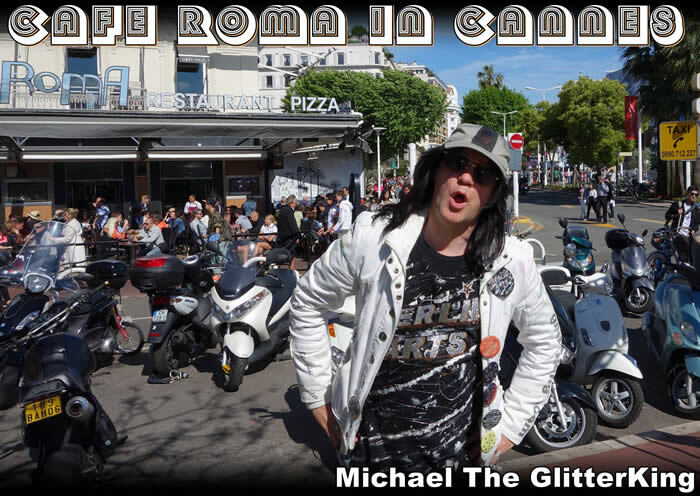 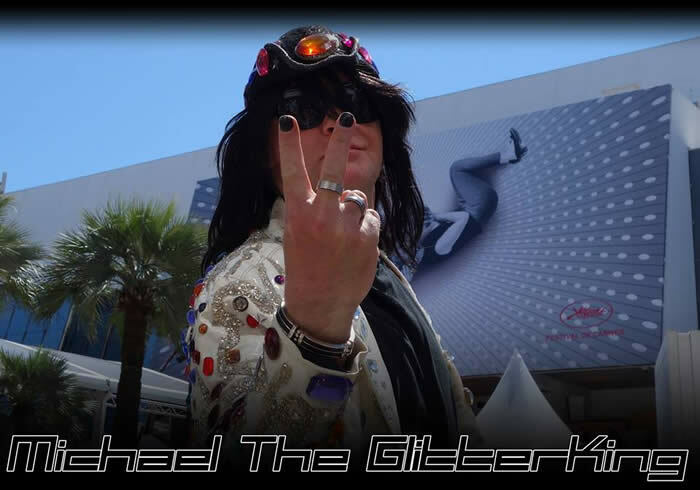 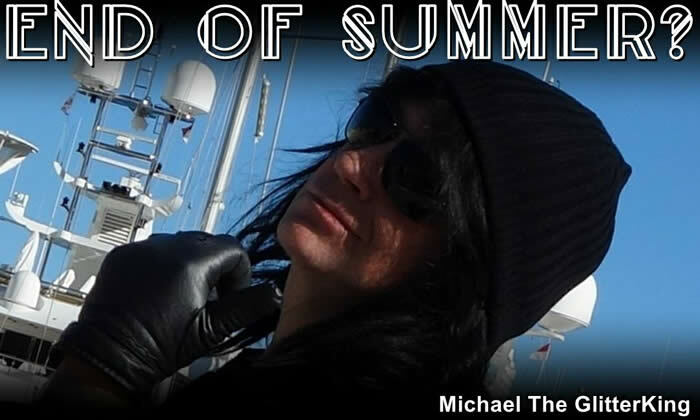 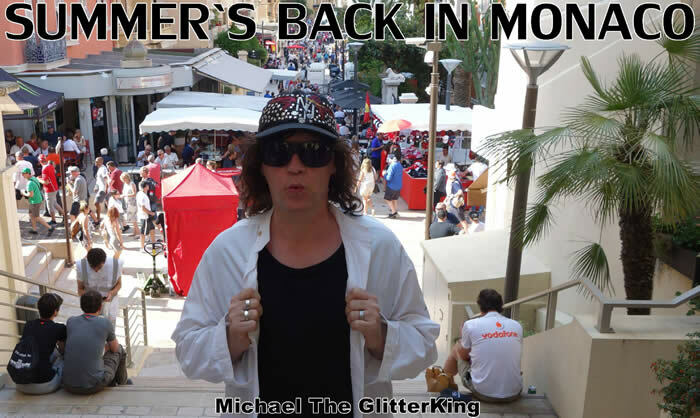 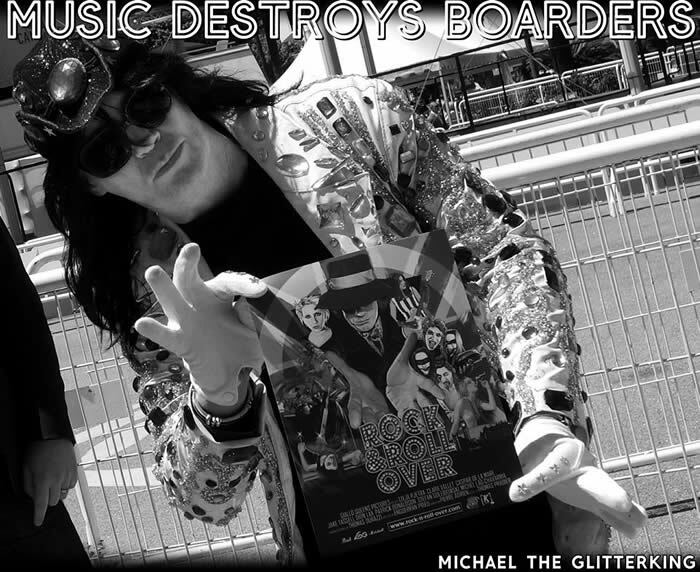 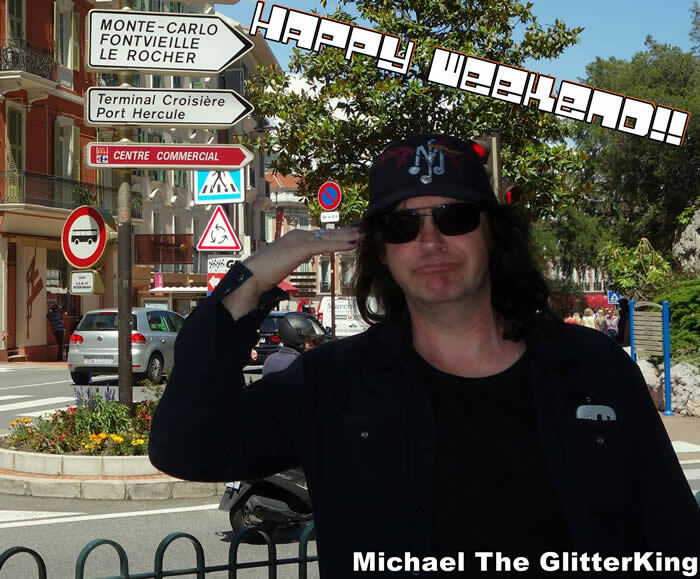 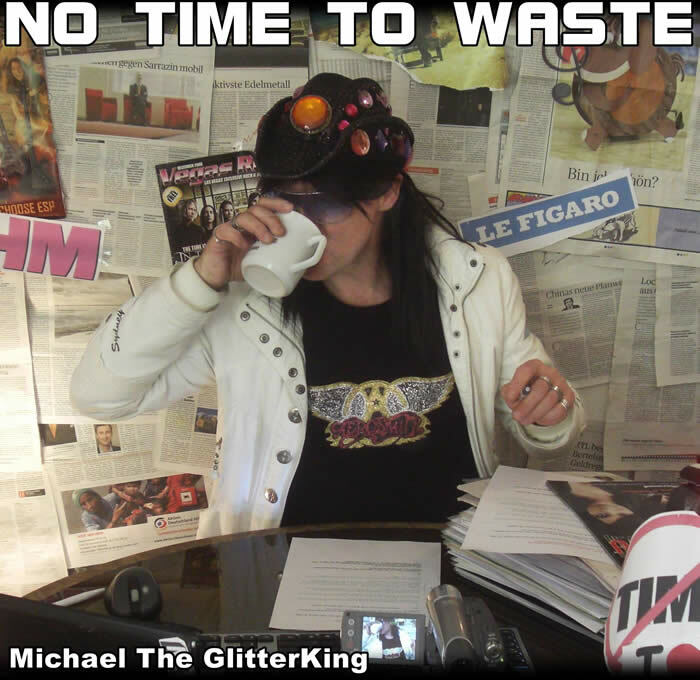 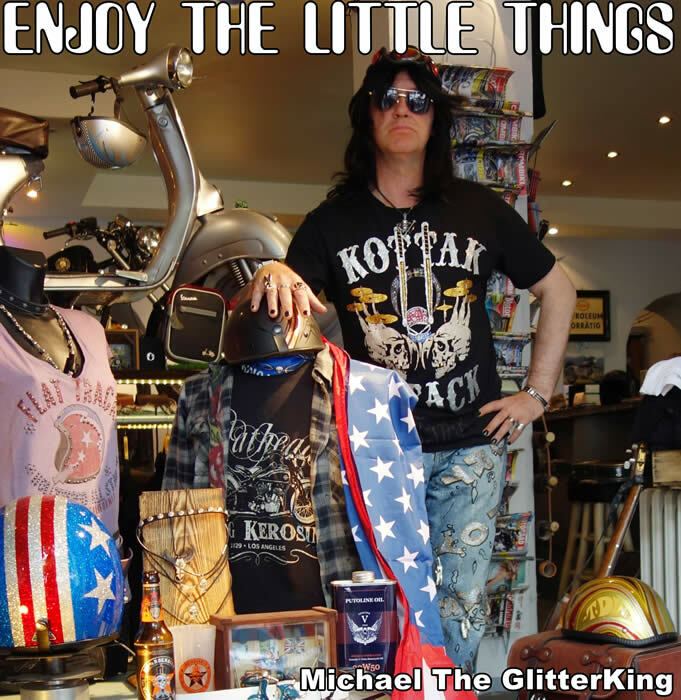 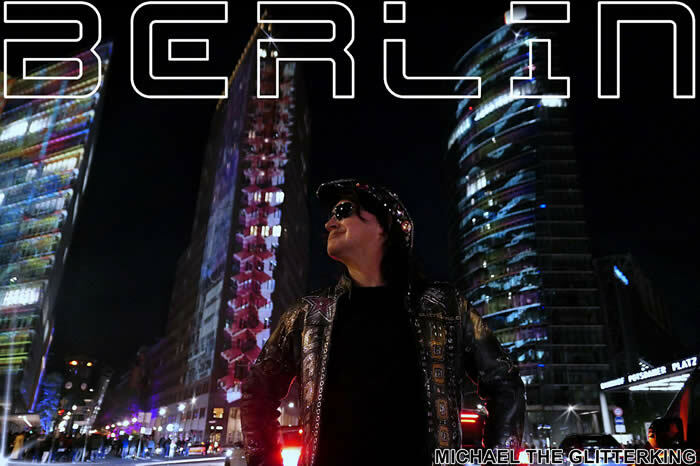 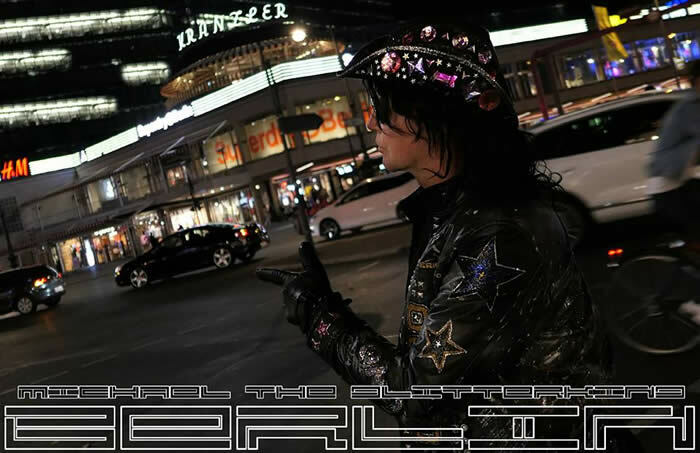 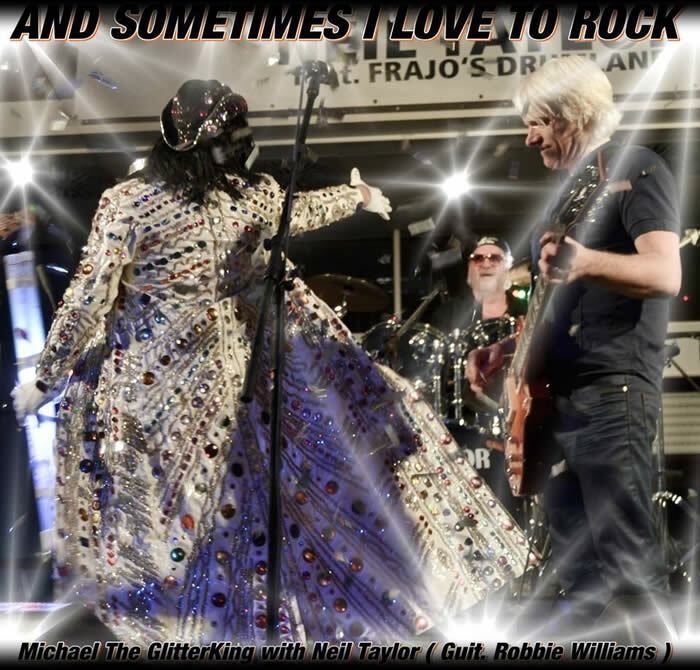 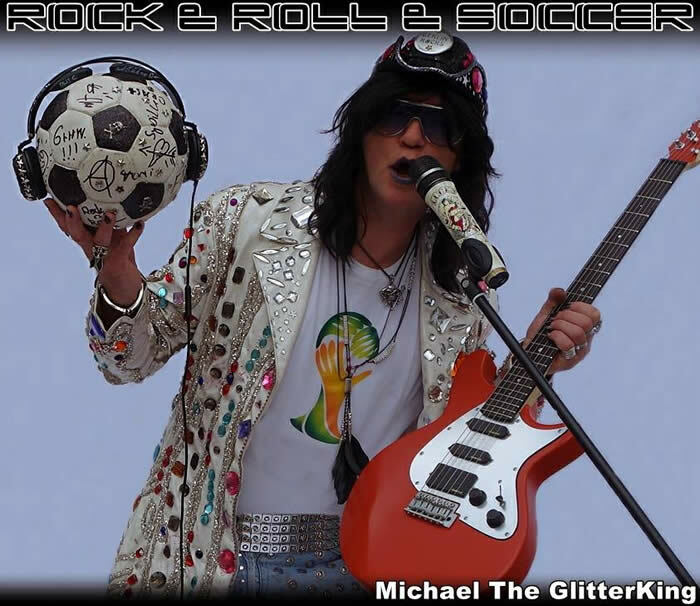 THIS IS MICHAEL THE GLITTERKING - Multi Artist & Designer For The Music Business and for you!
" 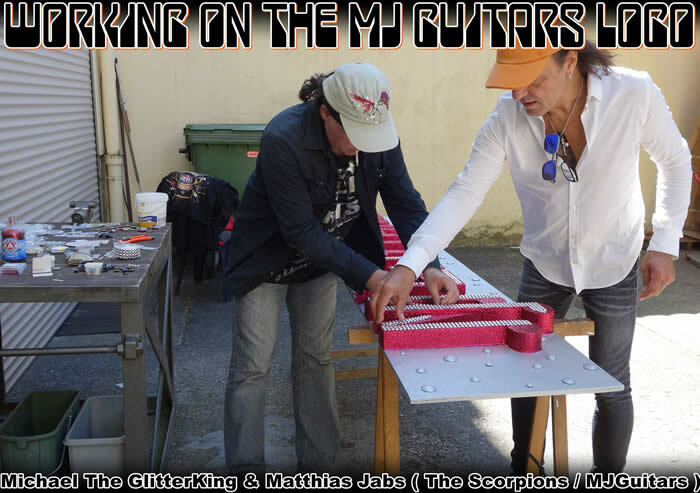 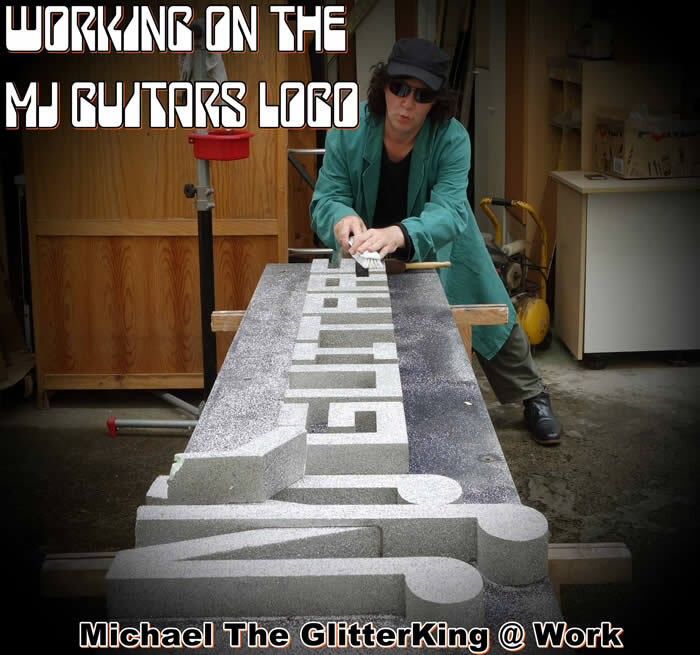 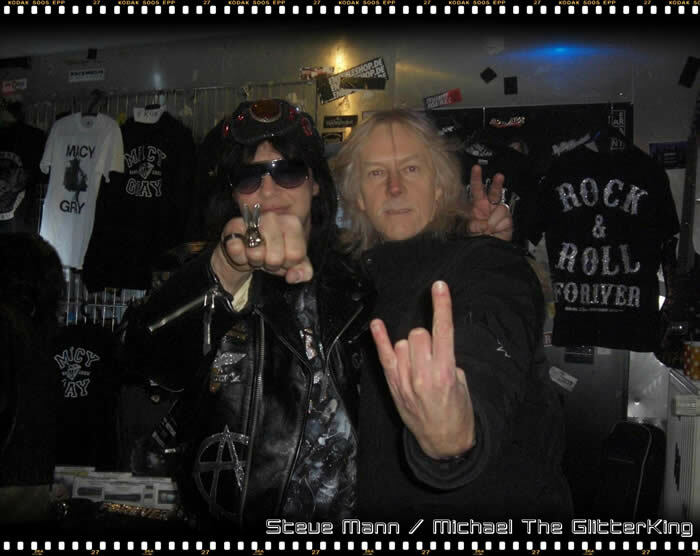 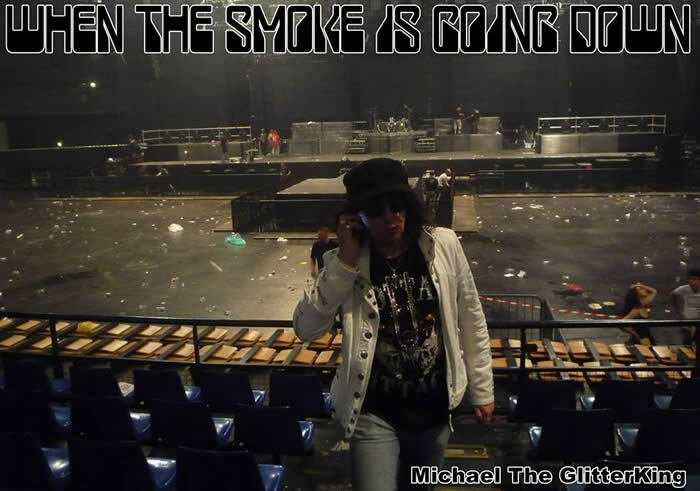 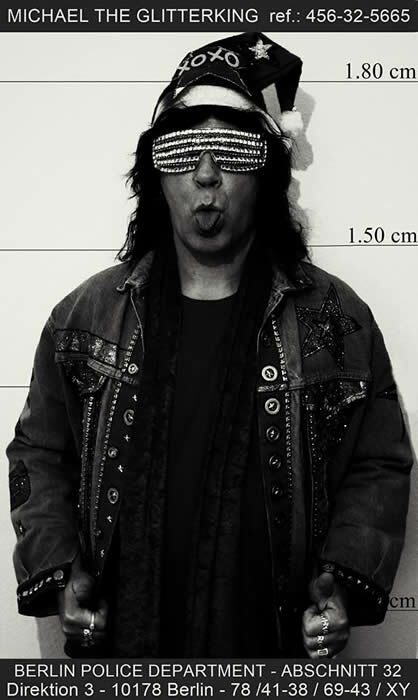 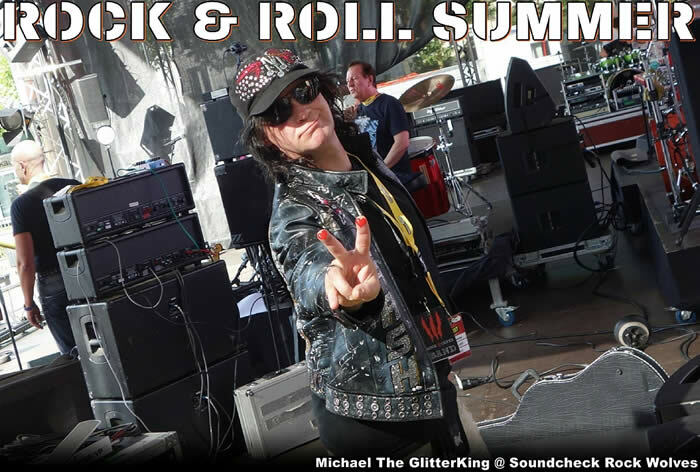 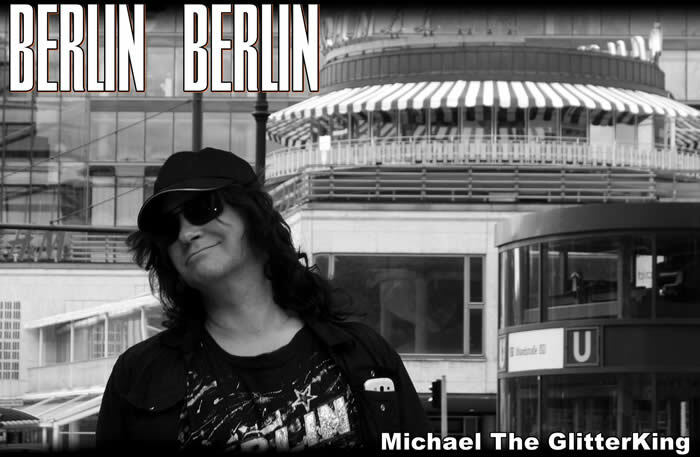 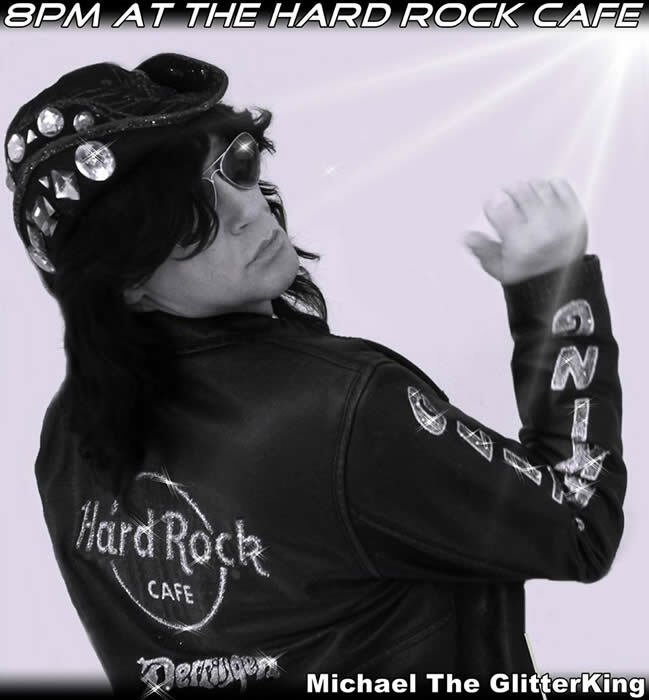 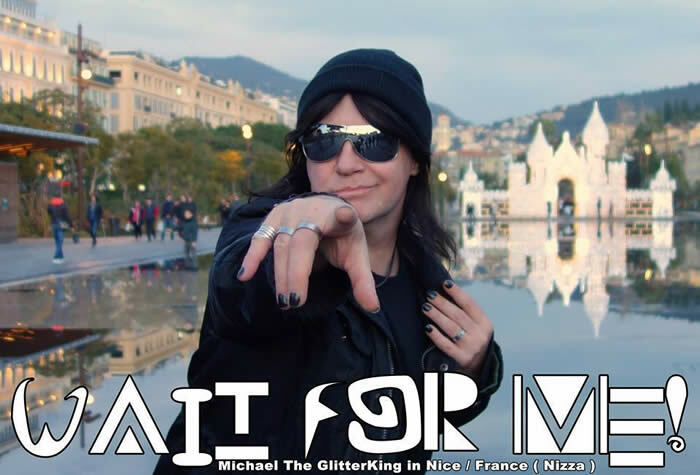 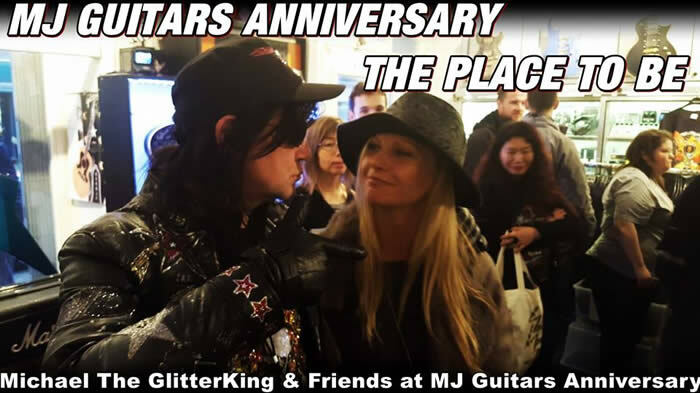 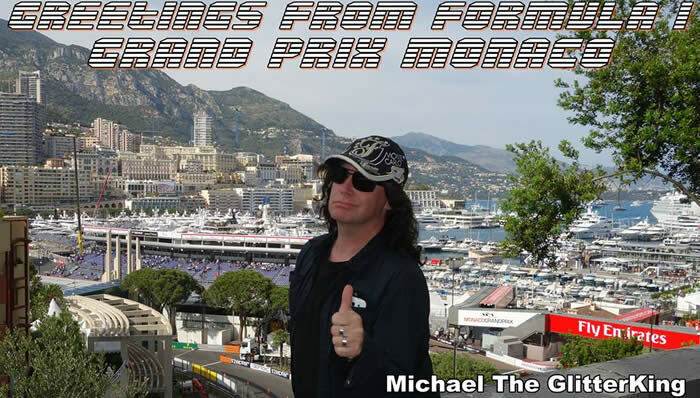 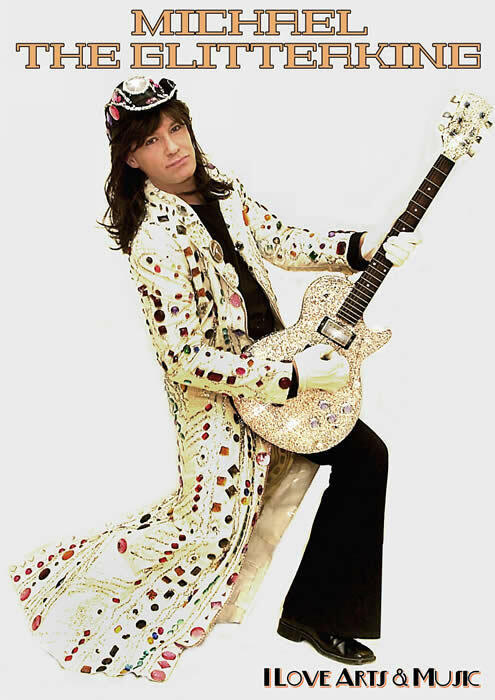 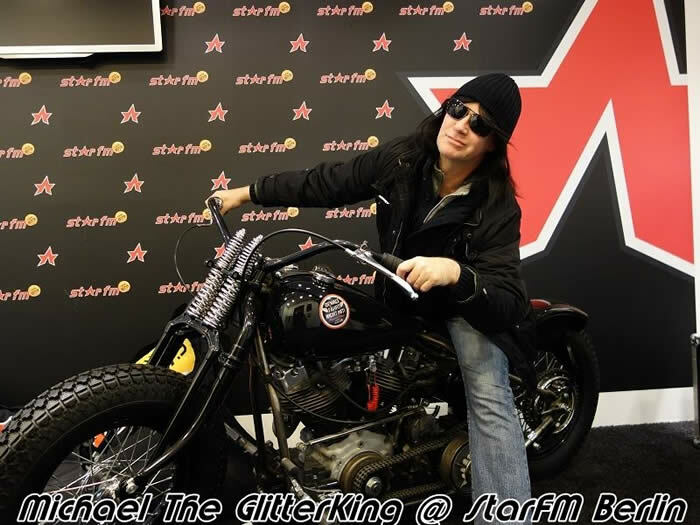 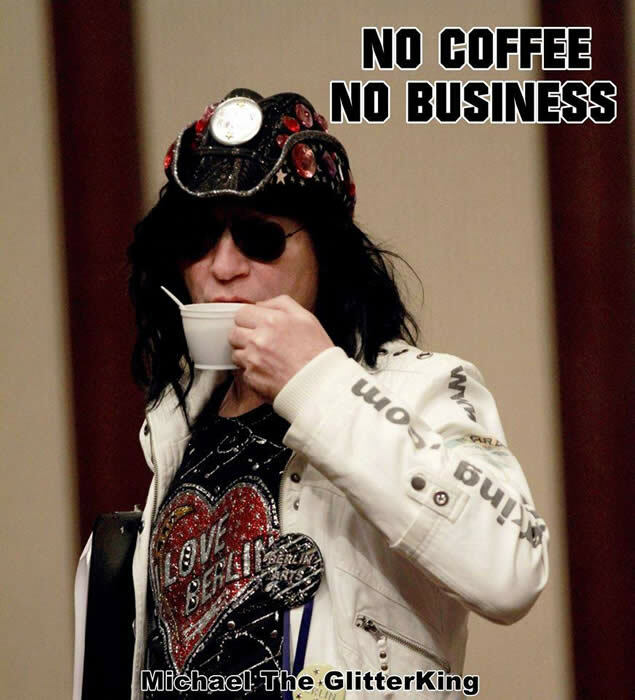 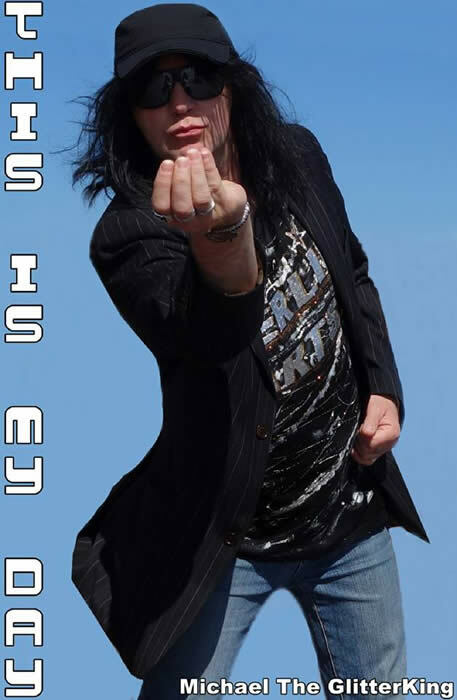 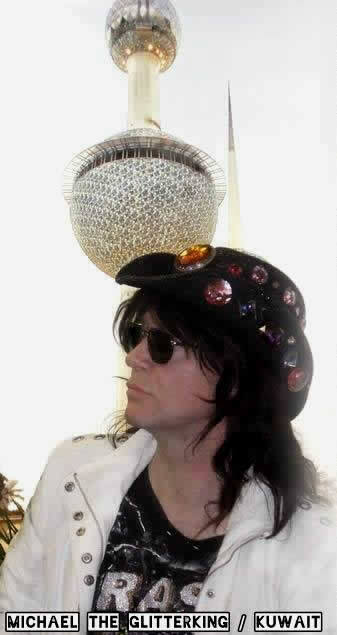 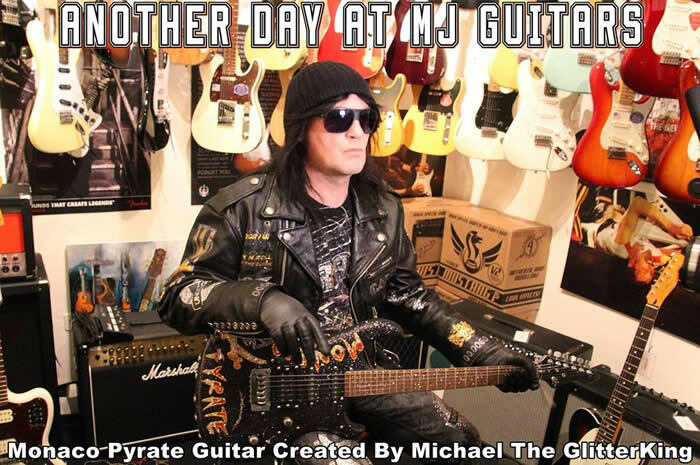 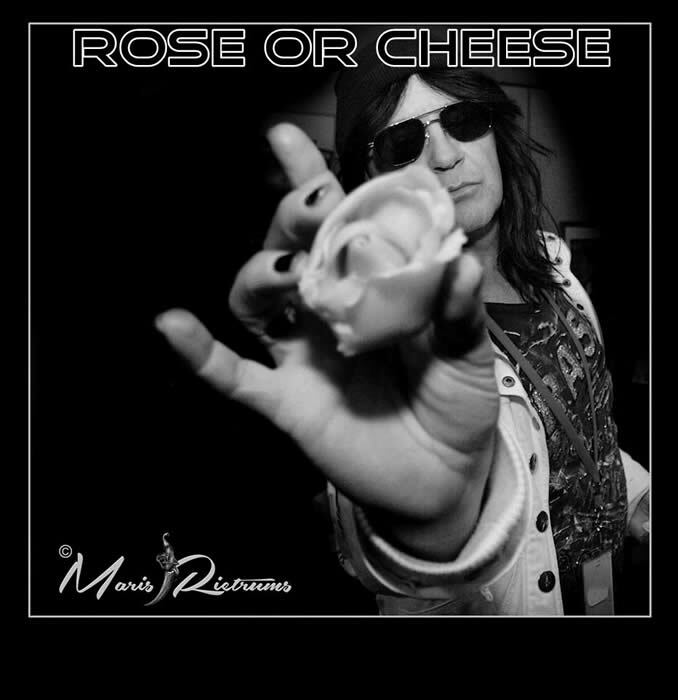 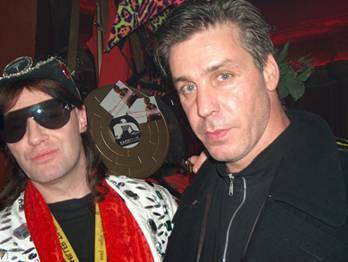 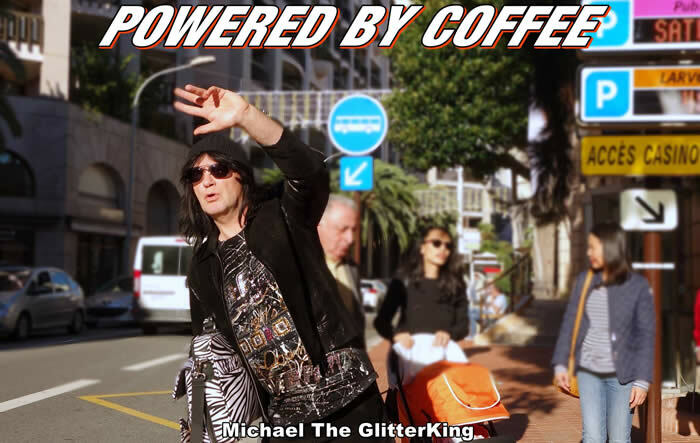 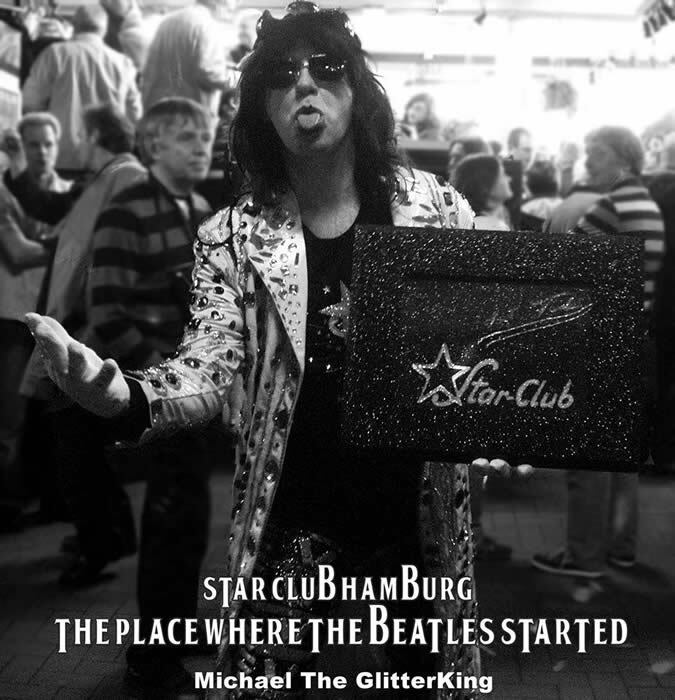 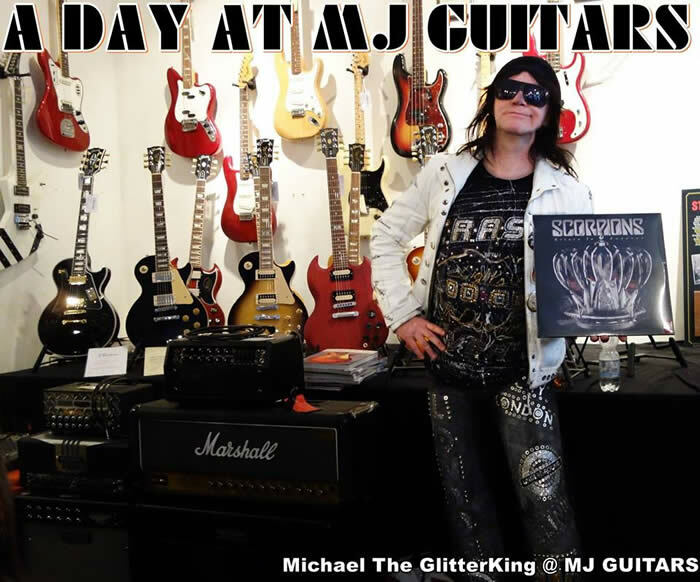 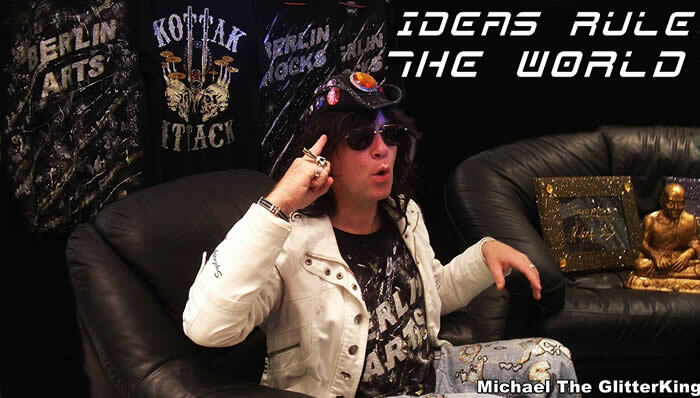 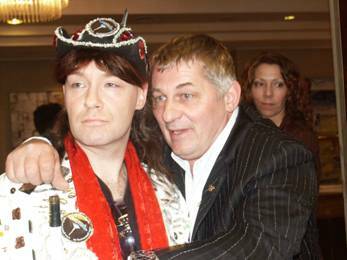 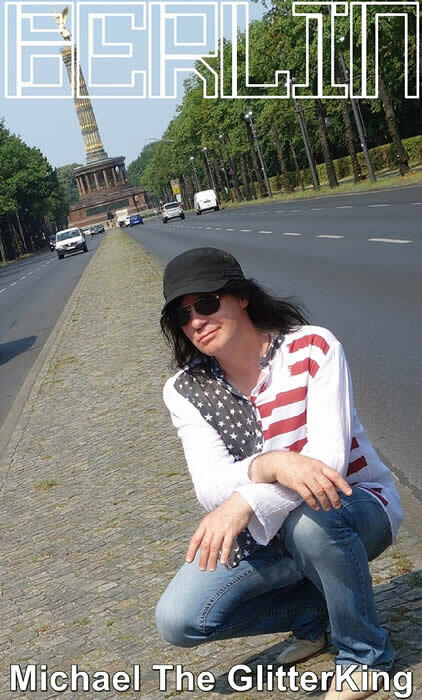 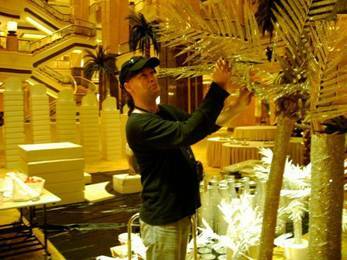 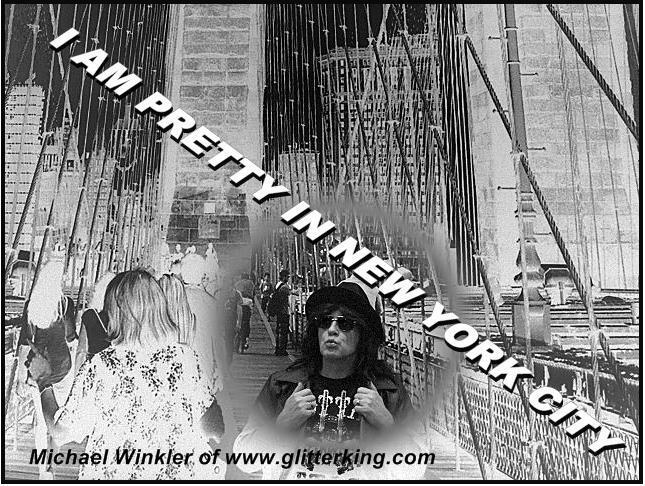 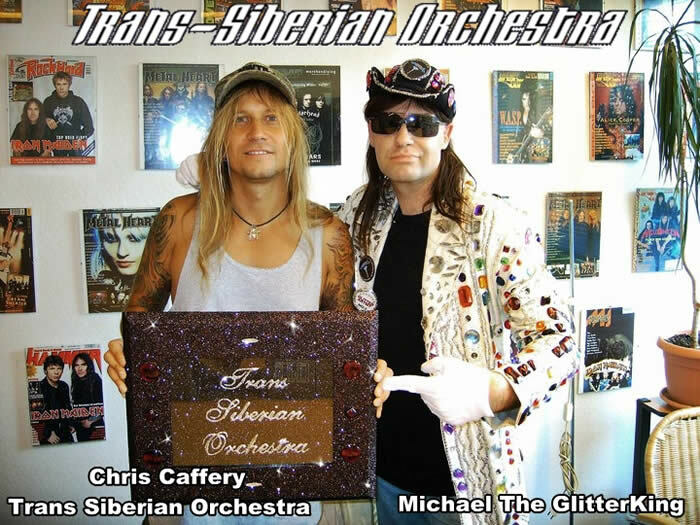 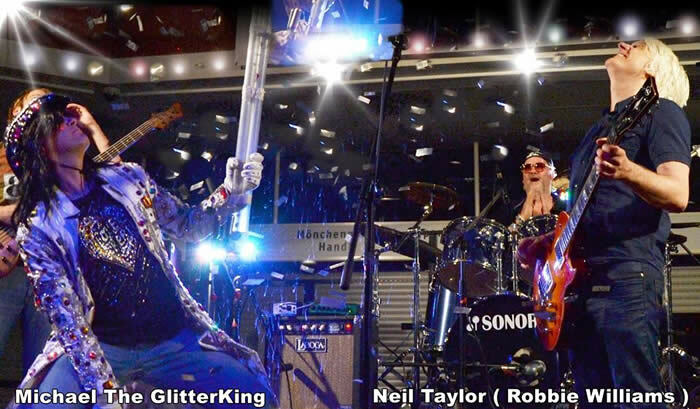 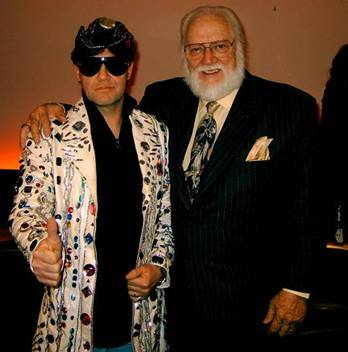 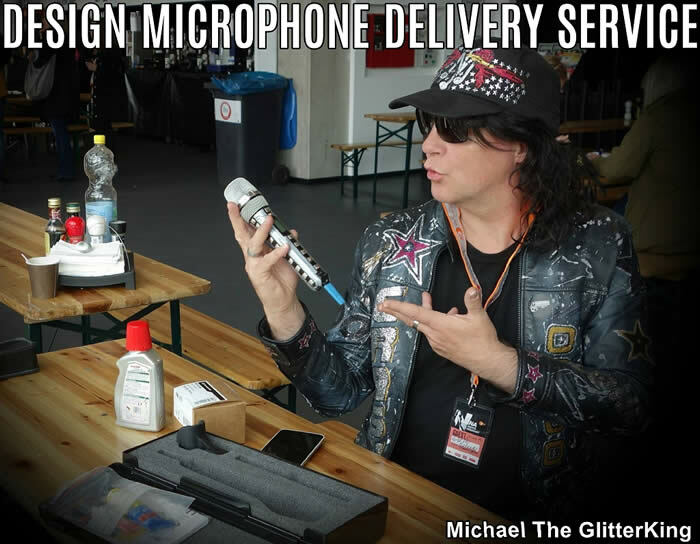 THIS IS MICHAEL THE GLITTERKING "
Rick St.Pierre, ( Building guitar amps for acts like AC/DC, Aerosmith and many more. 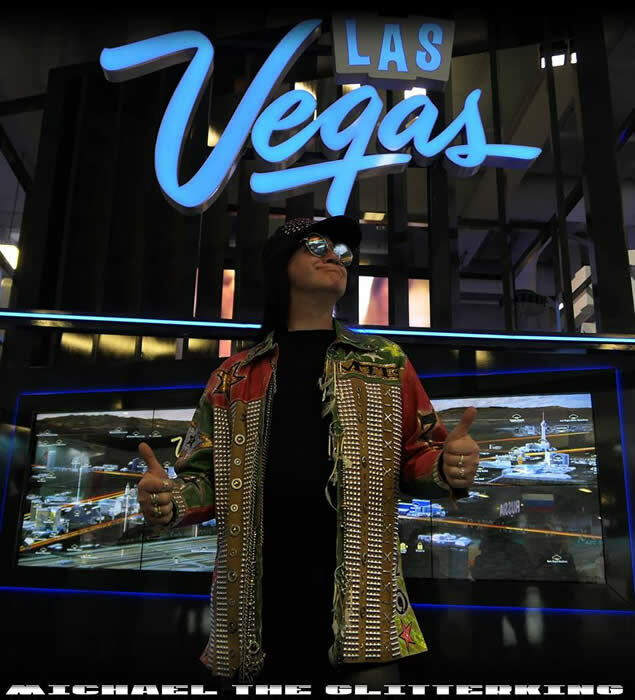 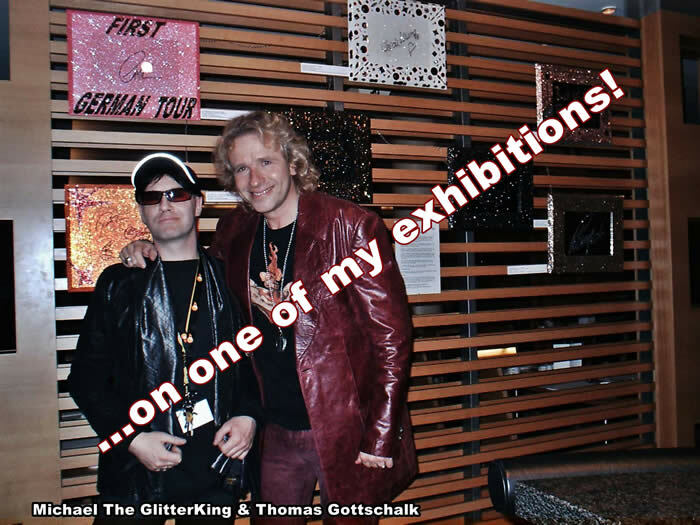 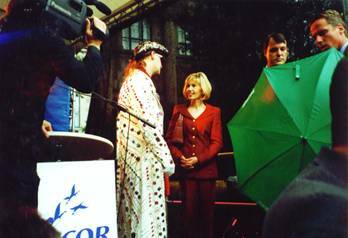 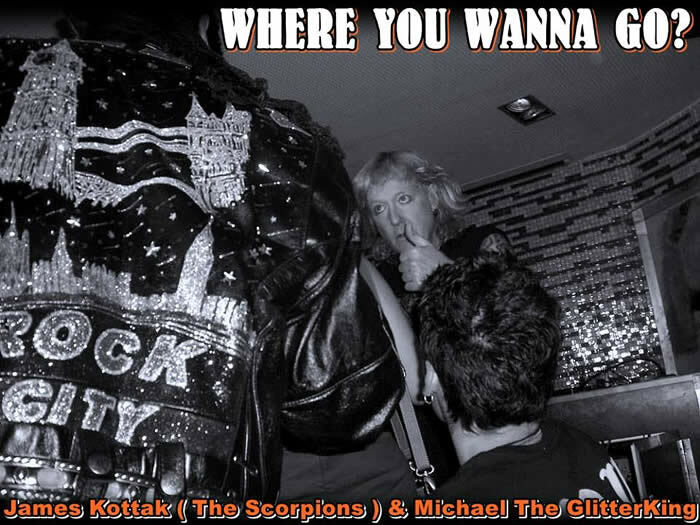 Scorpions and Glitterking in a charity action called "Welcome To The World"
Glitterking exhibition in the VIP Area of "50years of Rock".Thomas Gottschalk was 3 days there. 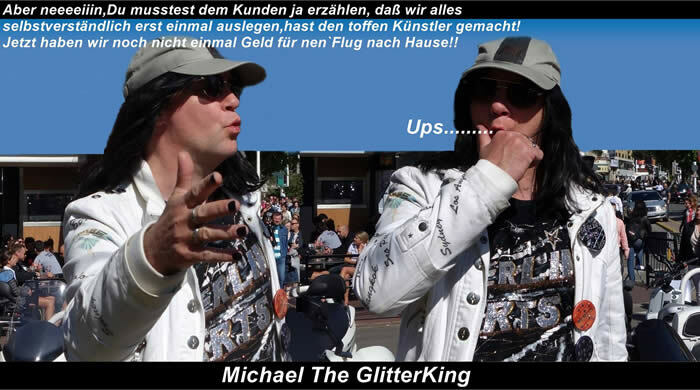 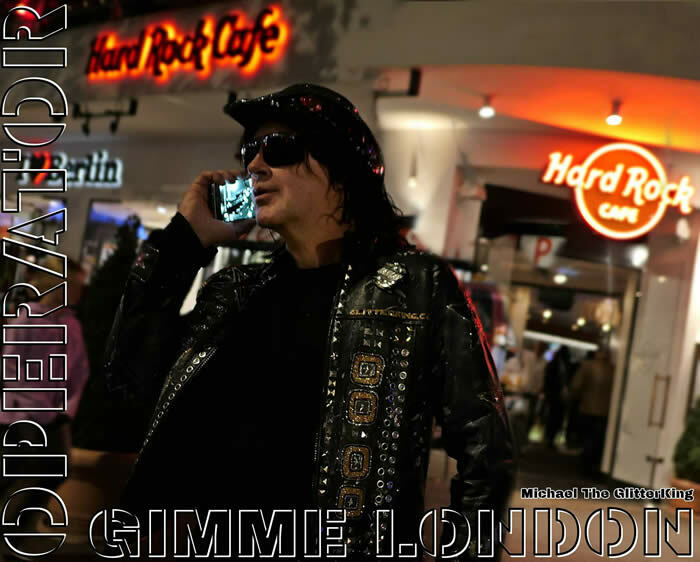 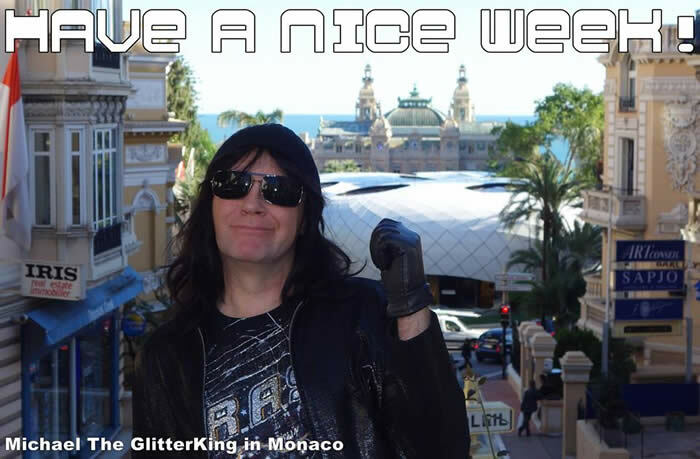 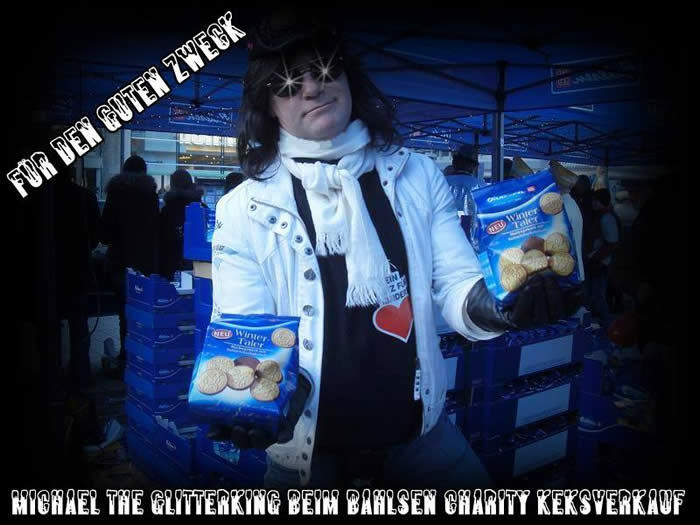 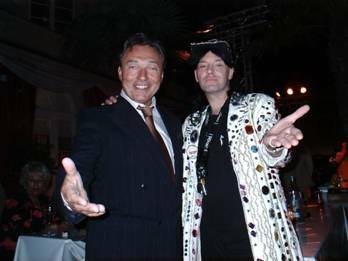 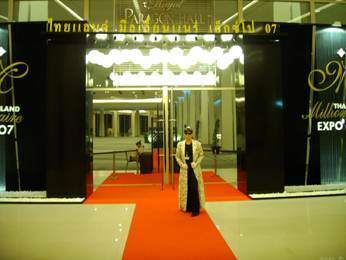 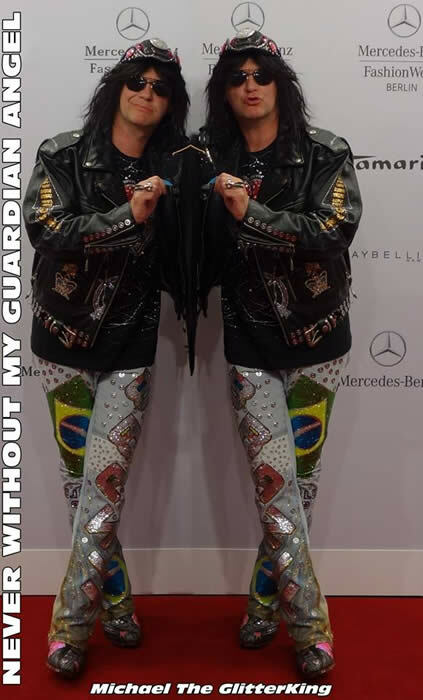 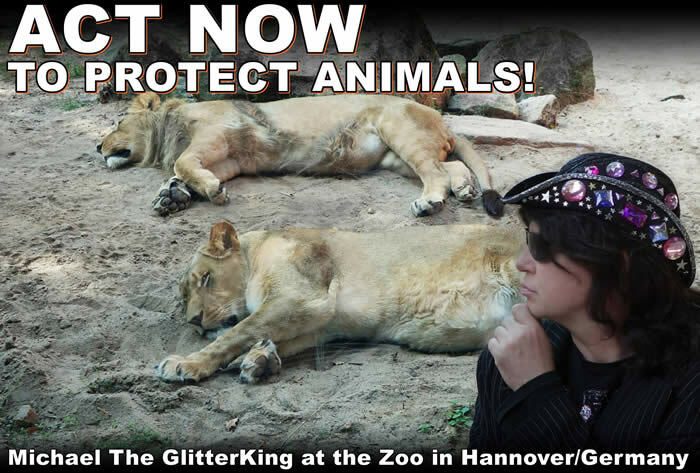 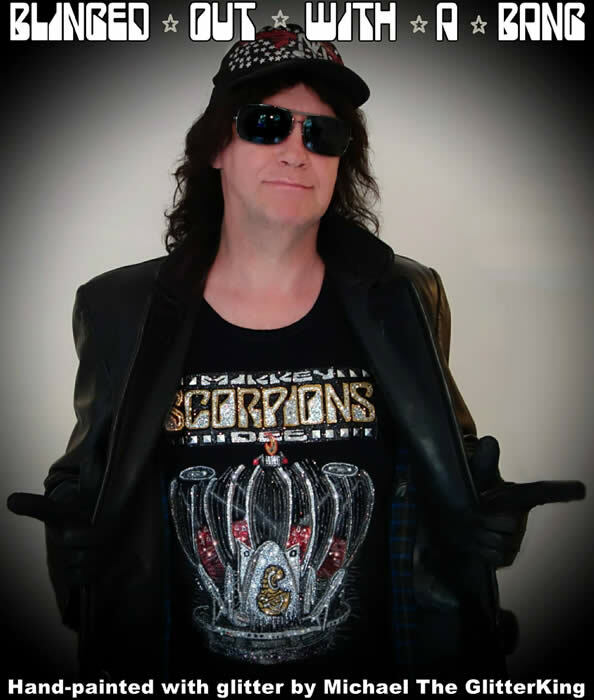 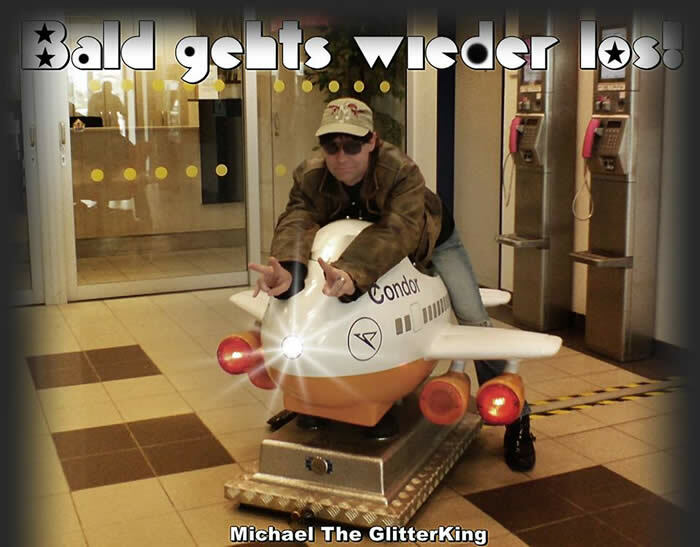 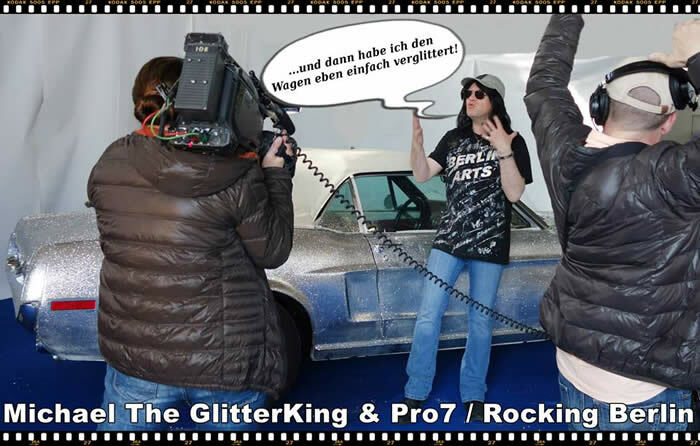 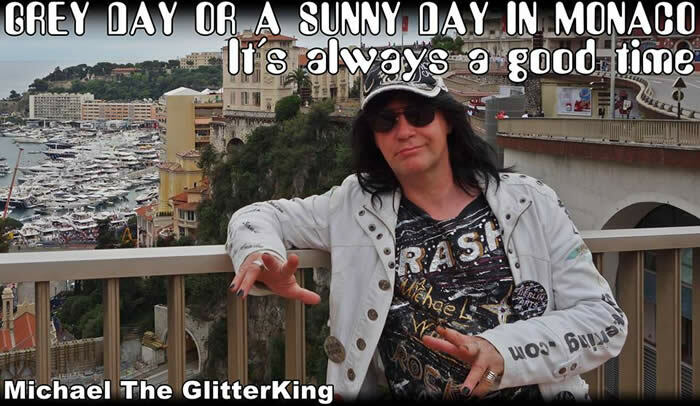 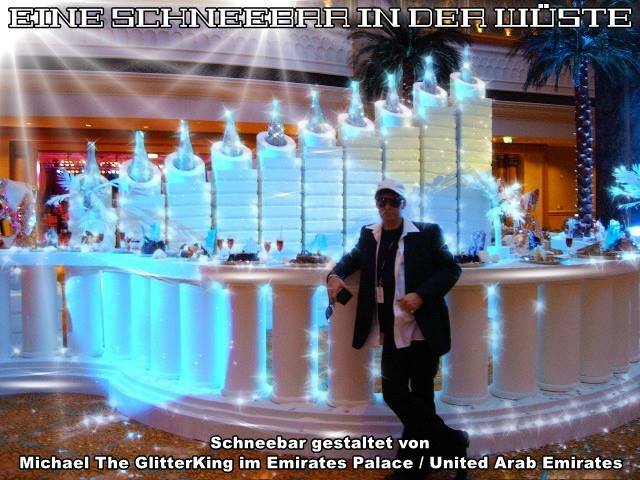 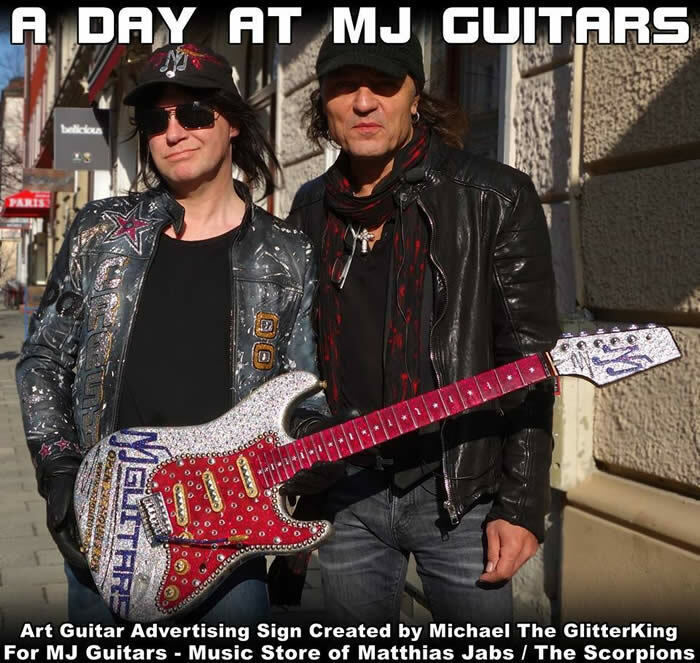 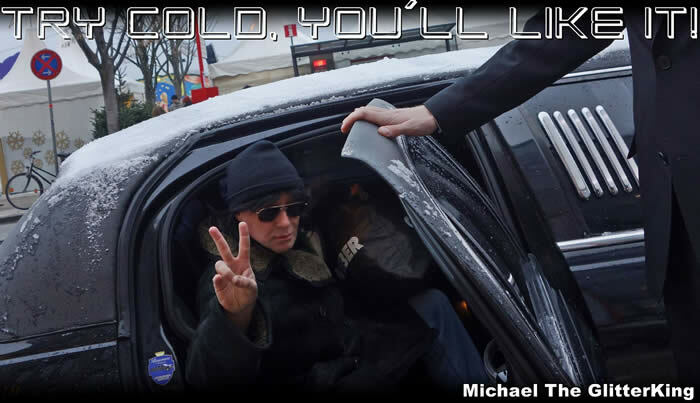 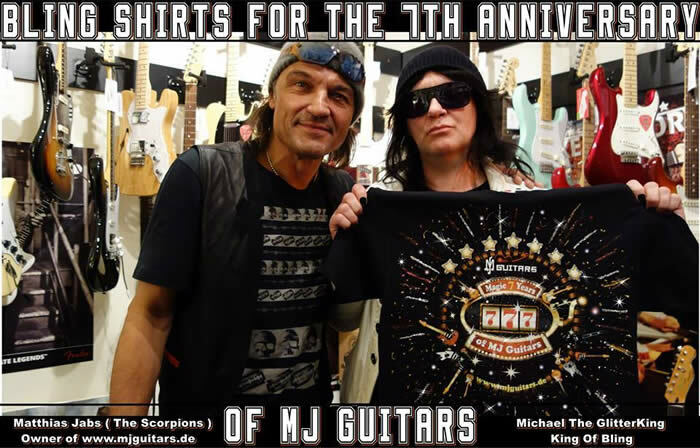 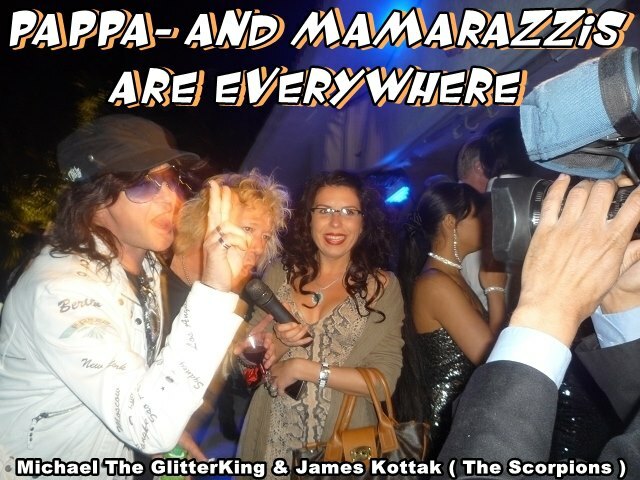 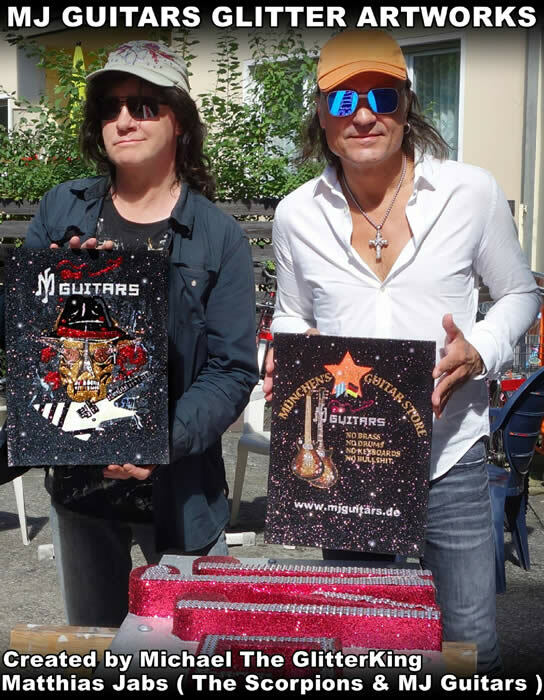 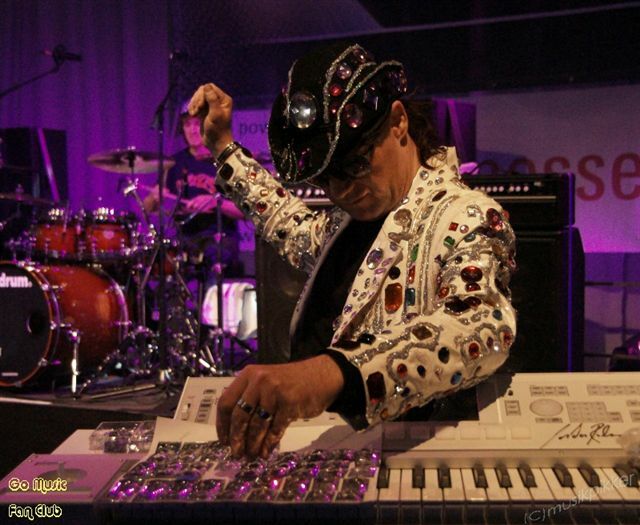 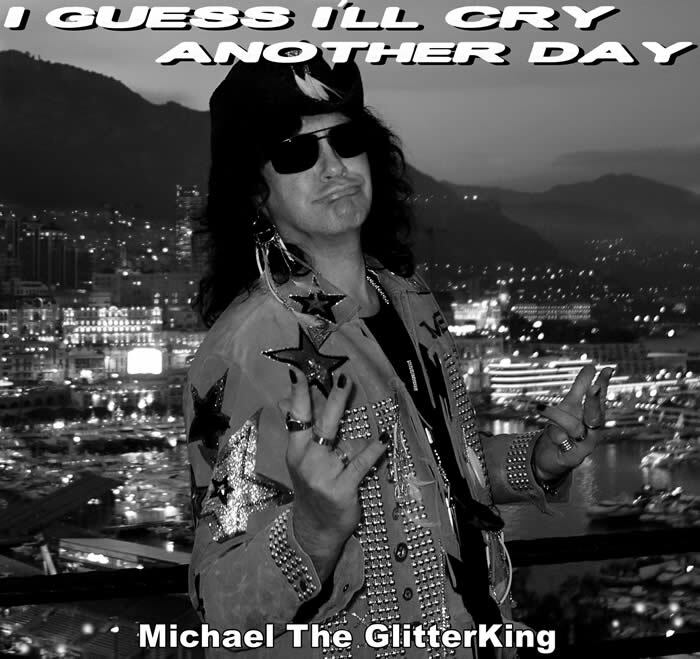 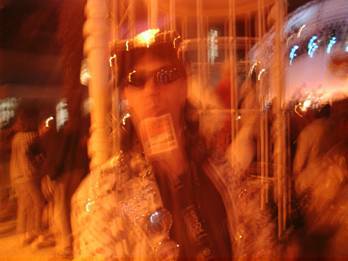 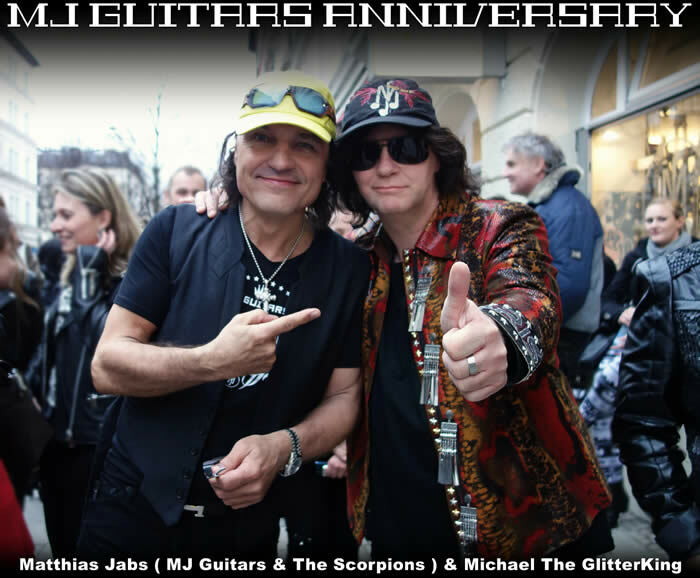 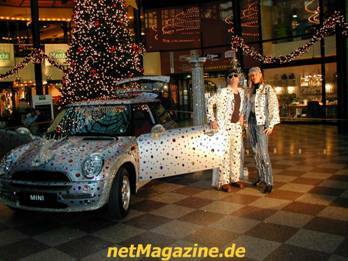 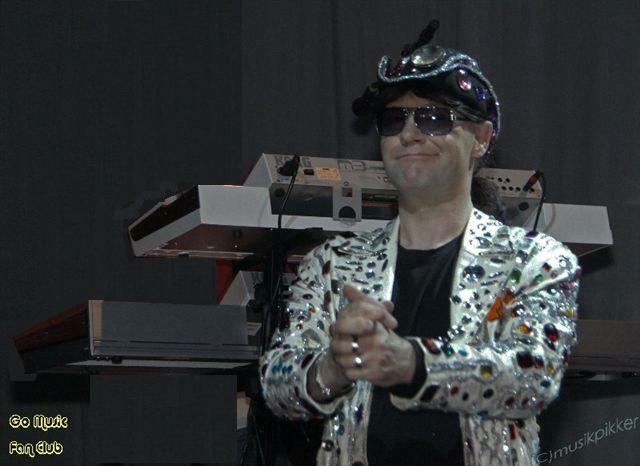 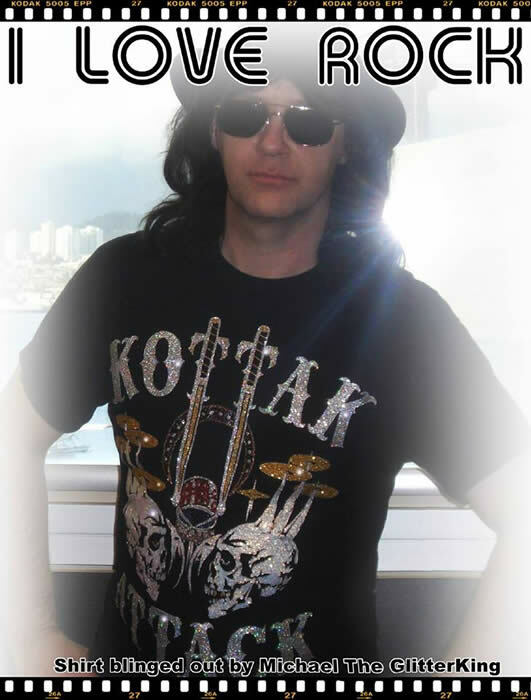 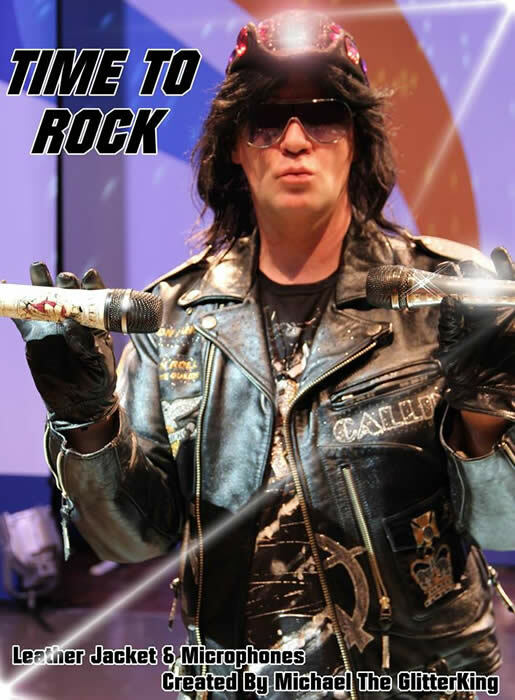 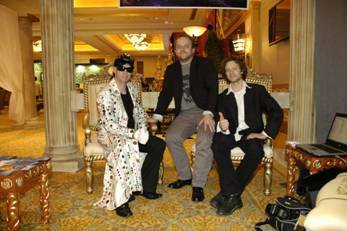 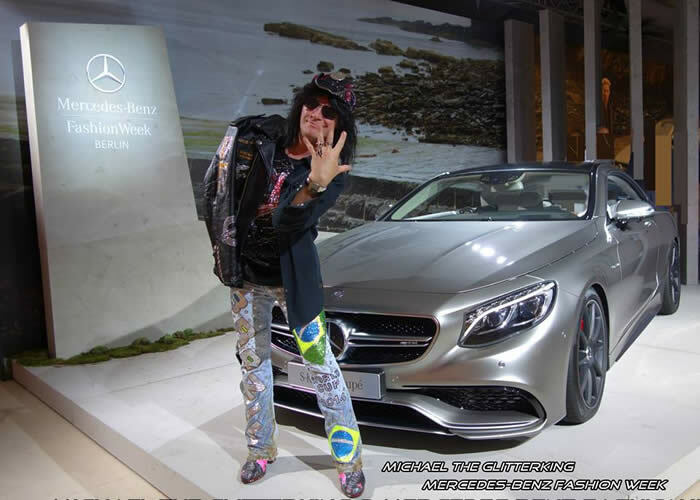 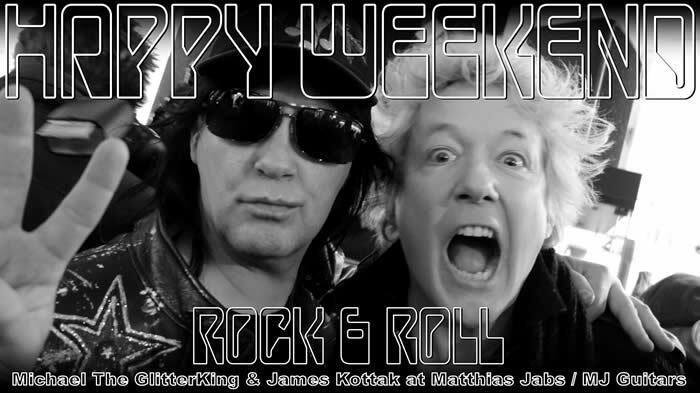 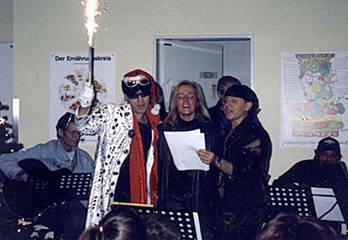 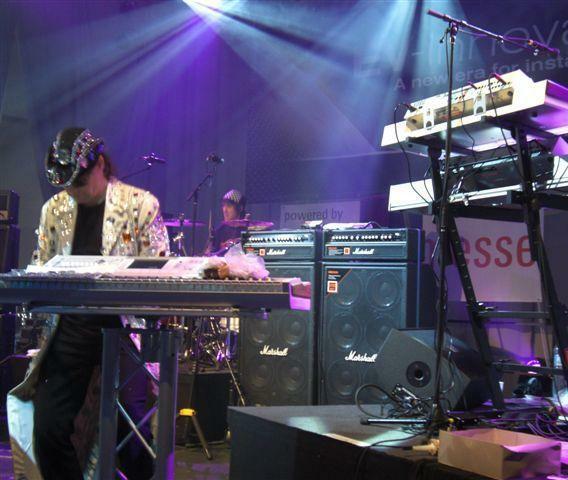 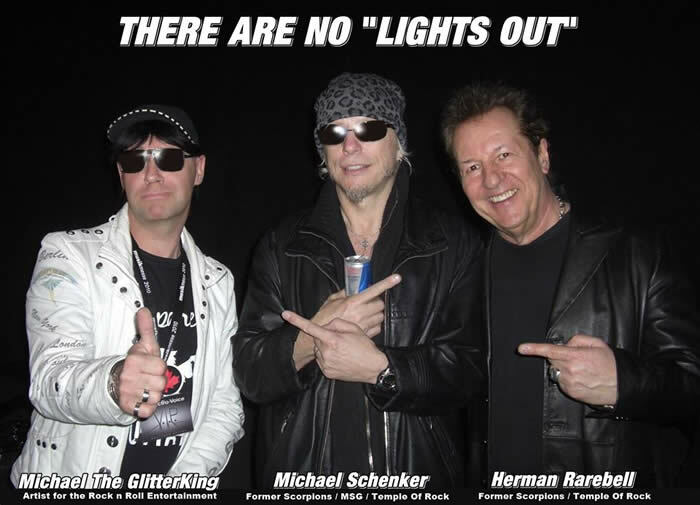 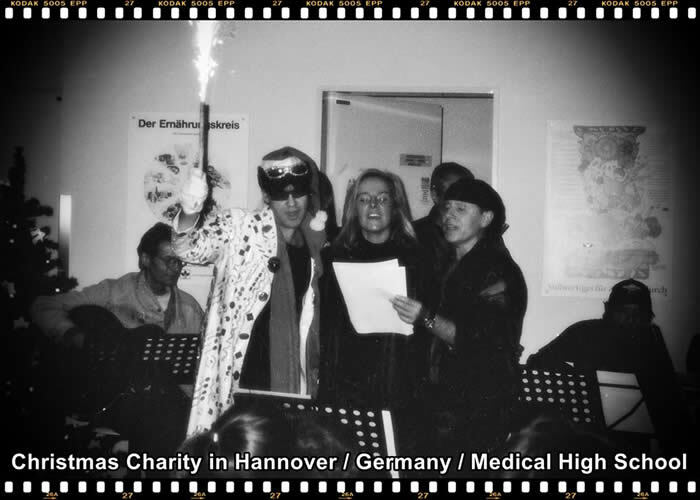 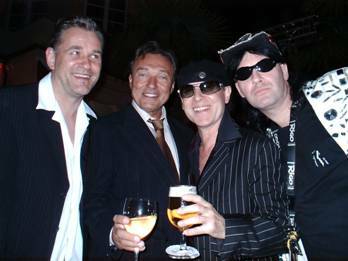 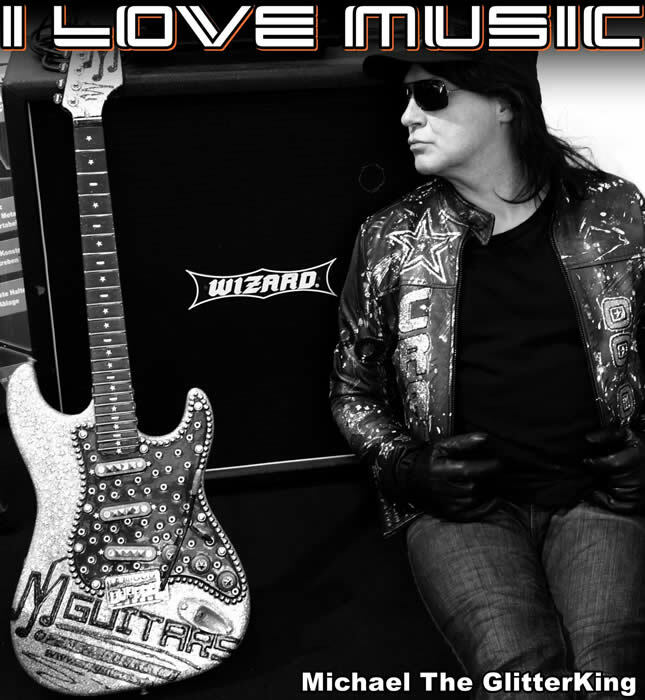 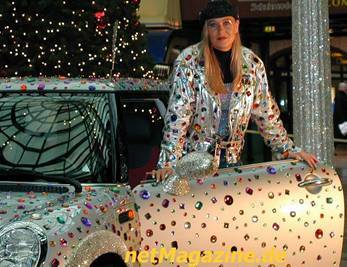 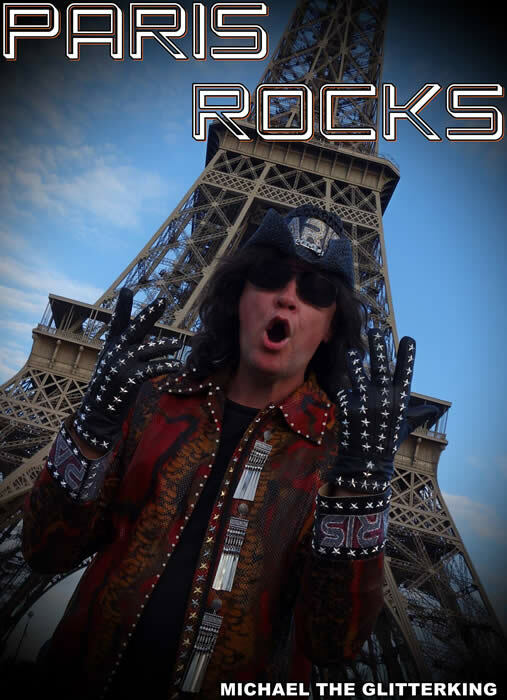 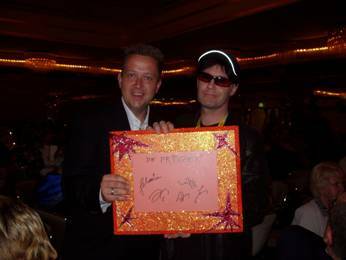 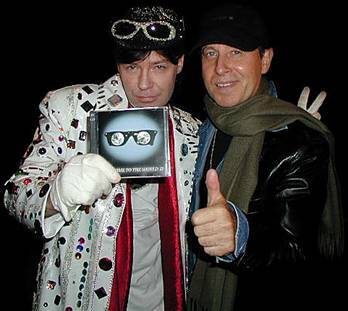 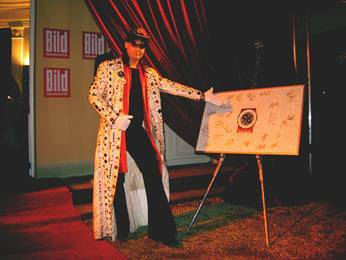 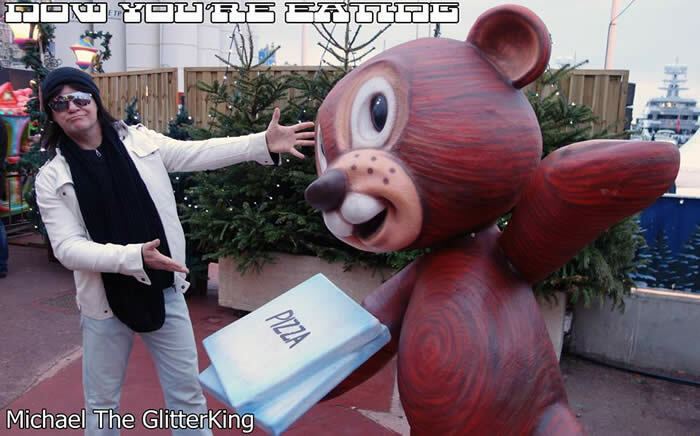 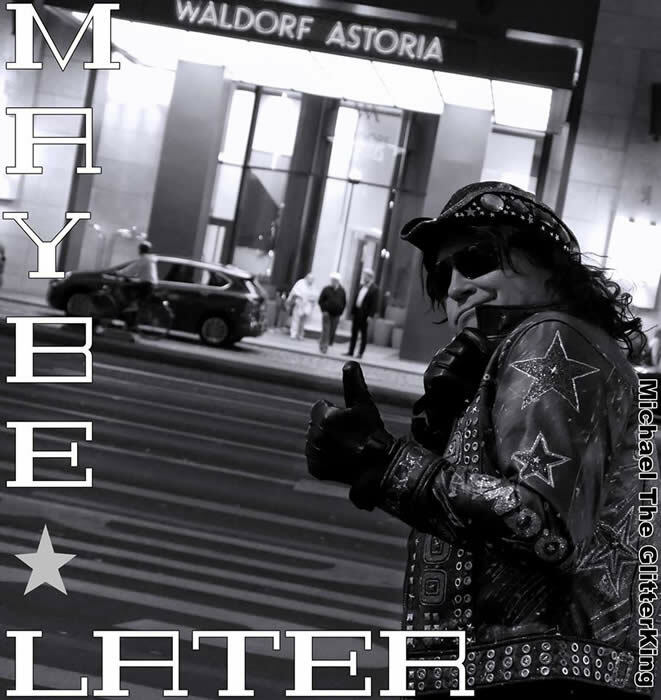 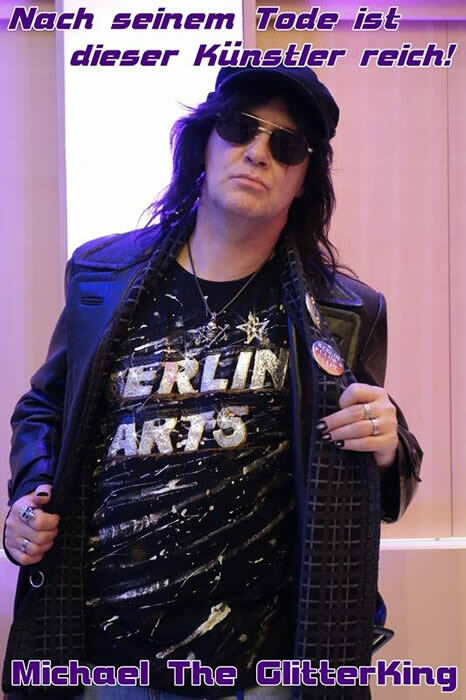 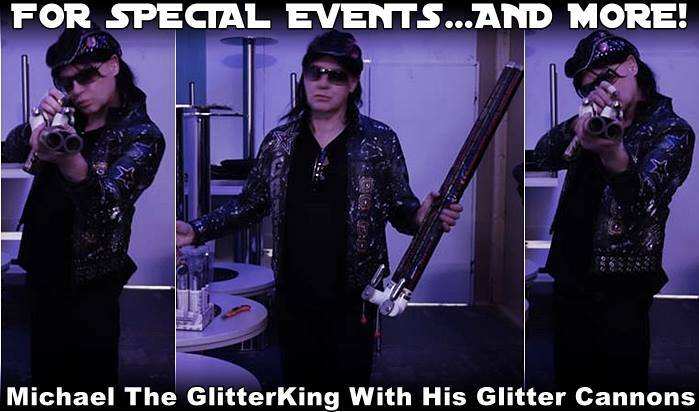 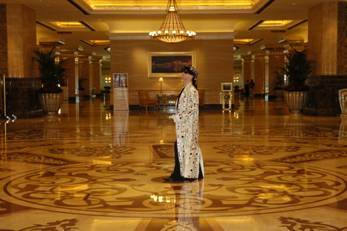 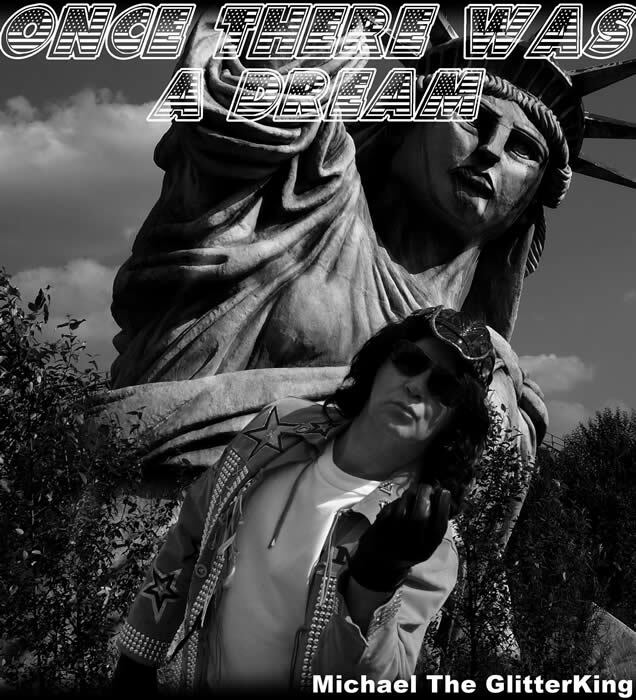 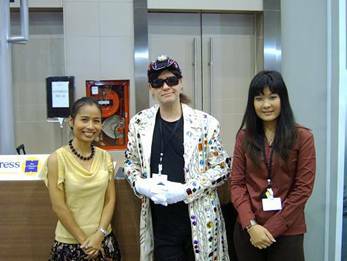 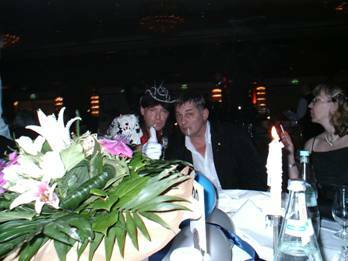 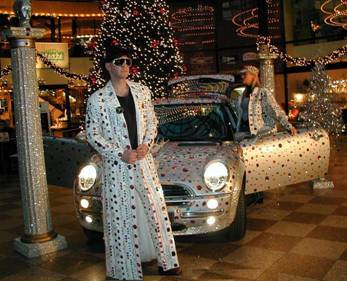 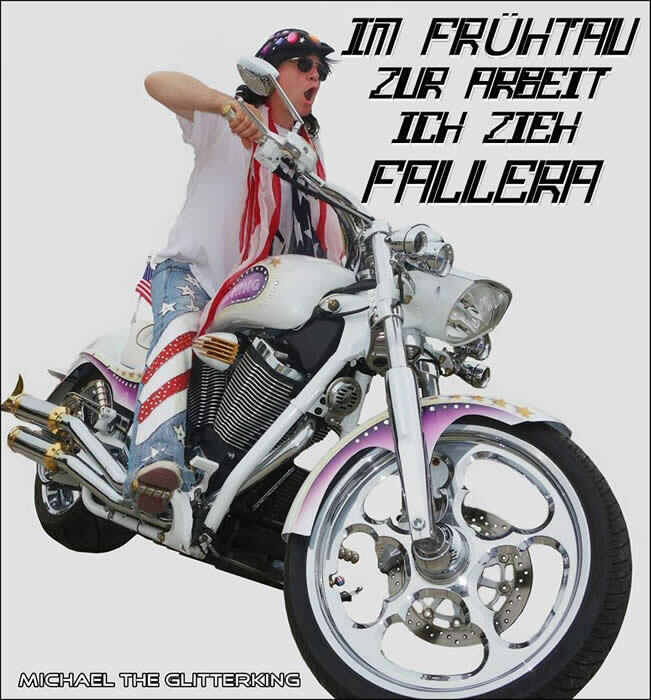 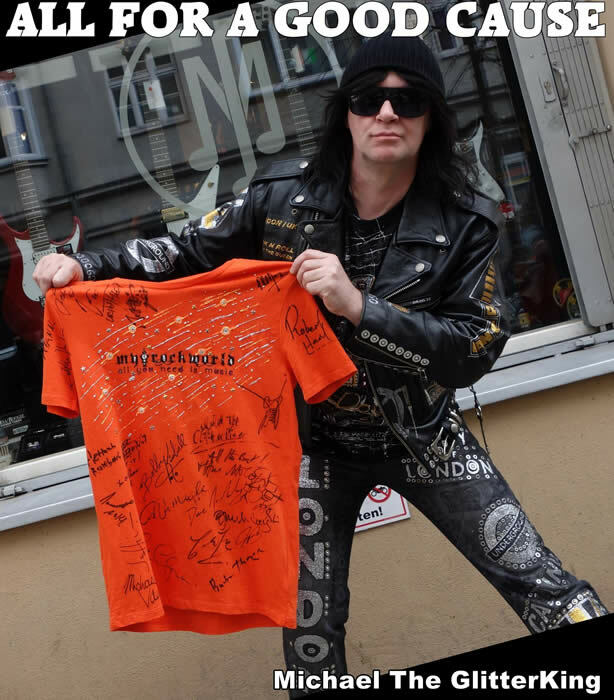 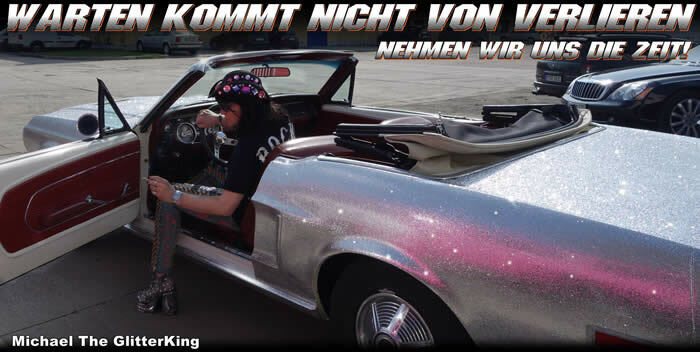 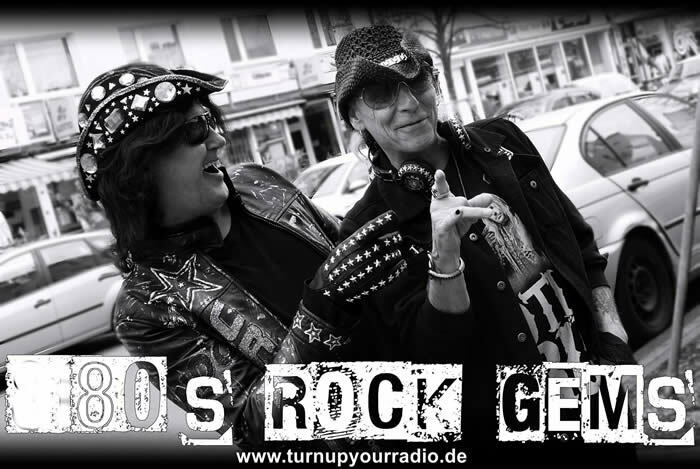 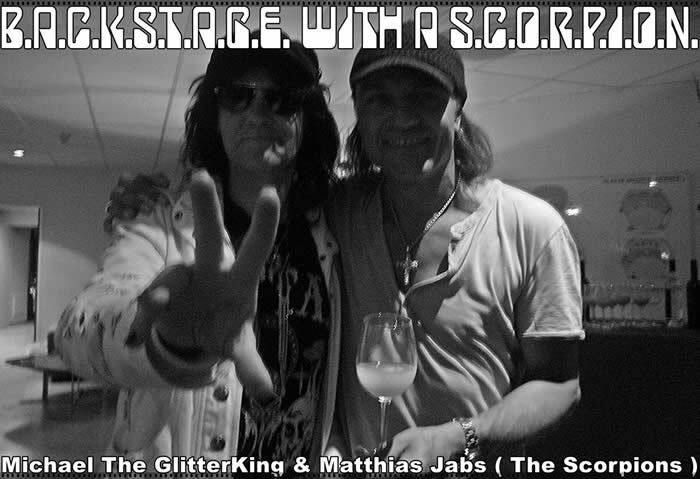 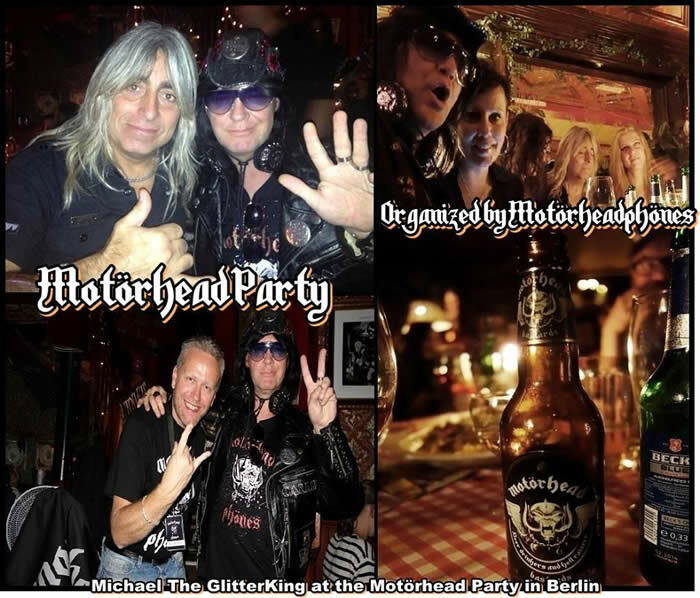 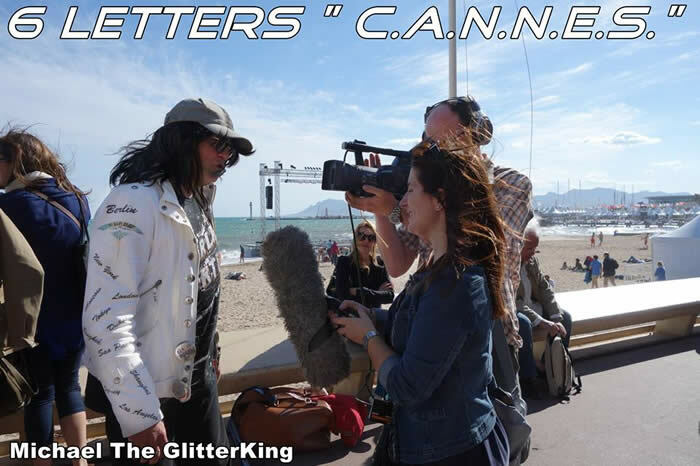 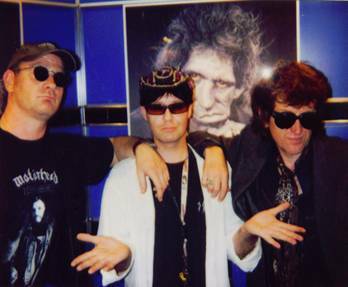 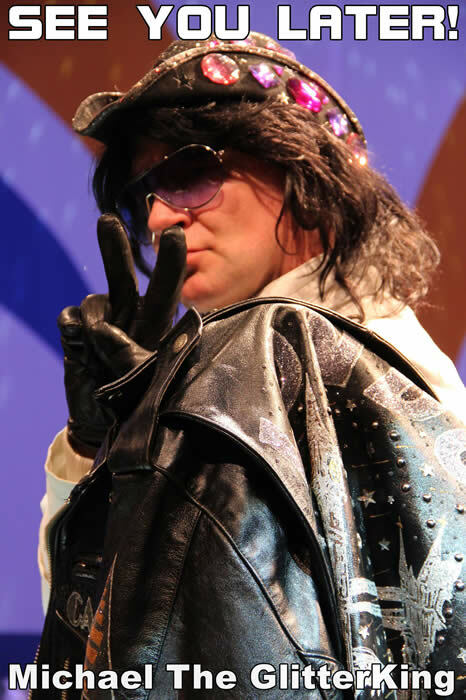 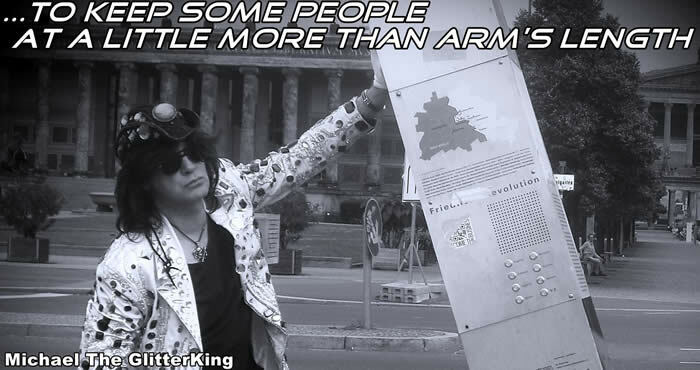 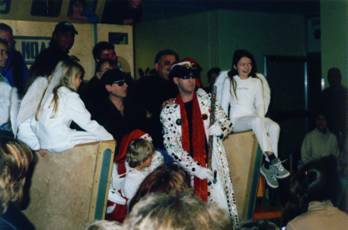 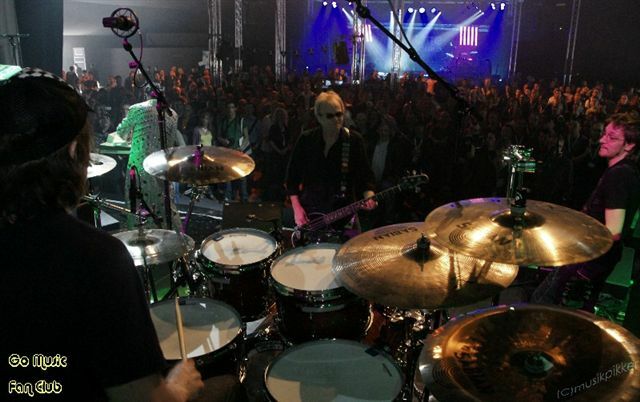 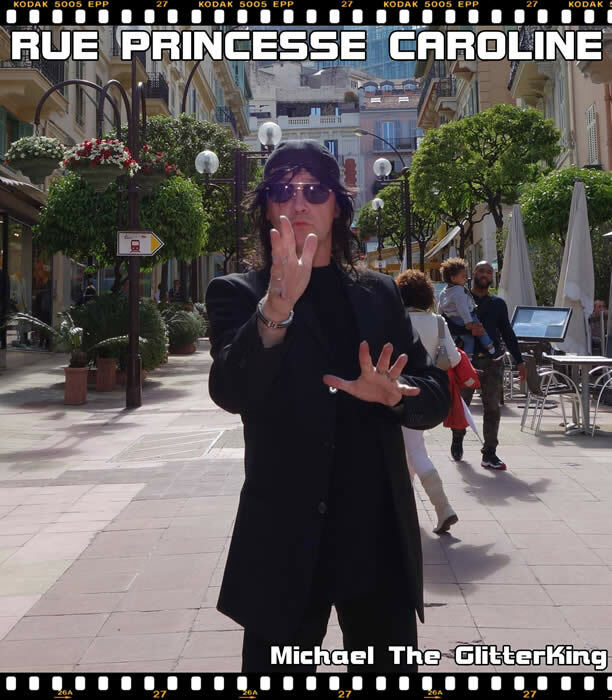 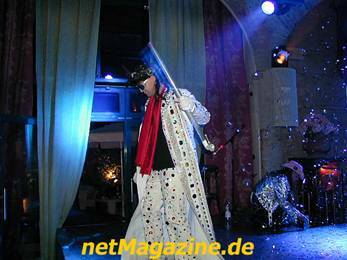 Glitterking was singing christmas songs with Klaus Meine and Matthias Jabs of Scorpions for very sick children. 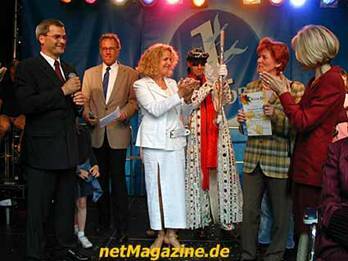 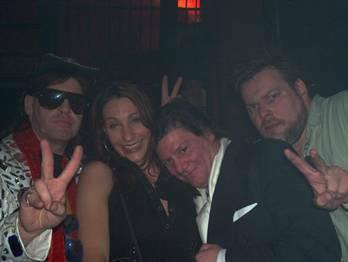 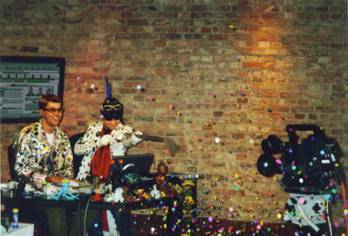 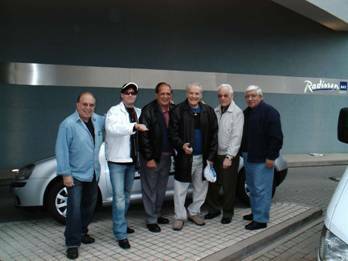 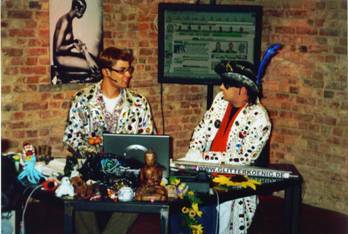 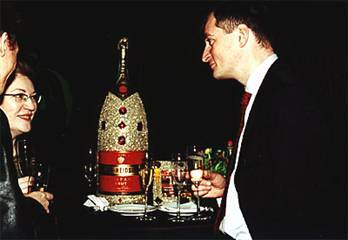 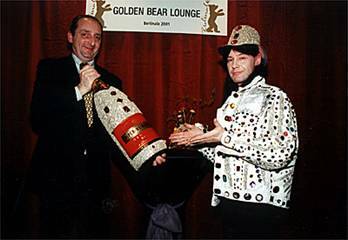 My friend and organizer Ulli Heicher ( left in the back ) died a few days after the Show.